It’s the new year and you have been lagging on that diet to shed those holiday pounds. 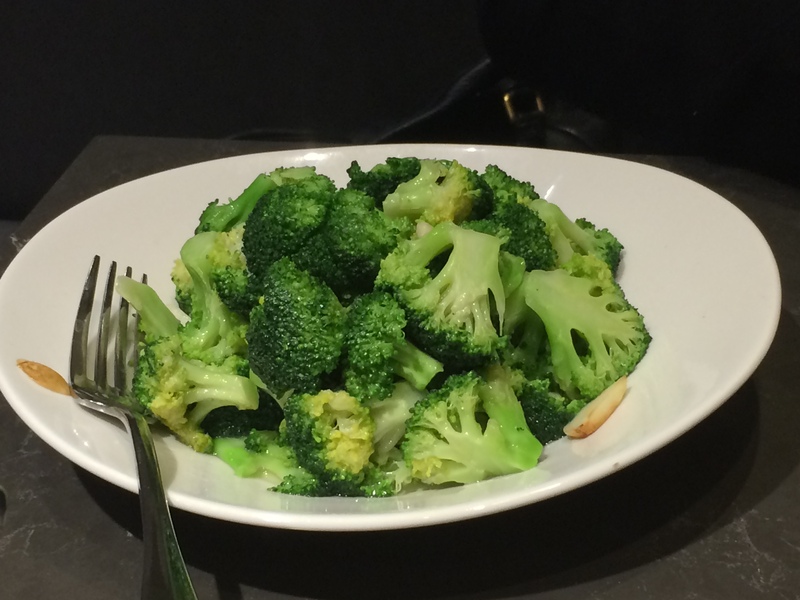 But who wants to eat steamed vegetables with a wheat grass smoothie. 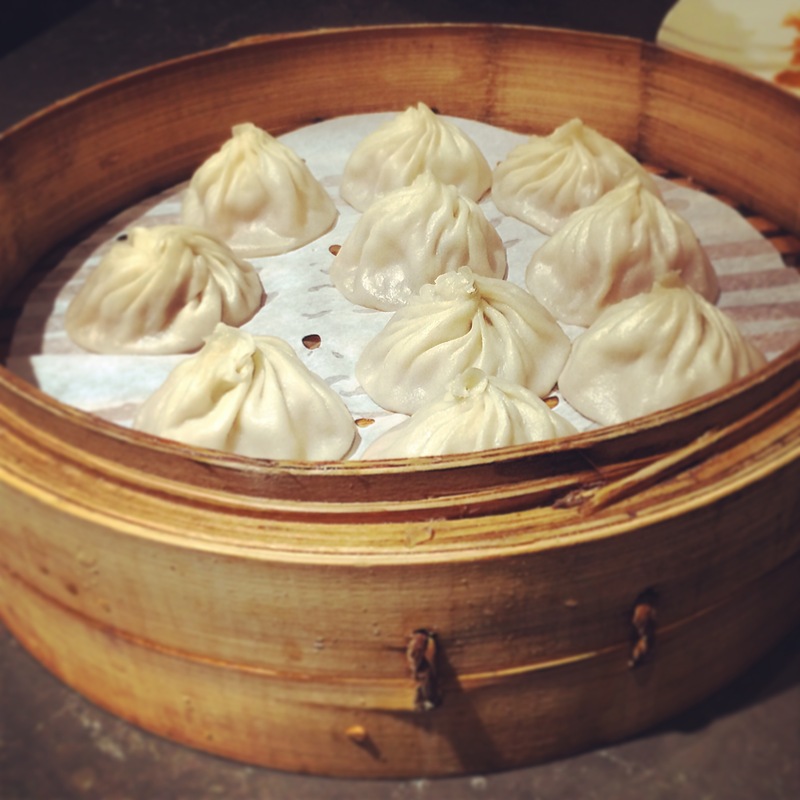 Here is the list of the top 10 best places to eat (in no particular order) that taste great but will keep you looking lean and mean. All these restaurants listed have healthy options that aren’t lacking in the taste department and will keep you coming back for more. 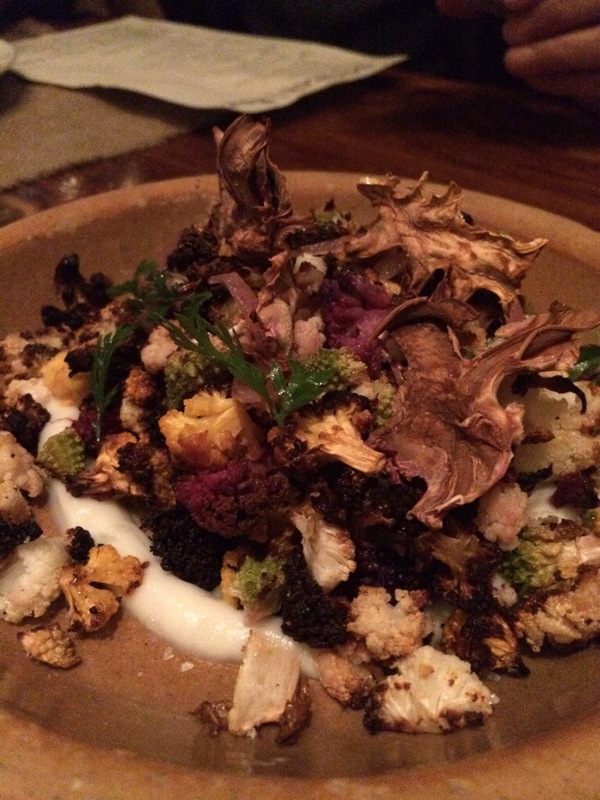 Here is to a healthy and DELICIOUS 2015. 1. 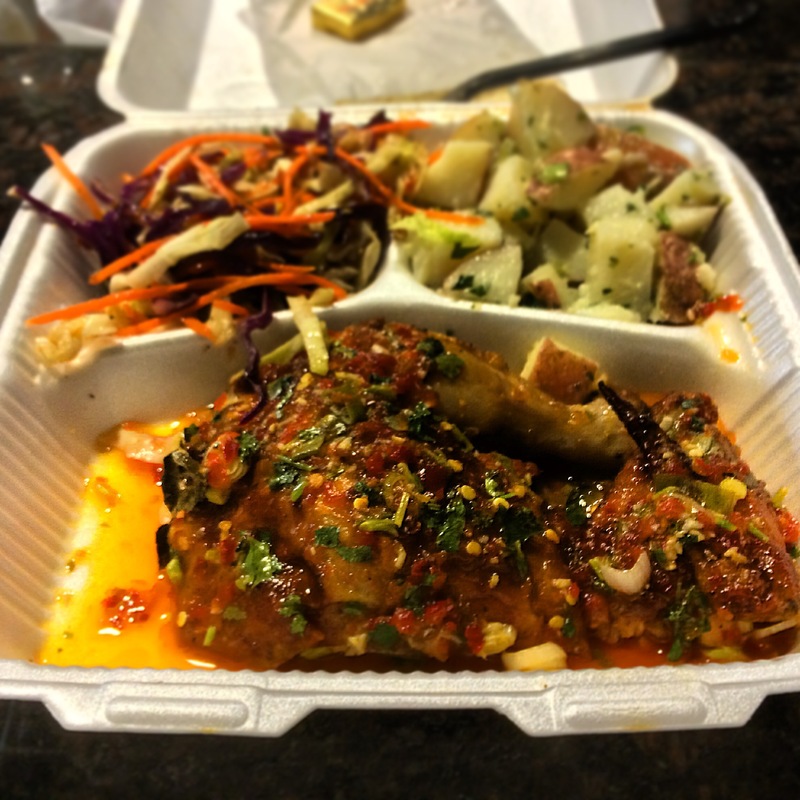 Chicken Maison $$ – Santa Ana and multiple locations in Los Angeles, CA – Chicken Maison offers healthy Mediterranean Cuisine. Try their Spicy Lemon Garlic Rotisserie Chicken and prepare to be amazed. The rice, Potato Salad and spicy sweet garlic are great sides to include on the combo meal. Don’t forget to ask for that extra Garlic Sauce for your Chicken and Pita bread for a flavor explosion. 2. 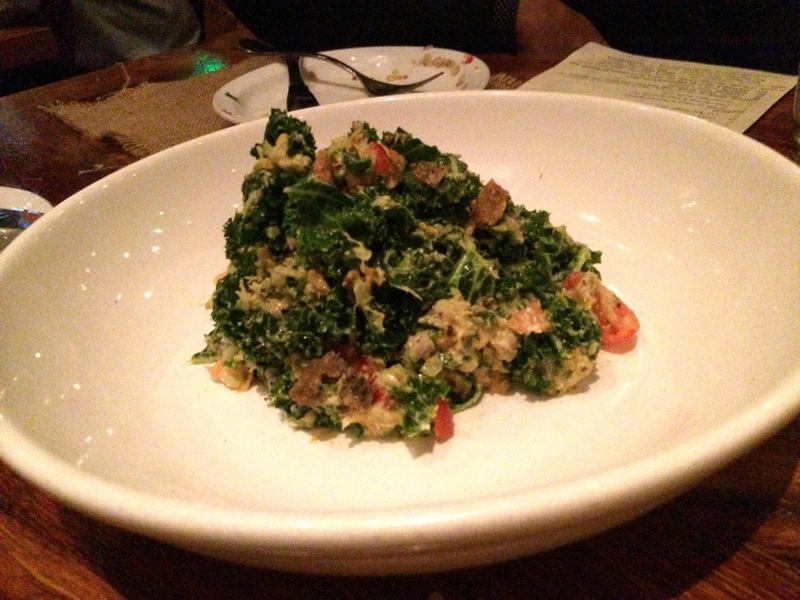 Au Lac $$ – Fountain Valley, CA – Au Lac is a nice sit down restaurant specializing in Vegan and Live/Raw Food. 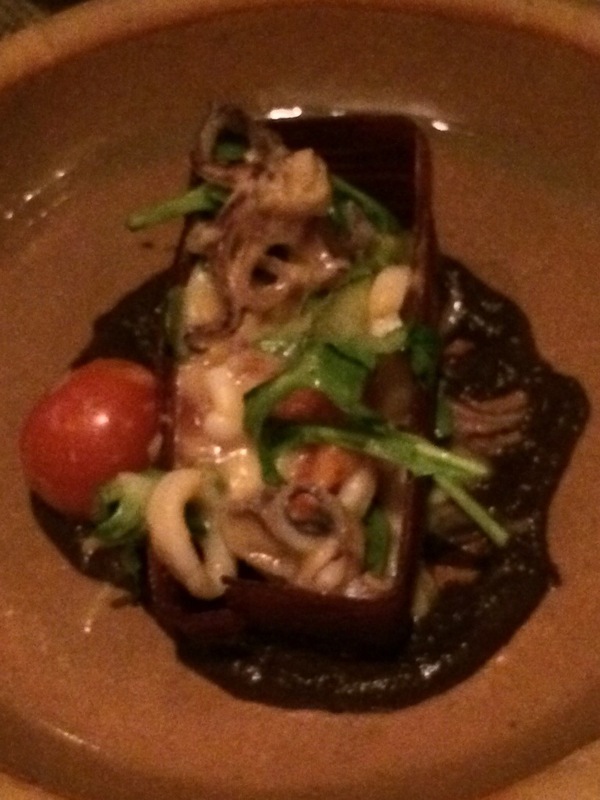 Au Lac has some truly unique and innovative plays on Vietnamese and other ethnic cuisine. They have a take on Vietnamese Pho that surprisingly tastes better than a normal Pho and its vegan! This place is a must try on anyone’s list. 3. 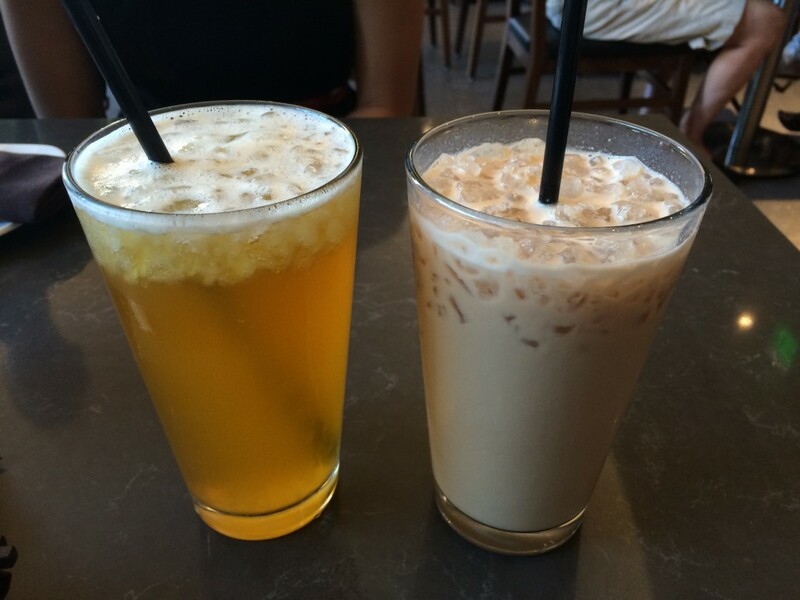 Native Foods Cafe $$ – Multiple Locations in Orange County and Los Angeles, CA – Native Foods Cafe is a fast casual vegan restaurant serving made from scratch food that is not only good, but good enough to be enjoyed by non vegans as well. They have daily specials and a frequent membership club with discounts. Their Twister Wrap and Ensalada Azteca are both must try items. 4. 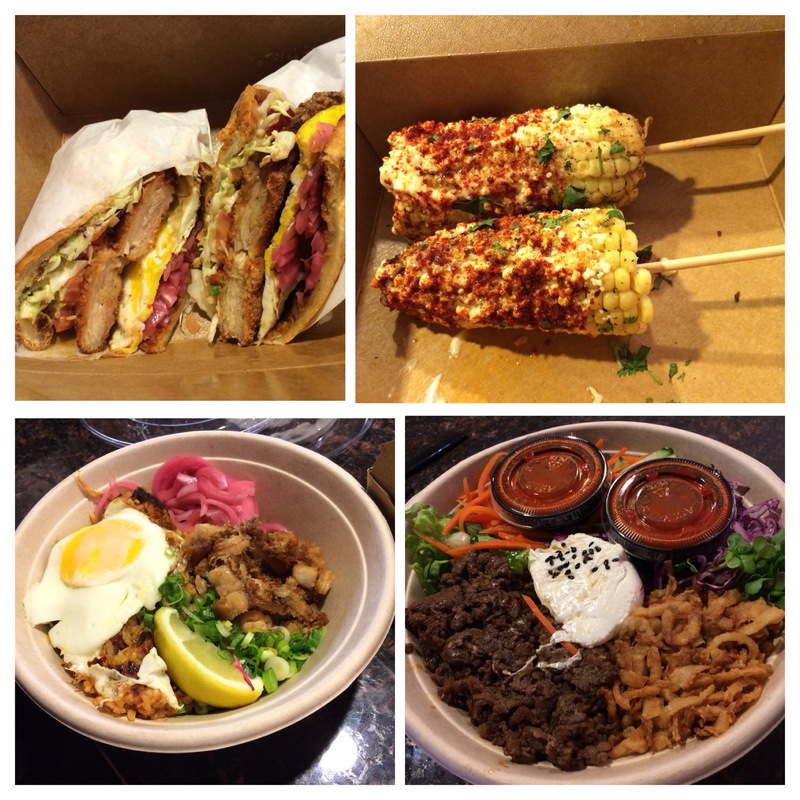 PokiNometry $ – Anaheim, CA – There should be a PokiNometry near every work place, to give the option of a fast and healthy lunch. 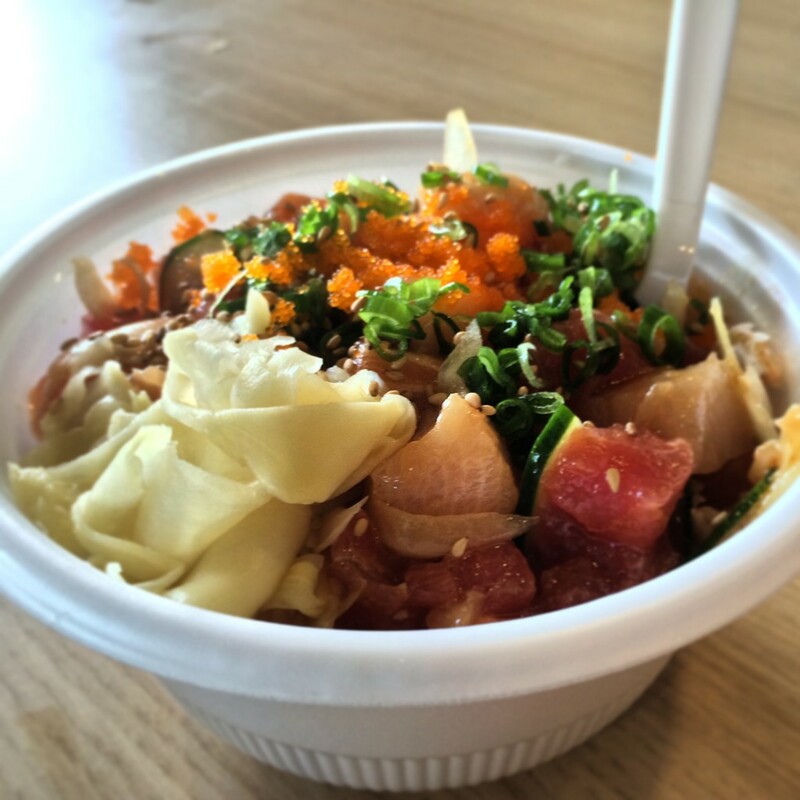 PokiNomety offers Poki which is a Hawaiian dish including raw cubed fish, spicy seasoning, vegetables and sauces. 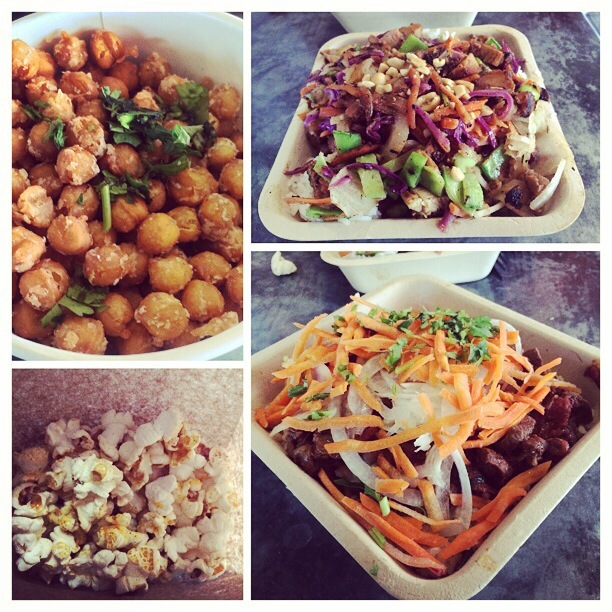 PokiNometry specializes in rice bowls, salads or nachos where you choose your fish, sauces and toppings. 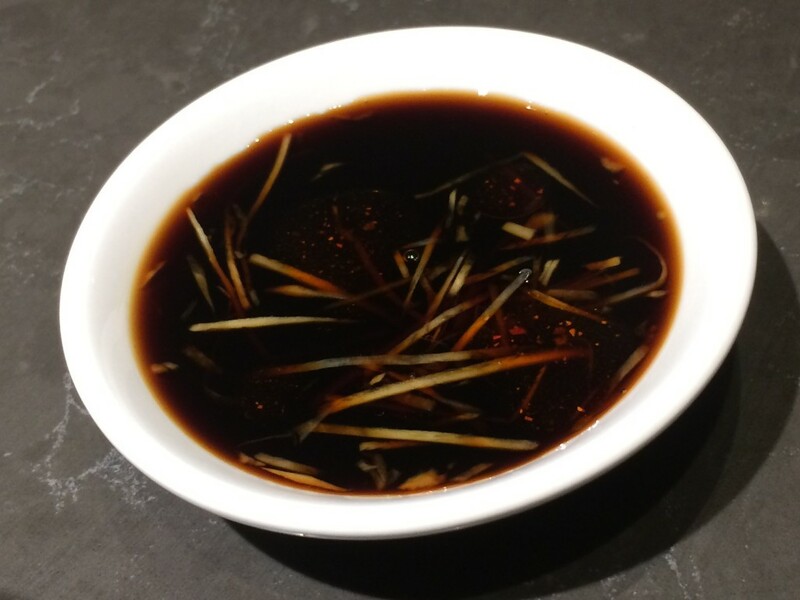 To keep your bowl healthy go with the brown rice or salad options and stick to the Ponzu and Soy Sauce choices. 5. Green Tomato Grill $ – Orange, CA – Green Tomato Grill offers fresh, local and organic ingredients cooked to order made with unique sauces and marinades from around the world. All calories are listed on their menu in the restaurant ranging from 400 to 700 calories. The Thai Peanut Bowl and Fried Green Tomatoes is a solid hit and ask to try out their different sauces to find your favorites. If you check in on yelp you can get a free Chili Lime Popcorn. 6. 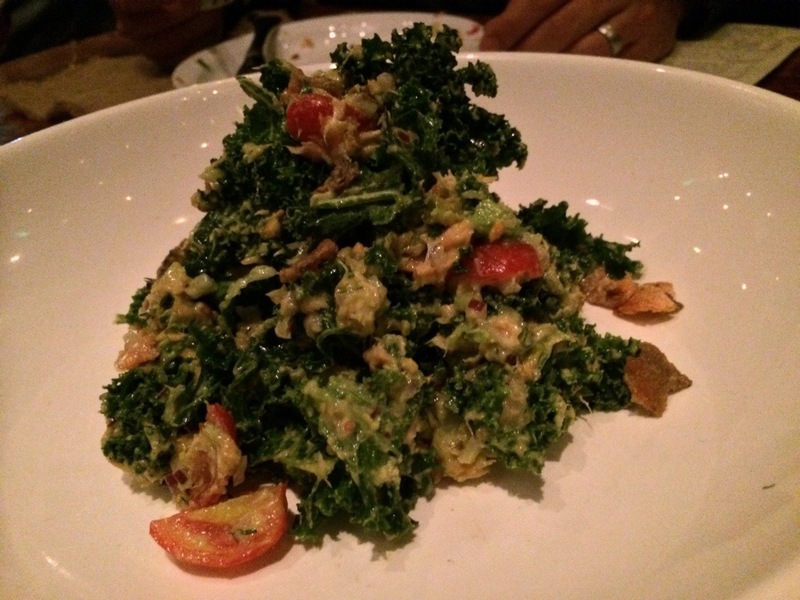 Tender Greens $$ – Multiple Locations in Orange County and Los Angeles, CA – Tender Greens uses a farm to fork philosophy and works with sustainable practicing local farms. 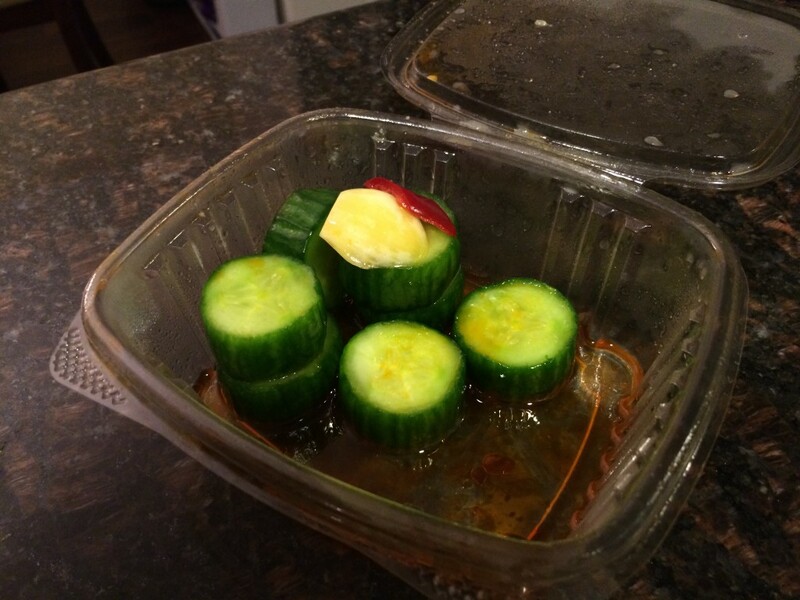 They offer a variety of different entrees, salads and sandwiches. 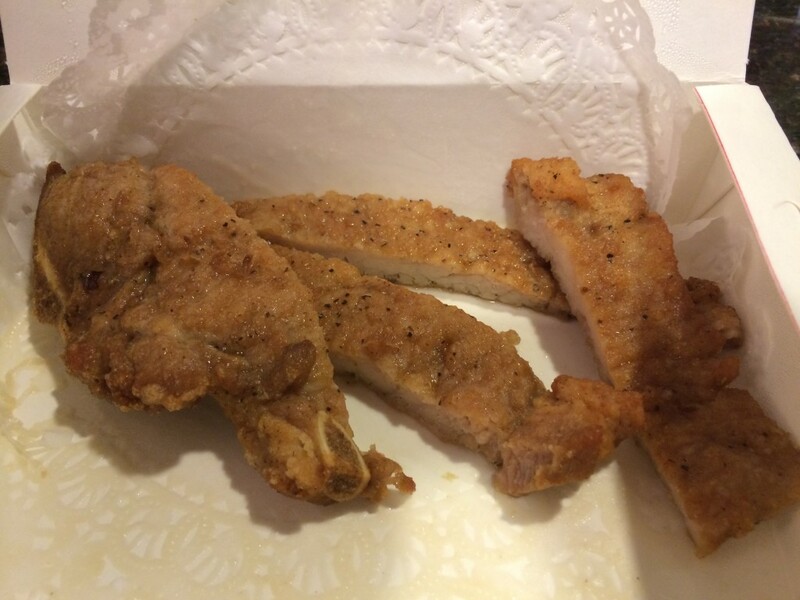 The great healthy options include Salt and Pepper Chicken over Salad, Herb brushed Albacore over Salad, Grilled Thai Octopus Salad and Tuna Nicoise Salad. 7. 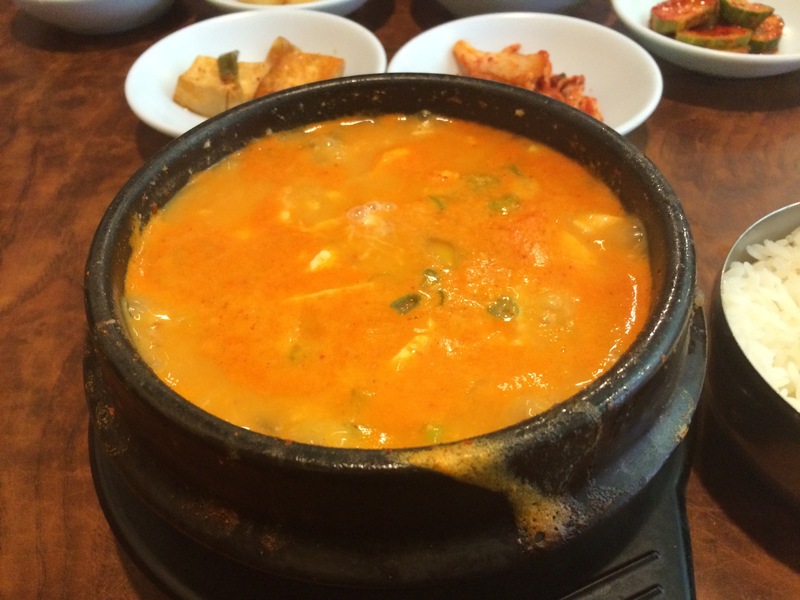 Kaju Tofu $$ – Garden Grove, CA – Kaju specializes in Korean Soon Doo Boo (Soft Tofu Soup). You can choose from no spice, mild, medium, spicy to very spicy and choose your favorite type flavors ranging from Beef, Pork, Seafood, Kimchi Beef, Dumpling, and even Ham and Cheese. They also provide you a plethora of Banchan (appetizers) at no extra cost ranging from Kimchi, Spicy Cucumbers, Fried Fish Cake, Bean Sprouts, Small Fish and Potato Salad. 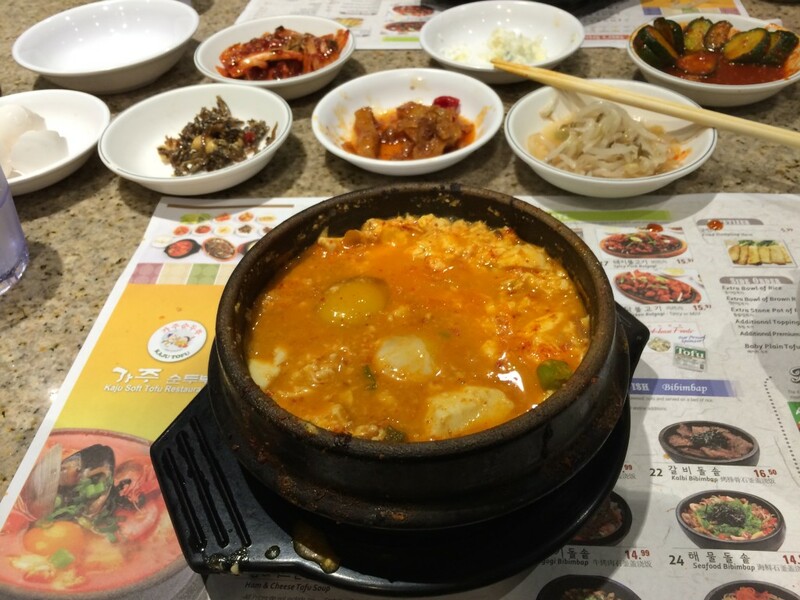 Soon Doo Boo is a healthy option as well as their Vegetable or Mushroom Bibimbap which is a variety of vegetables in a hot stone pot of rice. 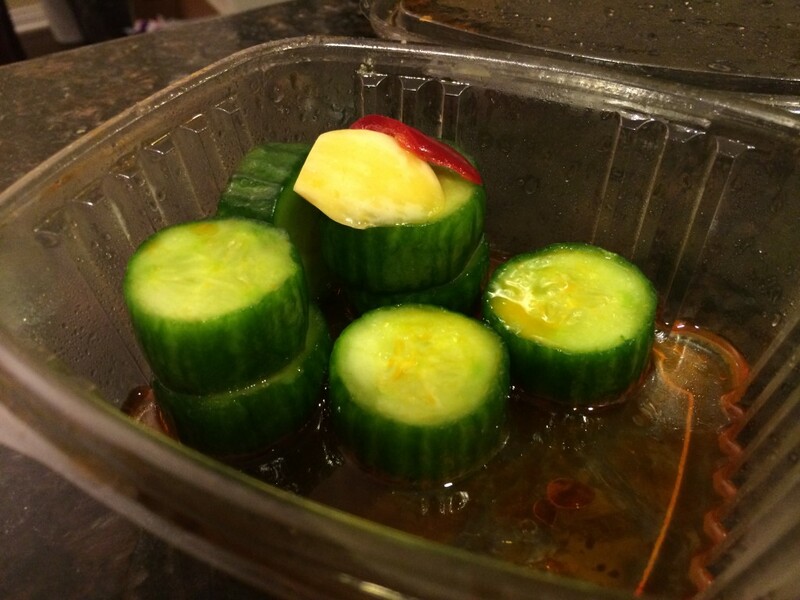 Just try not to splurge too much on the free Banchan. 8. Veggie Grill $$ – Multiple Locations in Orange County and Los Angeles, CA – Veggie Grill is fast food vegetarian restaurant that has flavorful food that non vegetarians can enjoy as well. Veggie Grill has a Santa Fe Crispy Chickin Sandwich that tastes better than a real chicken sandwich. 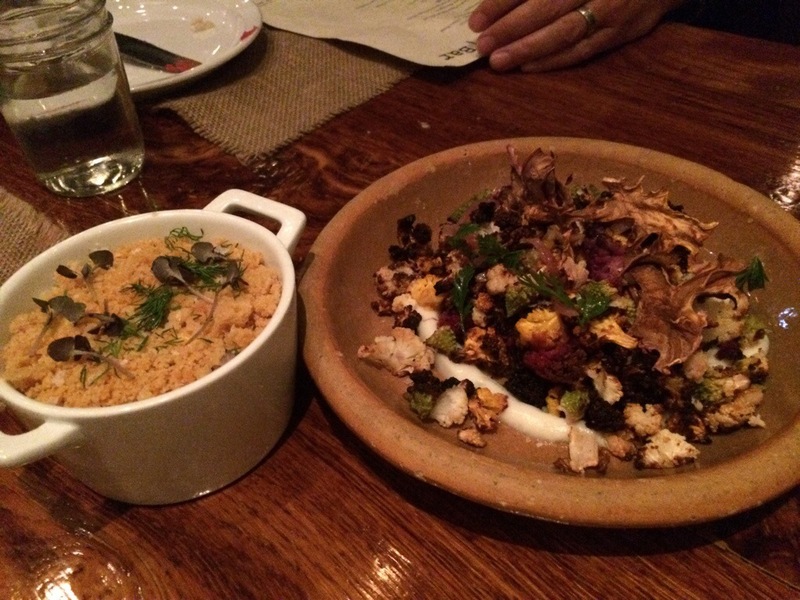 Their Quinoa Power Salad and Cauliflower Mashed Potatoes are also delicious options. 9. 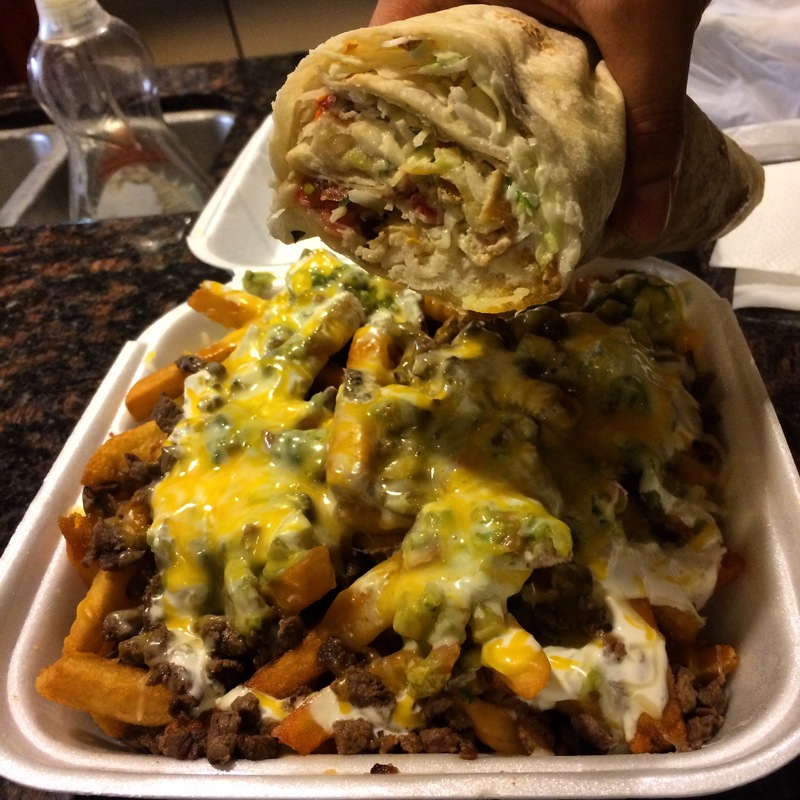 Tortillaz Healthy Mexican Grill $$ – Irvine, CA – Offers fresh healthy Mexican food. Tortillaz makes their tortillas in house and you can choose from Wheat, Spinach, Tomato Basil, Flour and Corn. You can also get Jicama and Guacamole instead of Chips. The standout has been their Carne Asada Burrito with a wheat or spinach tortilla and don’t forget to grab a good helping of their creamy cilantro sauce from the salsa bar. The creamy cilantro sauce makes the burrito 2x as good. 10. 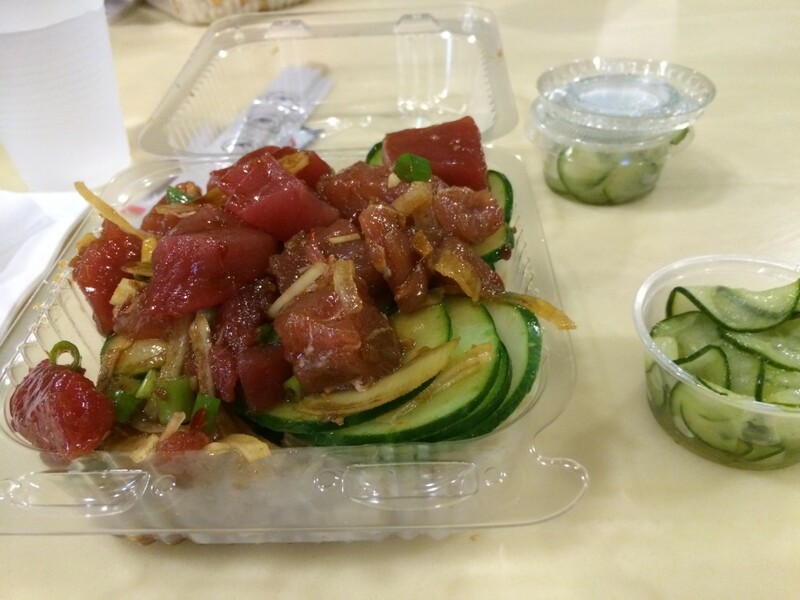 North Shore Poke Co. $$ – Huntington Beach and Cerritos, CA – North Shore Poke Co offers a variety Hawaiian Poke. They offer 8 different styles of Poke, where you choose your fish and then get it over white rice, brown rice or cucumbers. 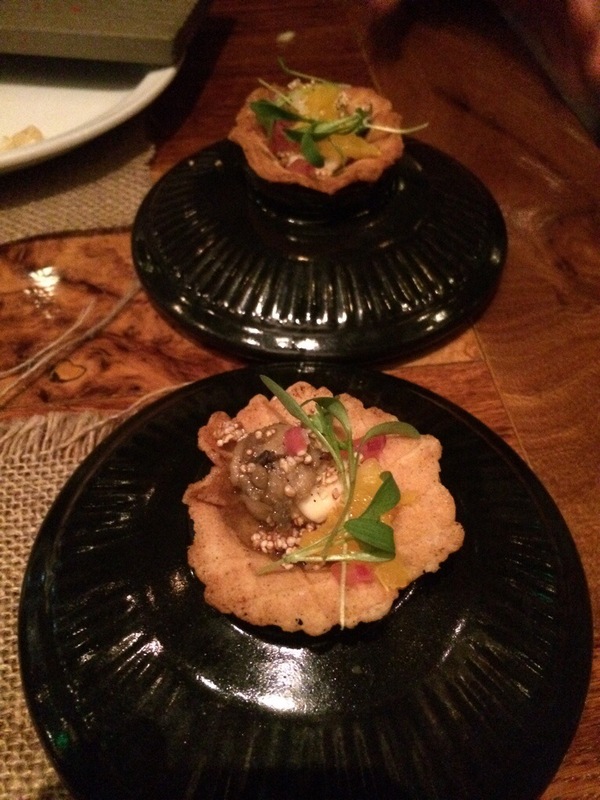 The popular flavor is their Waimea which is a in-house blend of their spicy mayonnaise. 11. 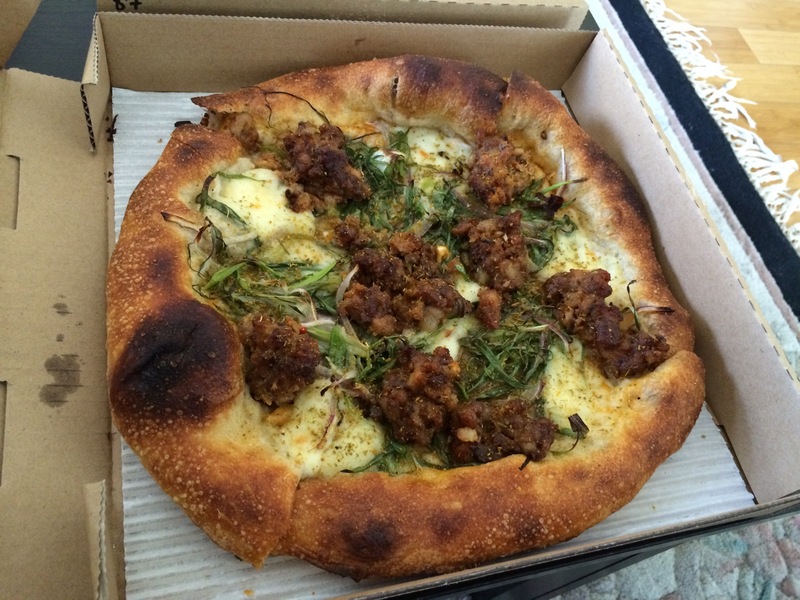 Seabirds Kitchen $$ – Costa Mesa, CA – Seabirds started as a food truck and has since transitioned into a casual Vegetarian sit down restaurant located in The Lab. 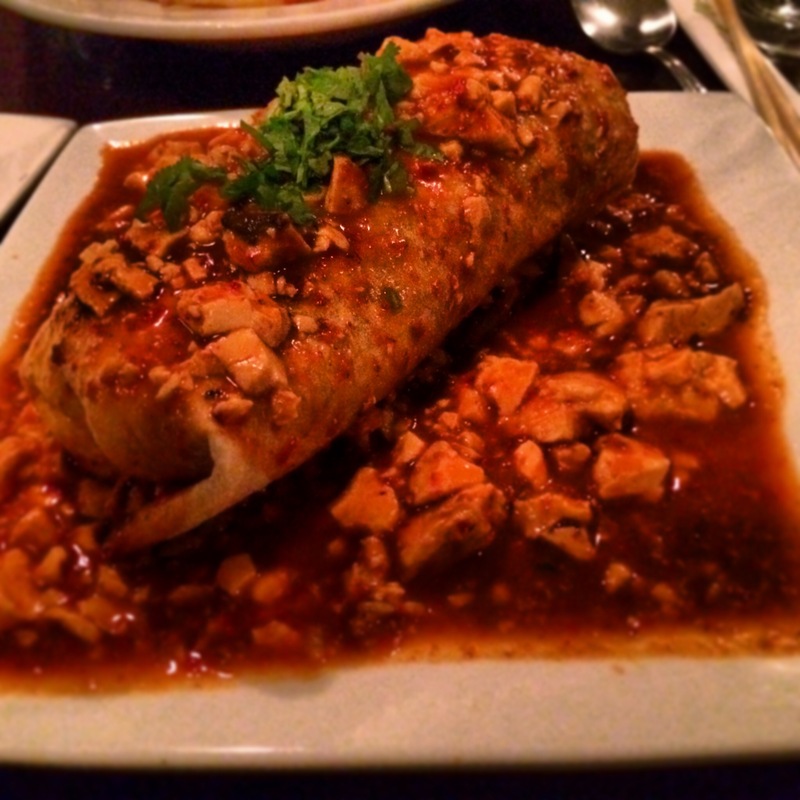 They offer a wide variety of menu items that changes with the season. 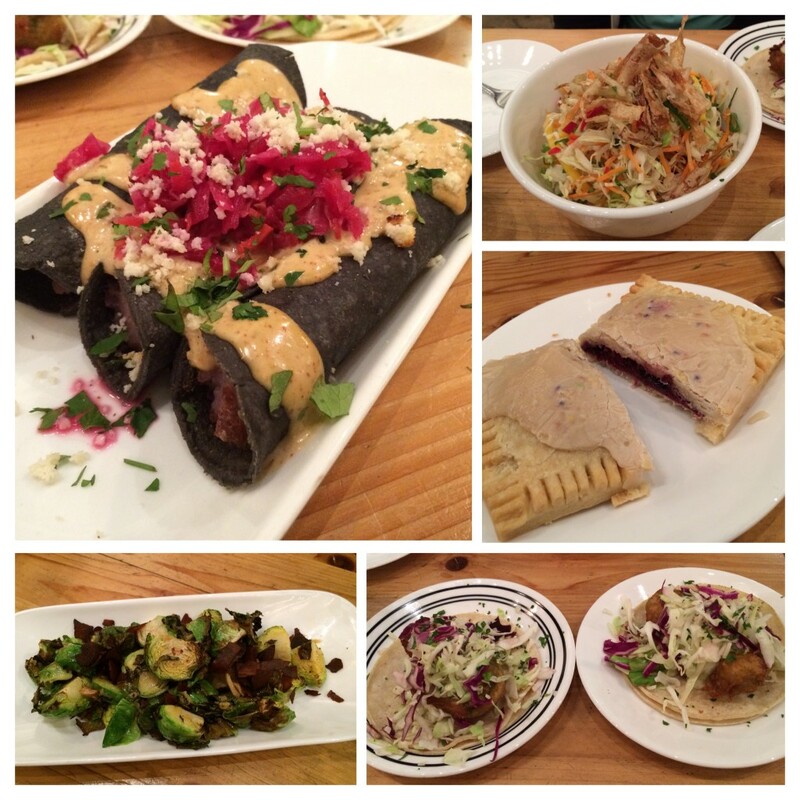 Things to try include the Purple Taquitos, Burnt Brussels Sprouts and Beer Battered Avocado Taco. 12. 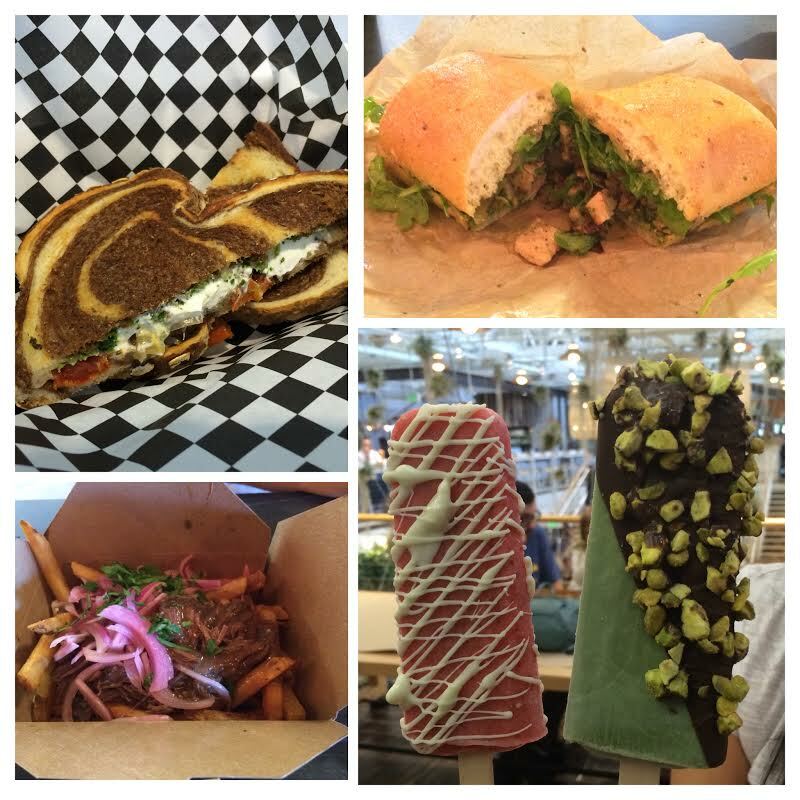 Healthy Junk $$ – Anaheim, CA – Healthy Junk offers all your favorite comfort foods in healthy, vegan and gluten free options. Their menu consists of Chili Cheese Fries, Nachos, Corn Bread, Fish N Chips, Salads, Burgers, Sandwiches, Tacos, Fajitas, Pizzas and Dessert. 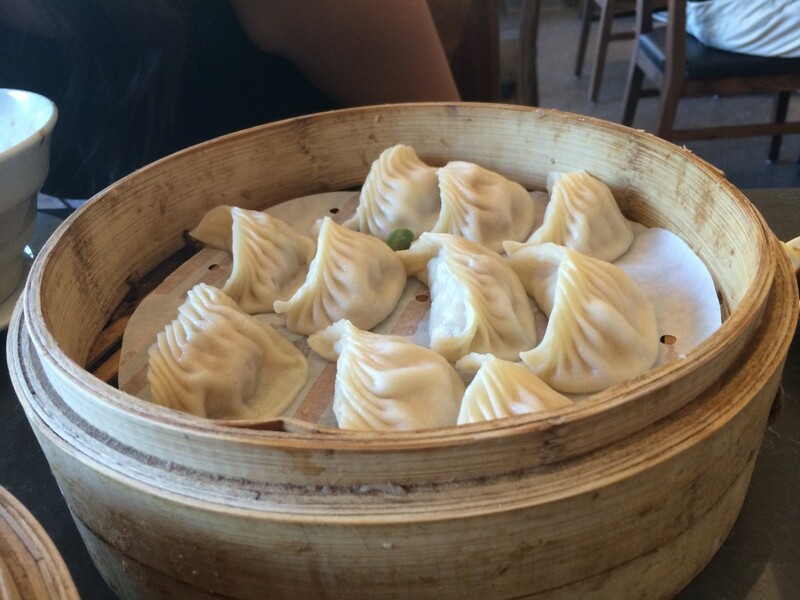 Din Tai Fung – Costa Mesa, CA – Steamed Soup Dumplings at its finest. 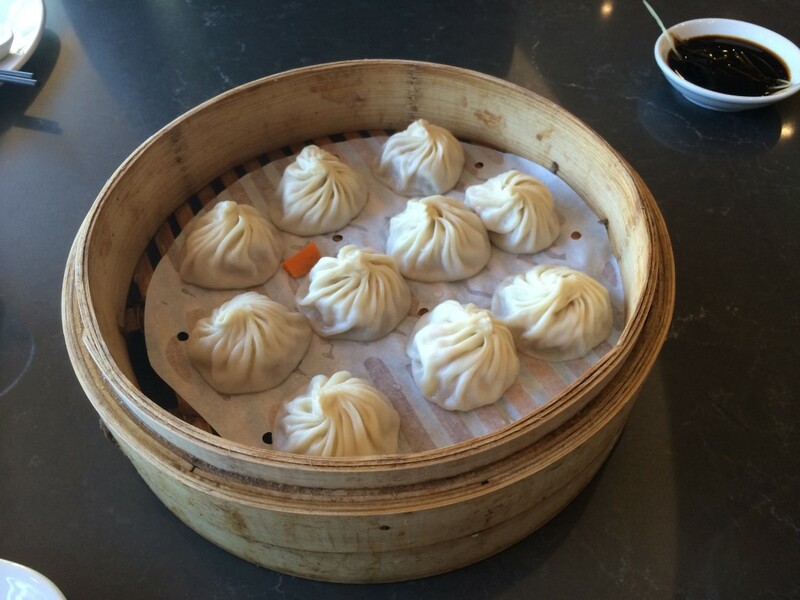 Din Tai Fung has specialized in Xia Long Bao (Steamed Soup Dumplings) in Asia since the 1980’s. They have been named Top 10 restaurants in the world by New York Times and two of their restaurants have received a Michelin Star. 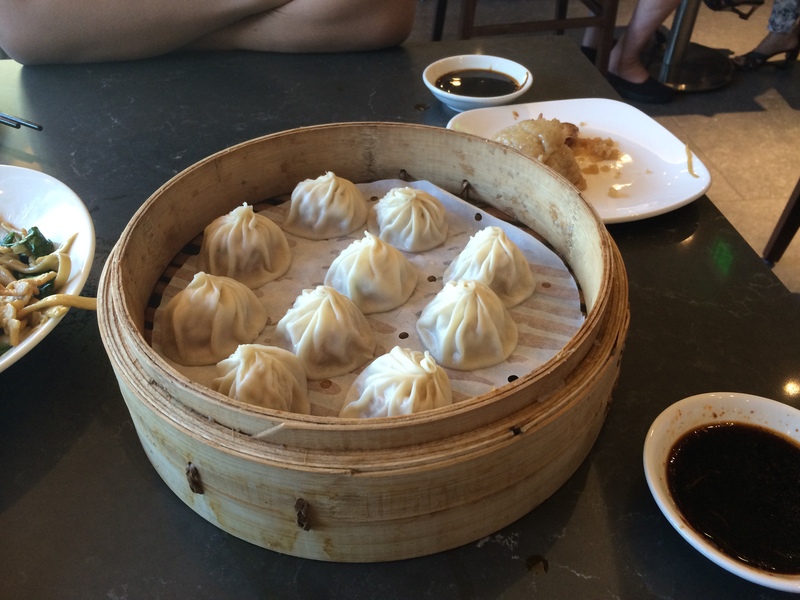 They recently opened a restaurant in South Coast Plaza in Costa Mesa. 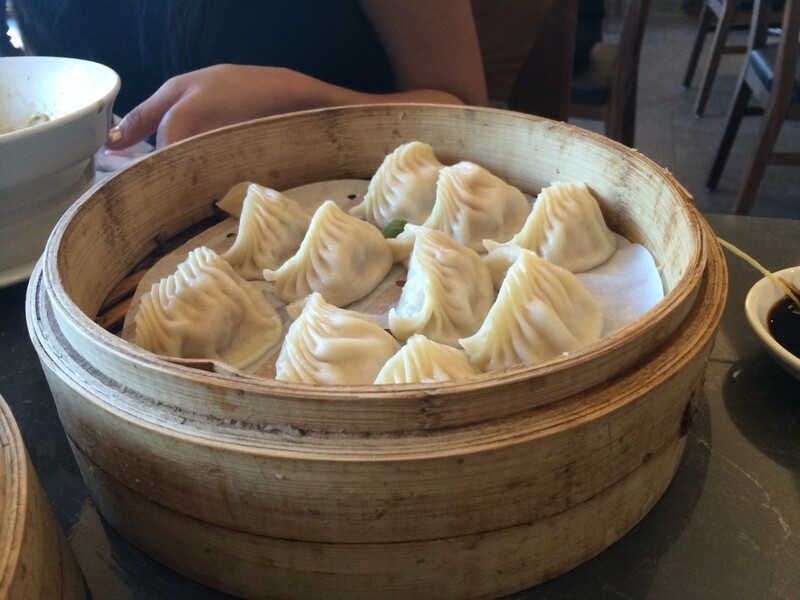 If you haven’t experienced a soup dumpling before, head over to Din Tai Fung stat. A good Xia Long Bao is a perfect comfort food consisting of a delicately and expertly pleated dough skin filed with pork, shrimp or vegetables with steaming soup inside. 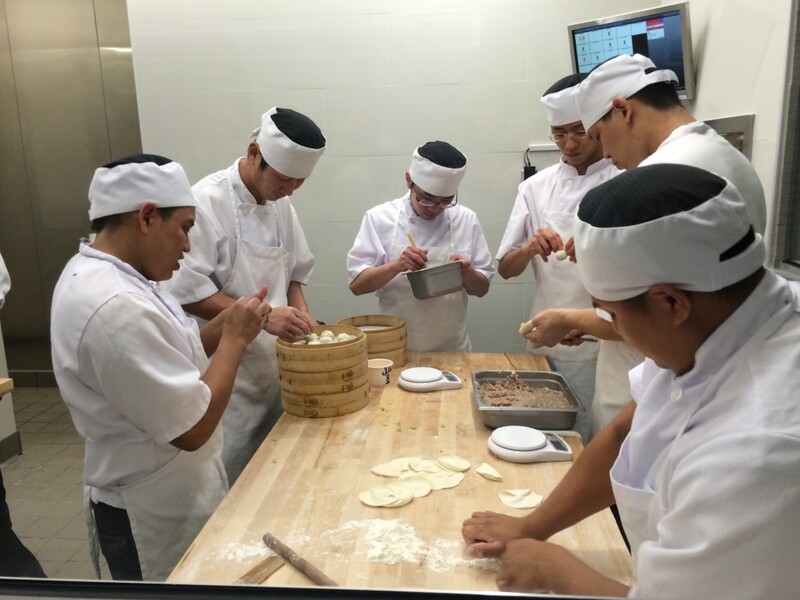 Each Xia Long Bao is hand made by an expert who has to go through a rigorous training process just to be certified to pleat and fold the dumplings. 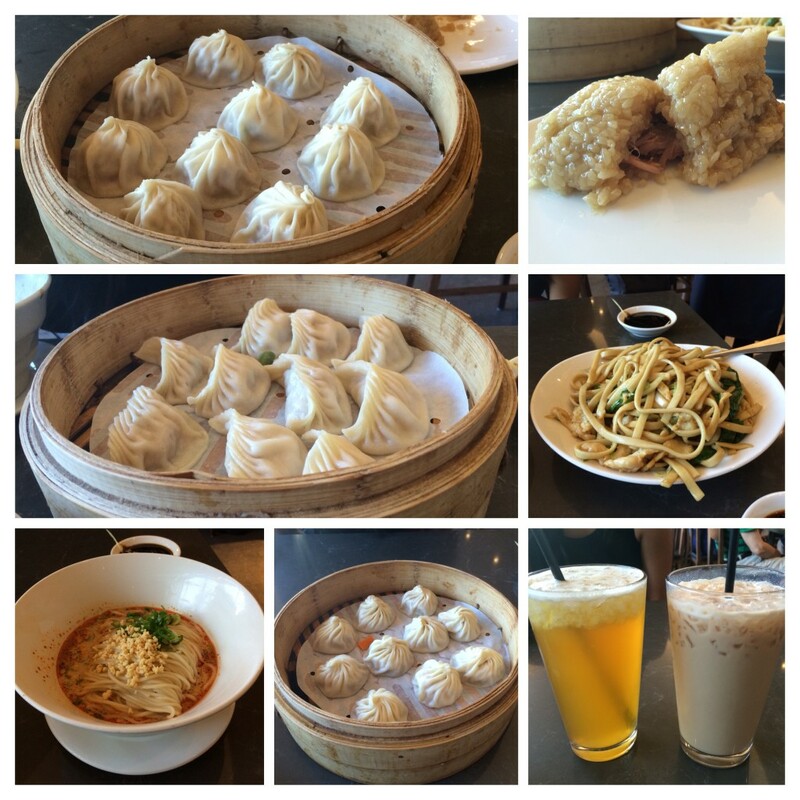 Not only does Din Tai Fung have the best Xia Long Bao on the westcoast they also offer a variety of noodles, soups, vegetable dishes, rice dishes and boba tea drinks. 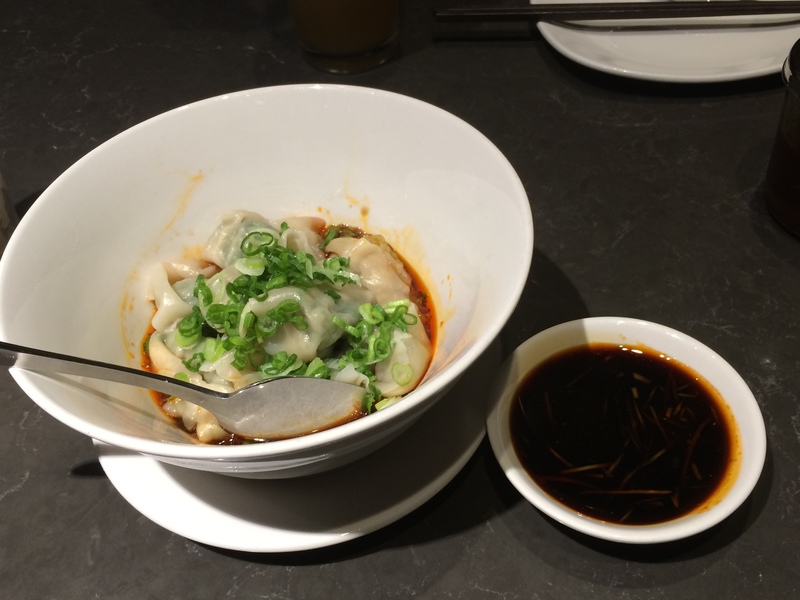 The must try dishes when visiting are Juicy Pork Dumplings, Noodle with Sesame Sauce, Shrimp and Pork Wonton in Spicy Sauce and Fried Pork Chop. At the Costa Mesa location expect a long wait so put your name in and you can shop while waiting, they will send you a text when your table is ready. 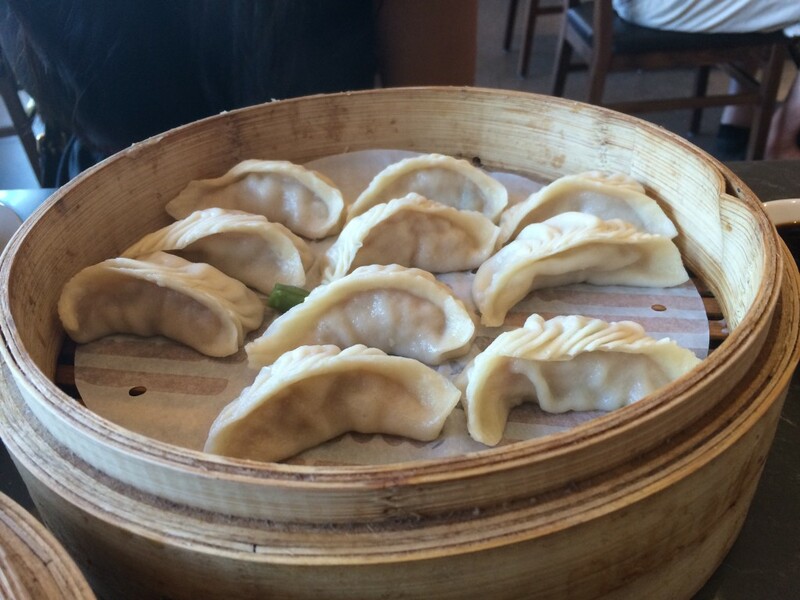 Love, peace and Dumpling grease! 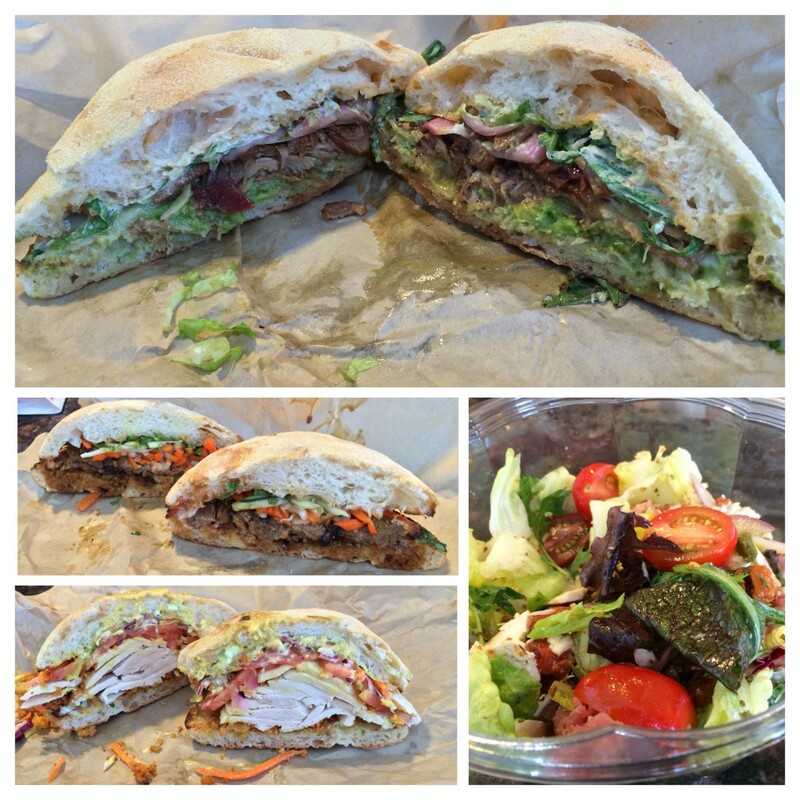 Sandwiches are the perfect handheld meal. They use different types of bread as the perfect vessel for meats, cheese and veggies. Plus they are one of the only meals that can easily contain all 5 food groups in one sandwich. Sandwiches or meat between bread date back as far as 18th century Europe. The sandwich name came about after John Montagu the 4th Earl of Sandwich ordered his valet to bring him meat tucked between two pieces of bread, so he could continue playing cards without getting his hands dirty. 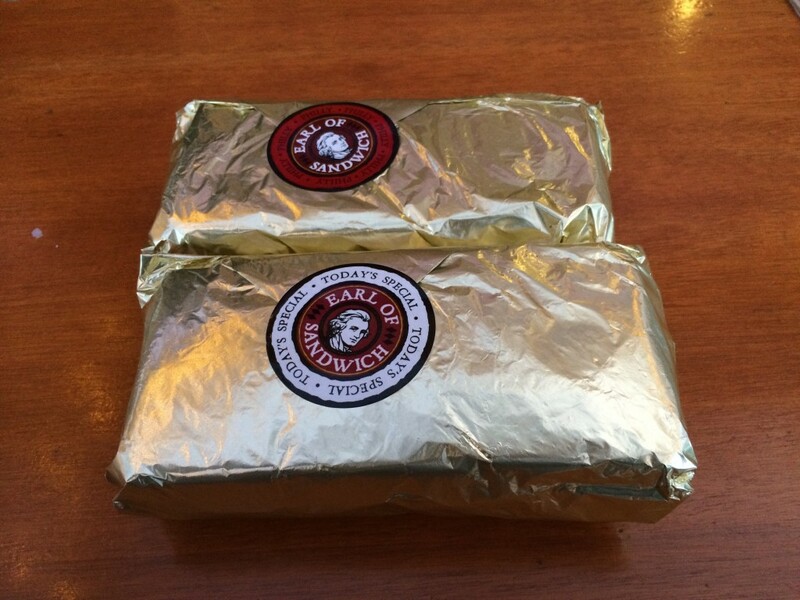 Praise the sandwich and all its goodness. 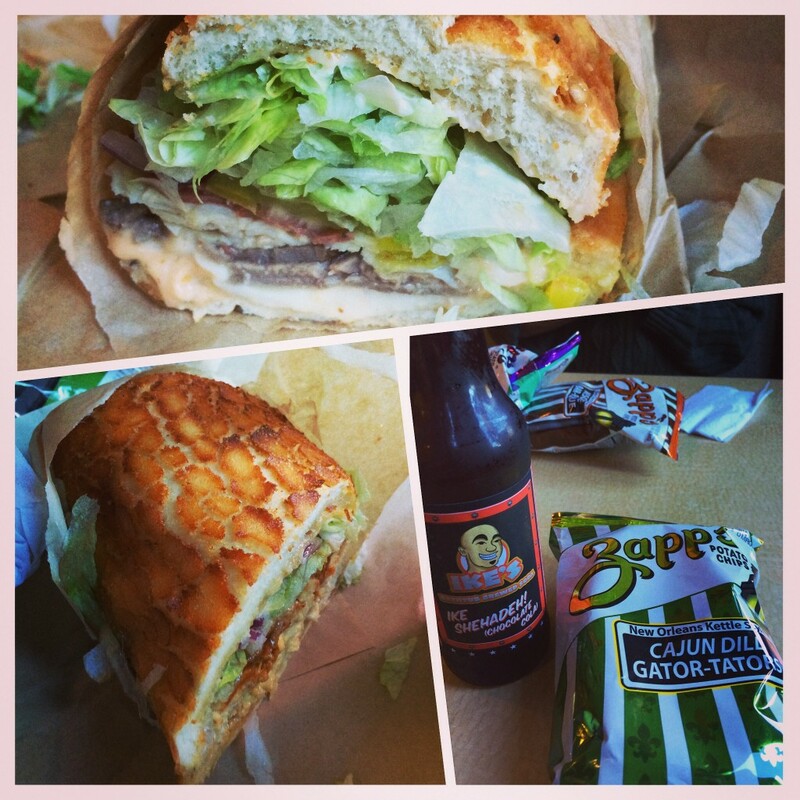 Please enjoy OCFoodList’s top 10 best sandwiches in Orange County in no particular order. 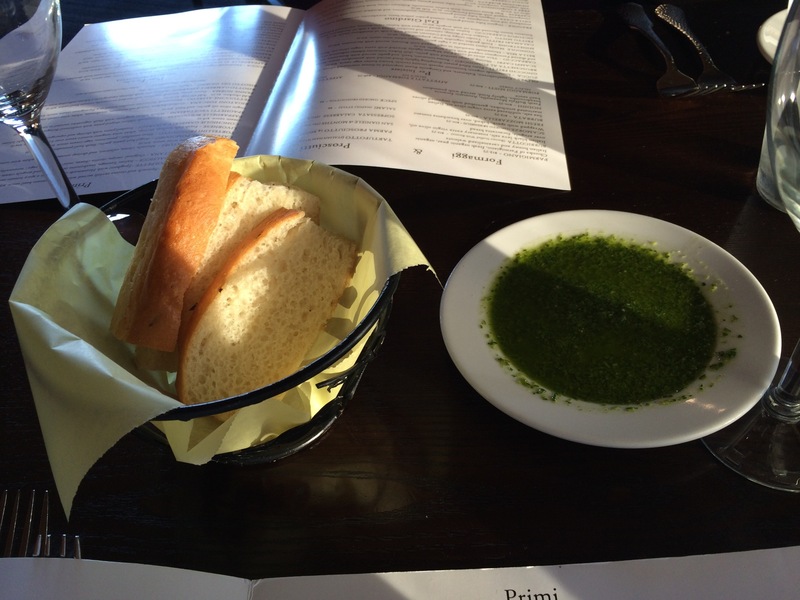 Le Diplomate Cafe $ – Irvine, CA – Le Diplomate is a French cafe that serves fresh French Baguette Sandwiches. Their prices are ridiculously reasonable. They offer French style sandwiches along with American, Vietnamese and Gyro Sandwiches as well as Breakfast Croissants, Bagels, Coffee and Smoothies. 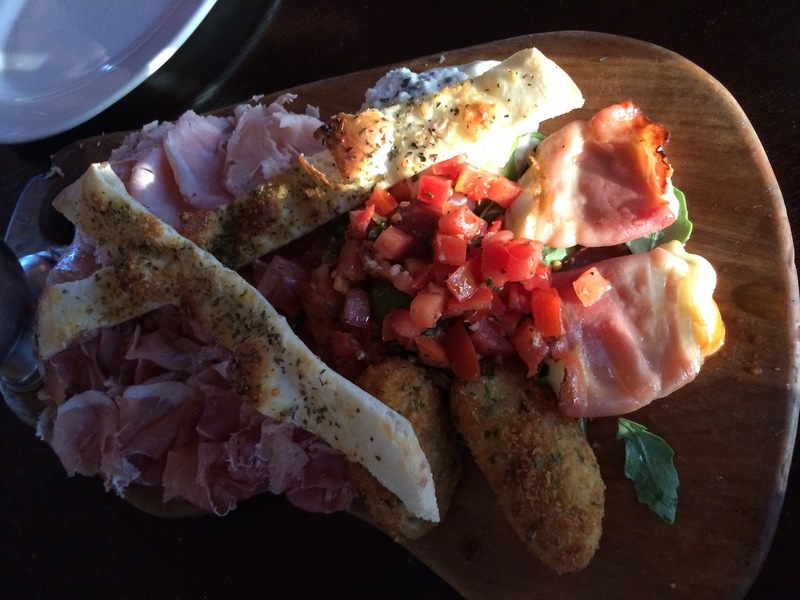 You can’t leave here without trying the Chicken Garlic or Chicken Cordon Bleu. 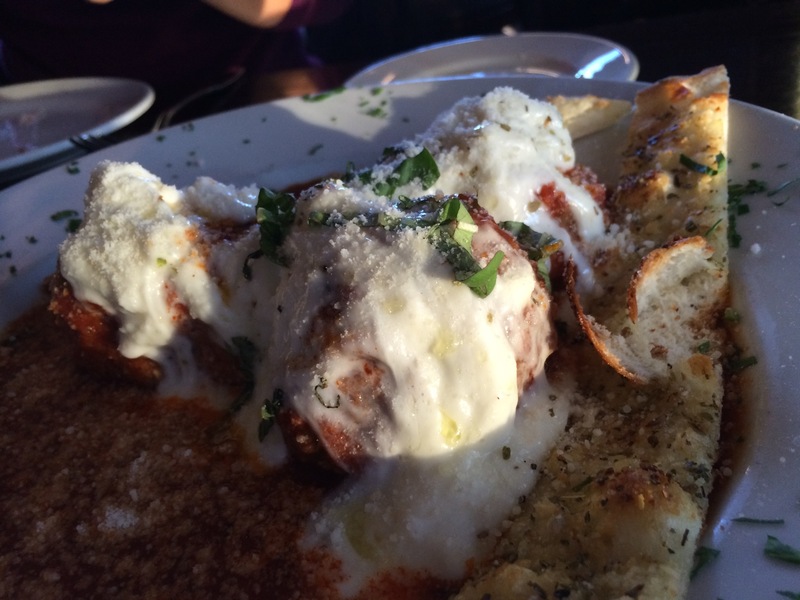 That creamy garlic sauce is to die for. Mendocino Farms $$ – Costa Mesa and Los Angeles, CA – Mendocino Farms finally opened a location in Orange County so you don’t have to go all the way to Los Angeles anymore. 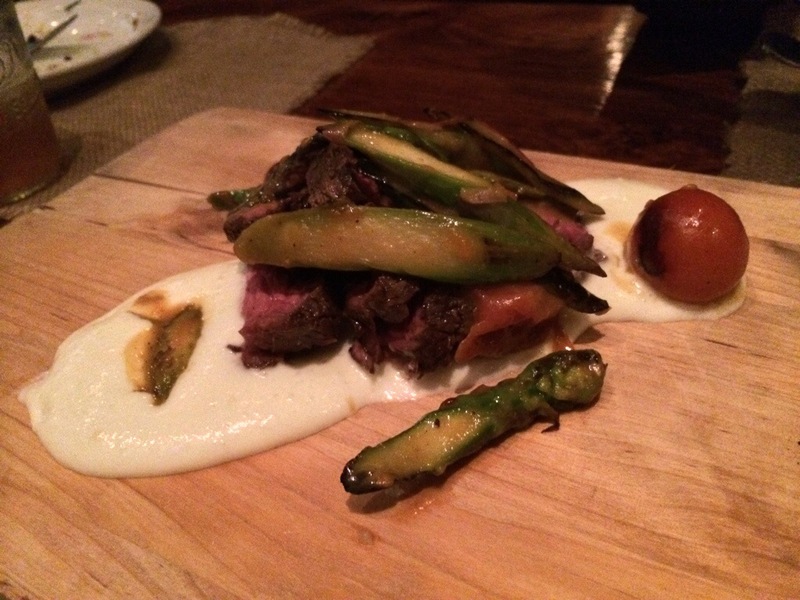 They promote seasonal and local produce from local farmers as well as sustainable farming. Mendocino Farm’s have a wide variety of sandwiches to try but the favorites have to be the Three Little Piggies (secret menu item) and the Kurobuta Pork Banh Mi. Earl of Sandwich $ – Anaheim, CA – Well the Earl of Sandwich claims to have invented the sandwich so this place has to be good right? It definitely is, and it has the best sandwich wrapper in the game. Their bread is an artisan baked loaf with olive oil that is delicious. Every sandwich is worth trying but the standouts are the Tuna Melt and the Holiday Turkey (served only during fall/winter). Puerto Madero $ – Santa Ana, CA – Puerto Madero is actually an Argentinean market with a restaurant inside, serving some great Argentinean sandwiches as well as Empanadas. The star of the show is the Chivito Sandwich which contains steak, ham, grilled pork, roasted peppers, olives, provolone, tomatoes and a special spread, it will be like no other sandwich that you have had before. Deli-licious $ – Huntington Beach, CA – This little gem provides a homely interior while dining on their delicious made to order sandwiches. They have great friendly service and the two sisters who own the restaurant honor their late father who loved good food. A lot of their sandwiches are named after their customer’s specific orders and some of the favorites include Sue’s Chicken Avocado Caprese and Taylor’s Famous French Dip. Sasha Deli $ – Westminster, CA – Don’t go to this place for great customer service or ambiance, heck some workers barely speak English and it is cash only. 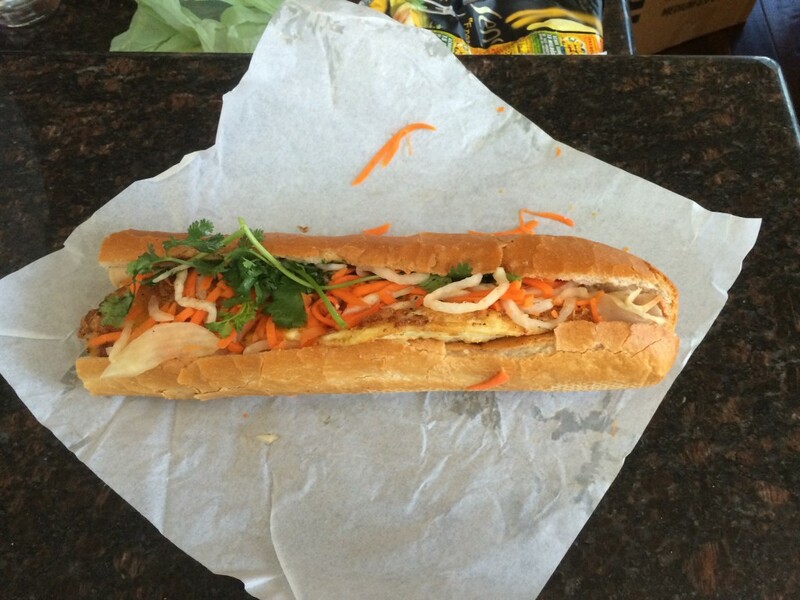 But if you want a great Vietnamese Banh Mi Sandwich you have come to the right place. They have traditional Banh Mi like the Banh Mi Thit and also a fusion Sasha Cheese steak which is their version of a Philly Cheese Steak. El Gallo Giro $ – Santa Ana and Los Angeles, CA – When you are craving a Torta go to the best, El Gallo Giro. Their Torta Cubana which contains 4 different meats (marinated pork leg, milanesa, ham and seasoned head cheese), avocado, panella cheese, refried beans, lettuce and tomato is massive. They also have a full market, bakery and juice bar. 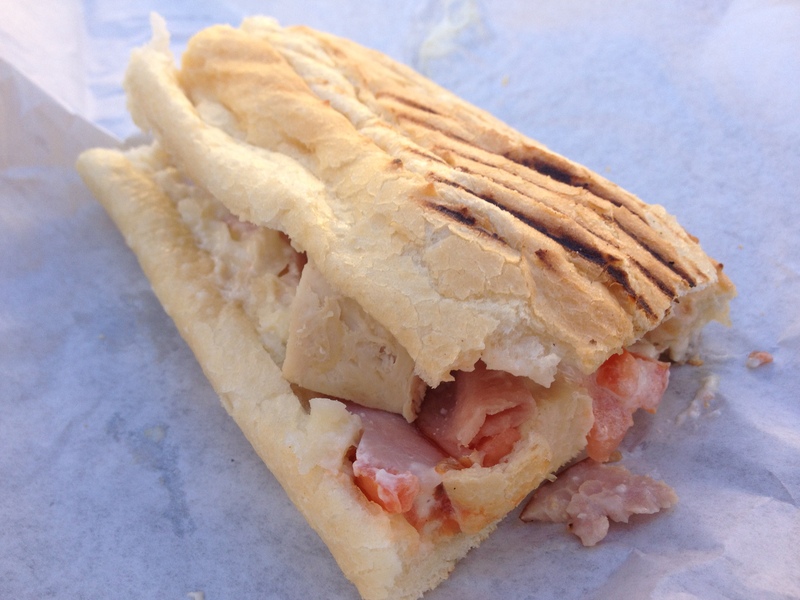 Claro’s Italian Market $ – Tustin and La Habra, CA – Markets sometimes make the best sandwiches and Claro’s is no exception to the rule. 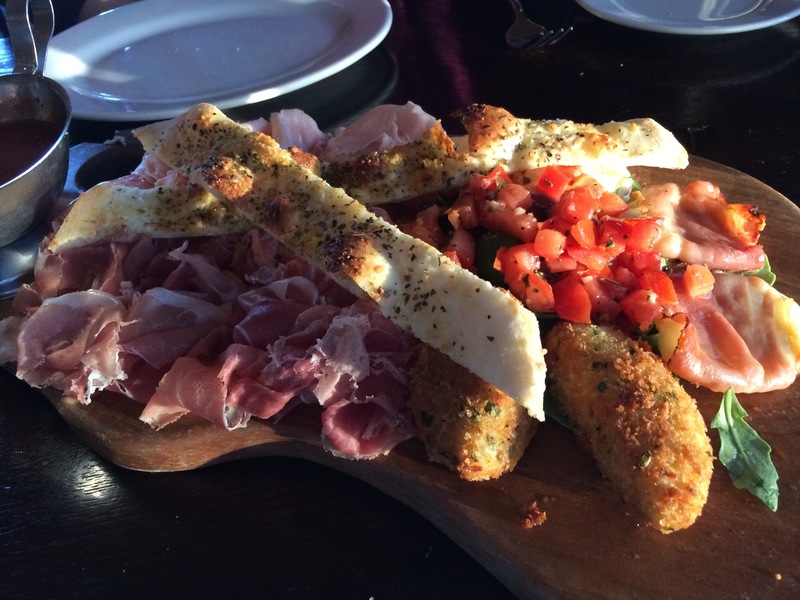 They provide excellent Italian Cured Meats and Cheeses which go great in their sandwiches. Try their made to order Italian Subs and grab some meats and cheeses to go. 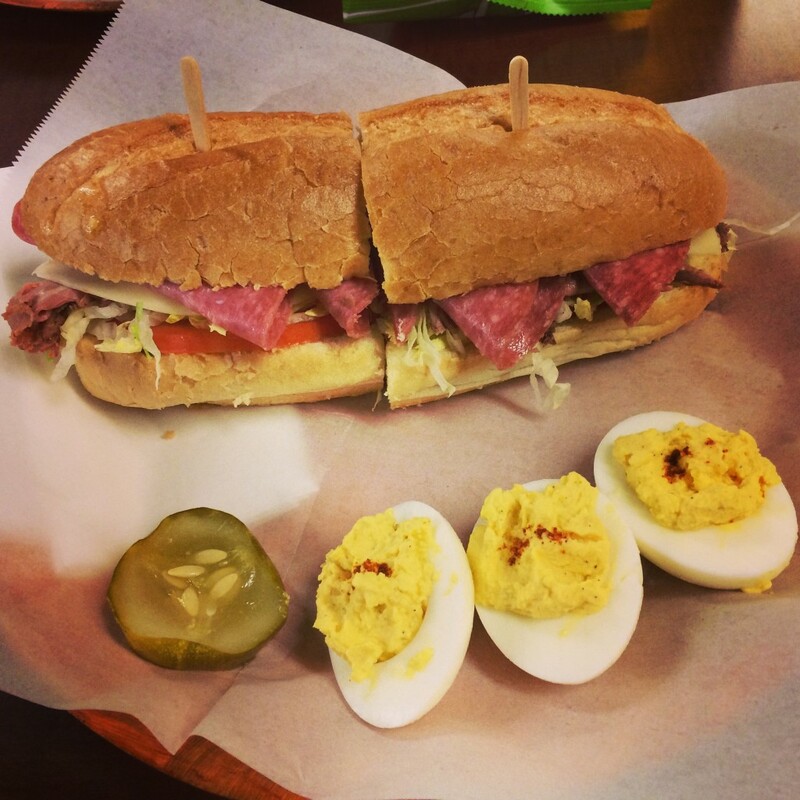 Moscow Deli $ – Costa Mesa, CA – Who ever knew Russians made such tasty sandwiches, well they do. Moscow Deli offers Russia’s finest including two of their most popular sandwiches, the Odessa (Kielbasa and Odessa Sauce) and Kiev (Salami and Russian Sauce). You can also grab some caviar, baked goods and beer from their market. 10. 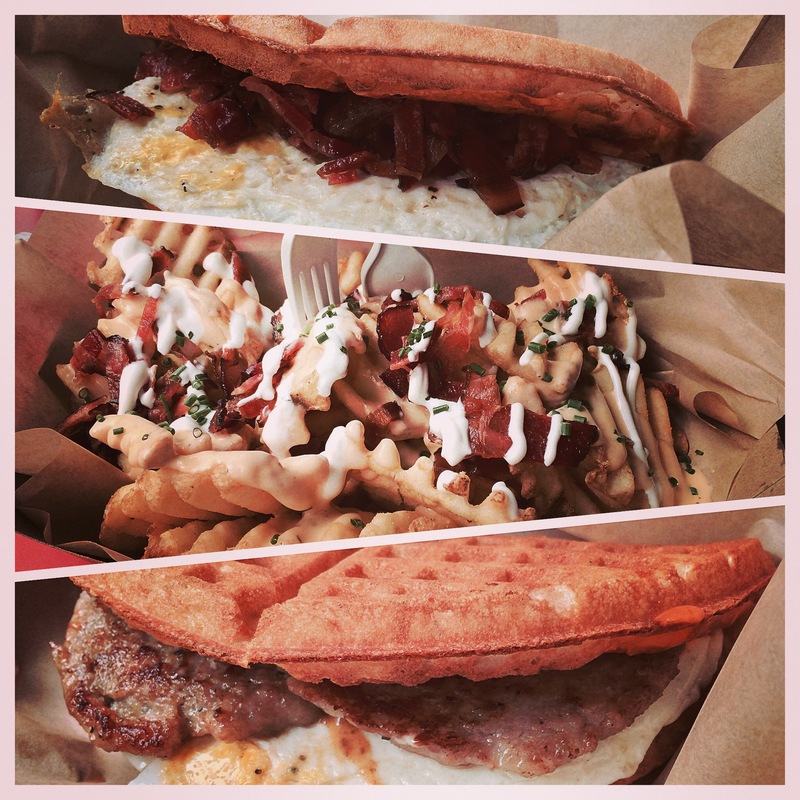 Bruxie $ – Multiple locations in Orange County – Bruxie is home of the waffle sandwich. They use non sweet waffles as bread and offer an array of different sandwich choices. They also offer sweet dessert waffles as well as ice cream treats. Bruxie has a waffle sandwich to fit anyone’s liking and don’t skip out on the Irish Nachos or Old Fashioned Cane Sugar Sodas. Hollingshead’s $ – Orange, CA – Great Sandwiches and great craft beer on draft and bottled as well as pickled and deviled eggs available. 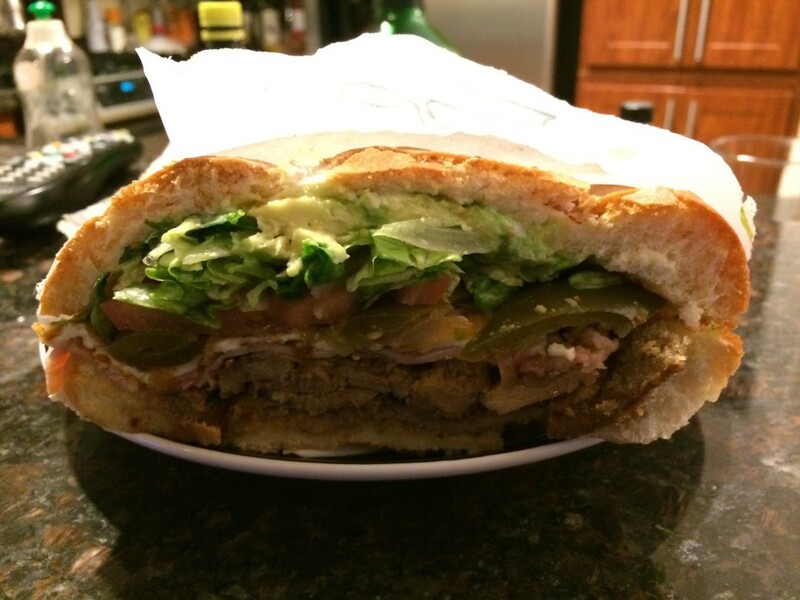 Capriotti’s Sandwich Shop $$ – Multiple Locations in Orange County and Los Angeles, CA – They have the Bobbie (famous Thanksgiving Sandwich) and SlowBeJoe (Housemade Roast beef with Cole Slaw), thats all you need to know. Banh Mi Che Cali $ – Westminster, CA – the best location is on Brookhurst and McFadden, which is open 24 hours for a late night snack. 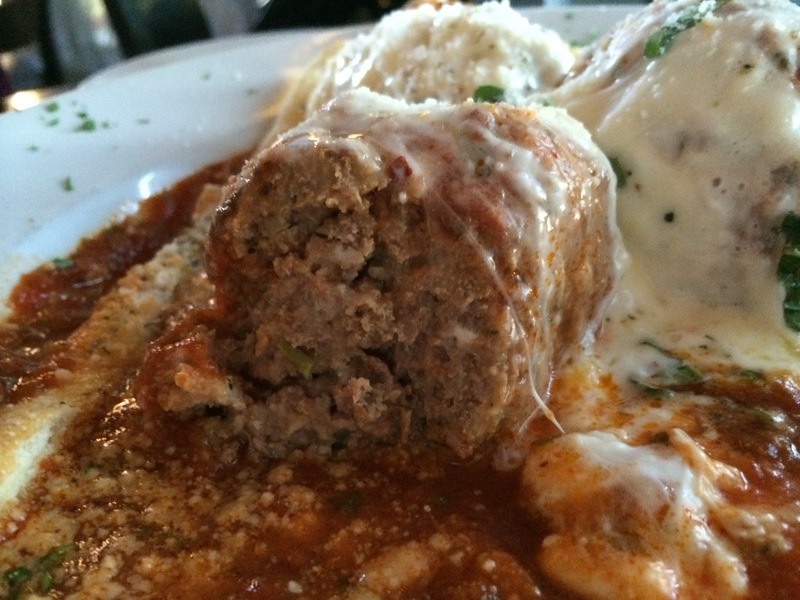 Order the Meat Loaf with Egg, you won’t be sorry. Bay Cities Italian Deli & Bakery $ – Santa Monica, CA – The Godmother could be the best Italian Sandwich in the United States. You can avoid the long wait by ordering online. 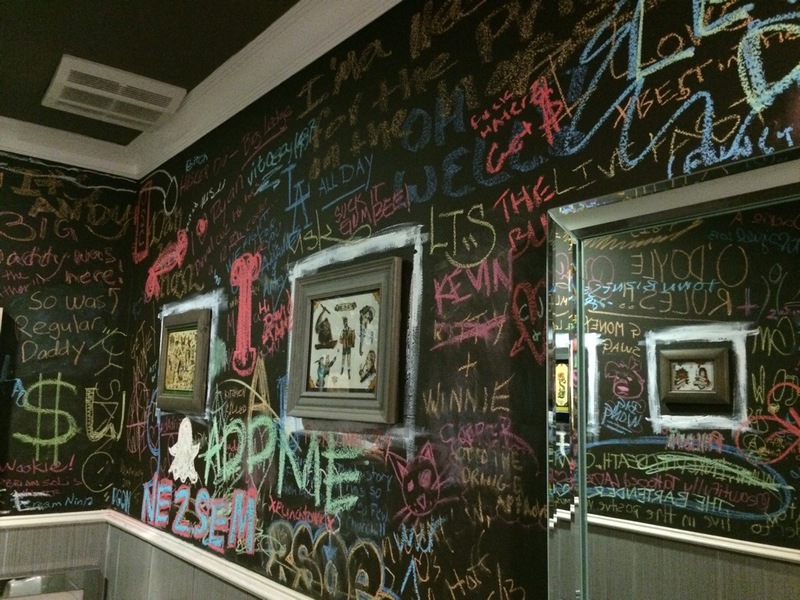 Ike’s Place $$ – Los Angeles, CA – Before it was Norcal’s exclusive sandwich joint, but now available in Westwood. 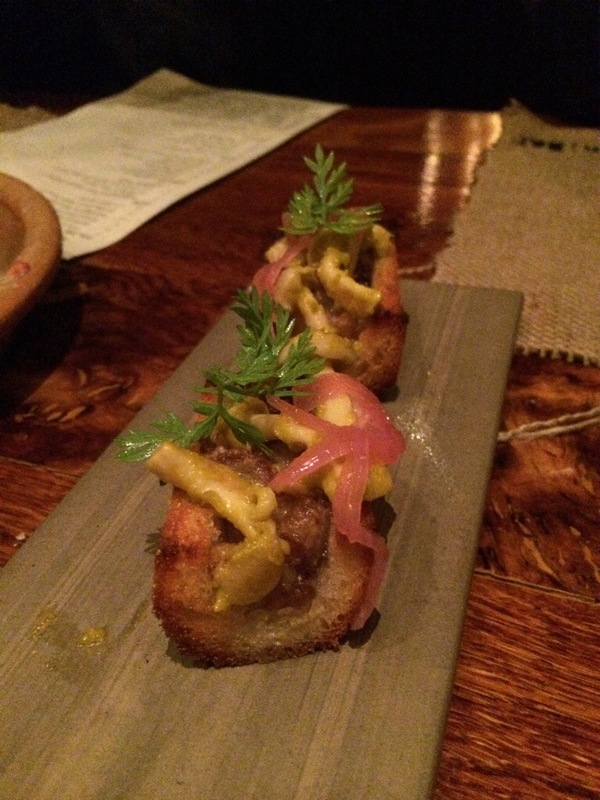 Their Dutch Crunch Bread and Dirty sauce is nothing short of amazing. 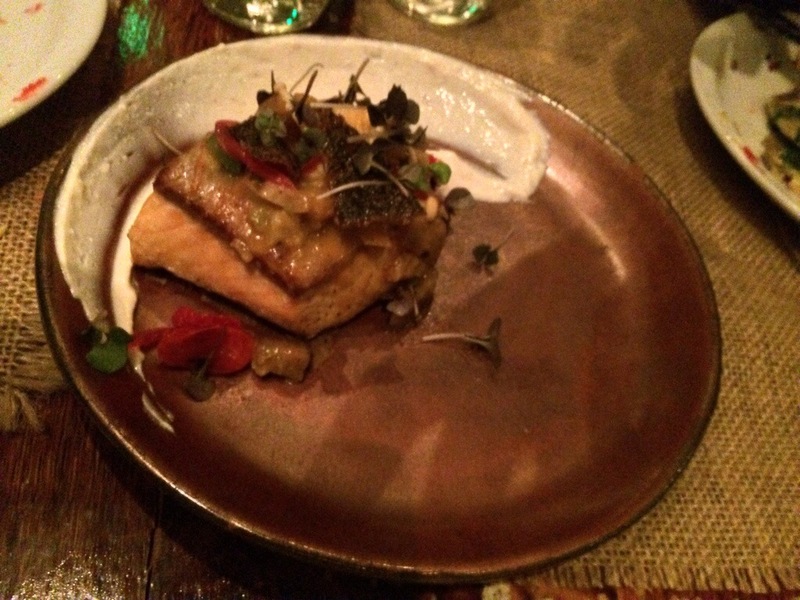 Ink.Sack $$ – Los Angeles, CA – Top Chef winner Michael Voltaggio’s sandwich shop. Their sandwiches are small so grab a couple, but that just lets you sample interesting inklings like Cold Fried Chicken, Spicy Tuna, Banh Mi Pork Shoulder, Tortilla Espanola and the Jose Andres. Behold, these are the Top 10 restaurants to bring a date in Orange County (in no particular order). 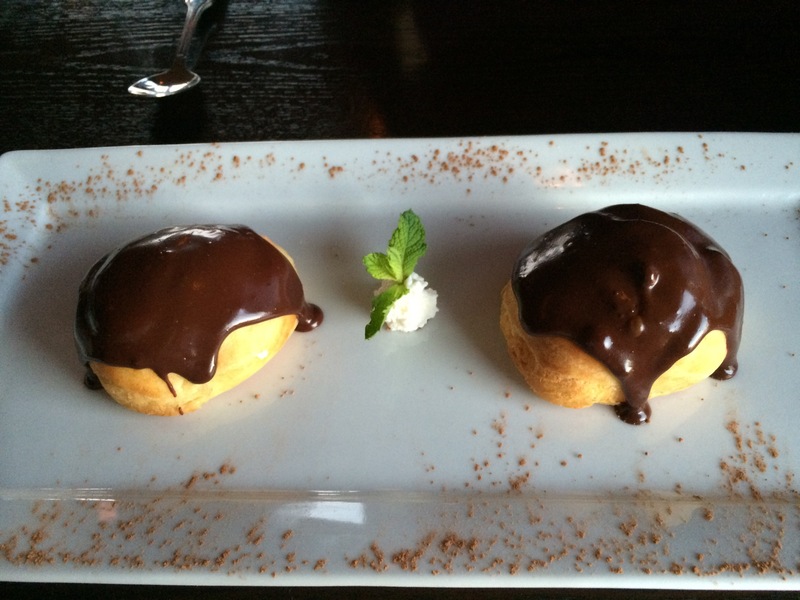 This could be for a first date, a date with your significant other or even for a special occasion. 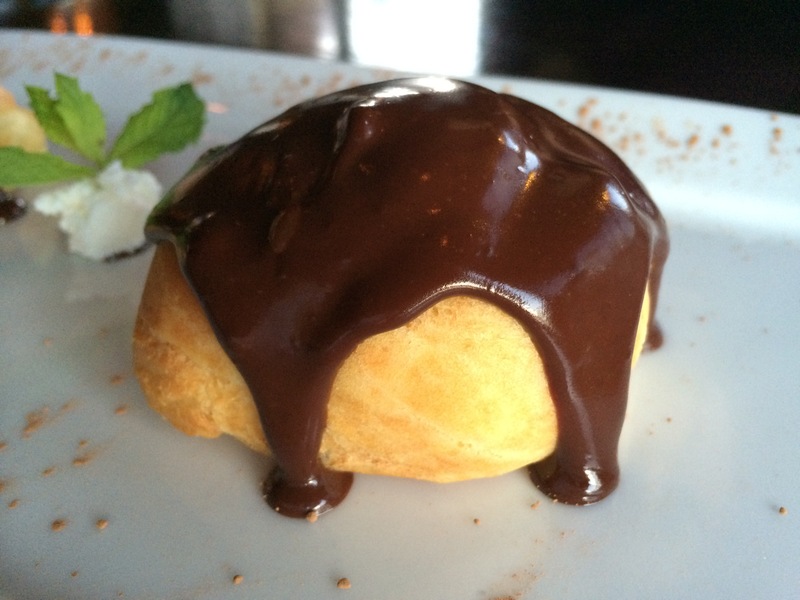 Grab your spouse, lover or new fling, but check out these 10 spots and you will be sure to have a good time and great food. Feel free to comment or let us know any other places you recommend to make sparks fly. Disneyland $-$$$$ – Anaheim, CA – I know I know Disneyland isn’t a restaurant but there are countless great places to eat at inside Disneyland. 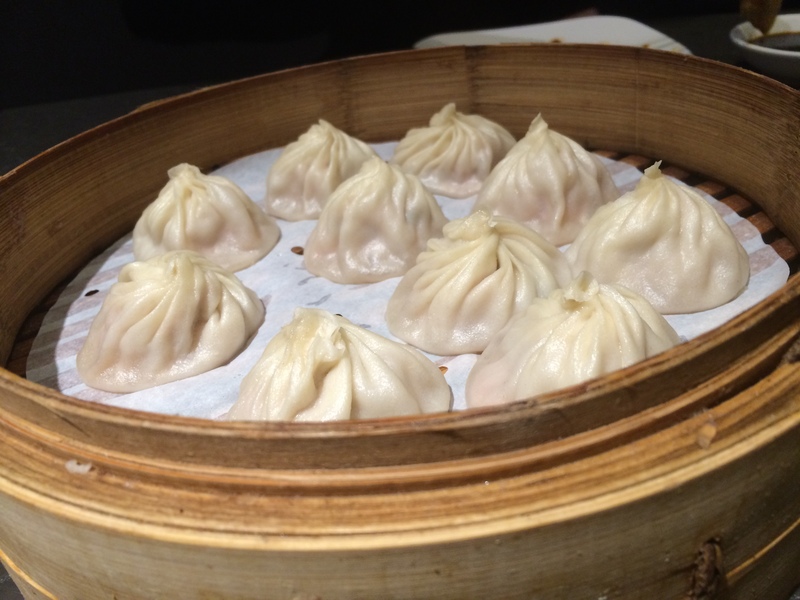 It is a true foodies paradise if you know where to go, you just need to know where to look. Cove Bar behind Ariel’s Grotto is a great place to grab a drink and have a great view of California Adventure, try the Zombie or Black Pearl and it will have you tipsy and eat the Lobster Nachos for munchies. Orleans Cafe in New Orleans Square has a Monte Cristo sandwich to die for and beignets for dessert to match. 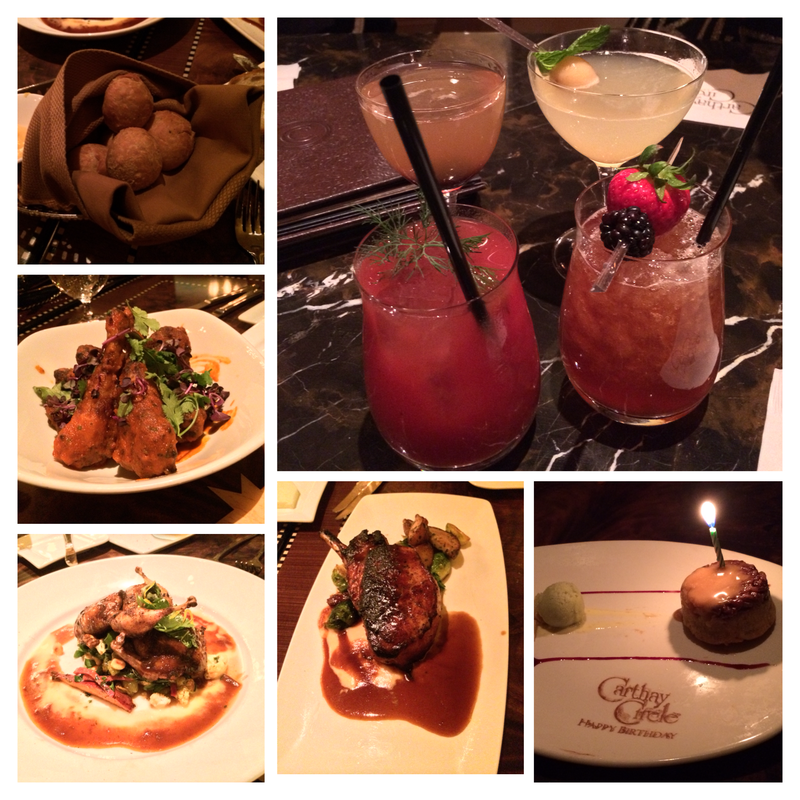 If you want to impress make a reservation at Carthay Circle, they have an extensive cocktail list with some great drinks and twists on classics. The food at Carthay Circle is excellent as well don’t leave without ordering their signature Fried Biscuits and Duck Wings. 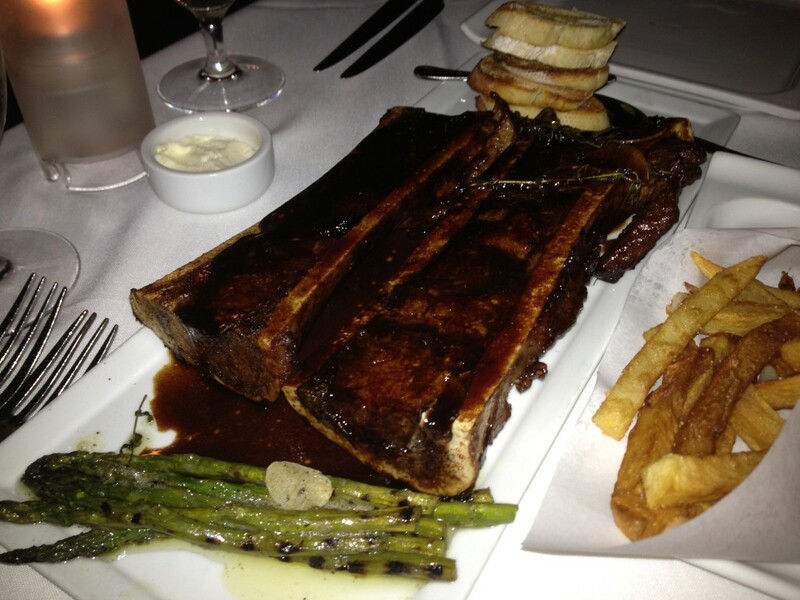 Lola Gaspar $$ – Santa Ana, CA – Lola Gaspar located in Downtown Santa has great atmosphere and dark interior to take an intimate date. They have great cocktails and beer list but you can also order carafes or glasses of Fruit Soaked Sangria. 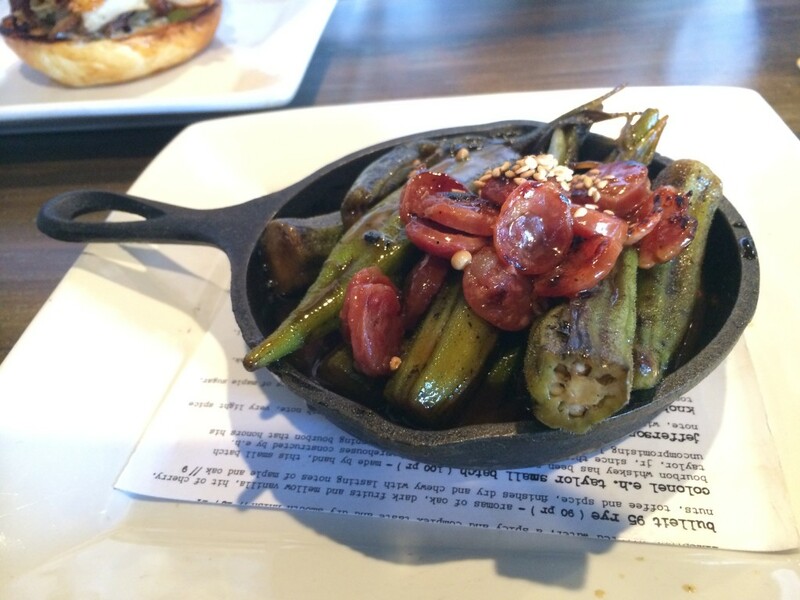 Try the Blue Cheese Stuffed Dates and Duck Confit Fries. Depending on how the date goes or how you want it to go you can also head to several bars in Downtown Santa Ana or go to Yost Theatre to catch a DJ for a night of dancing. 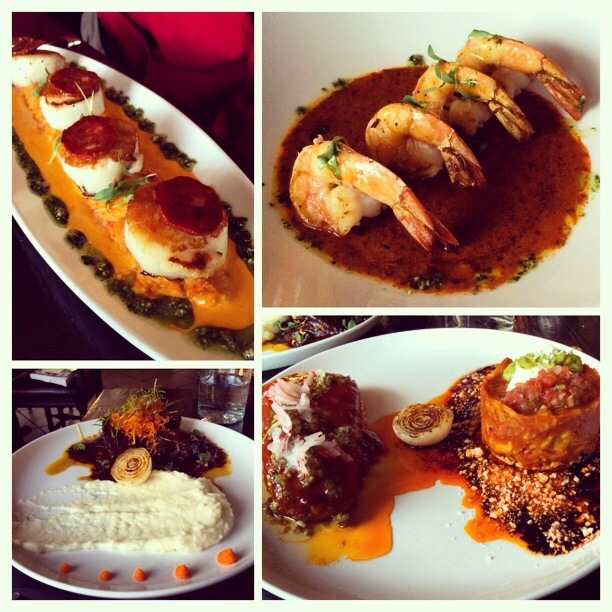 Habana $$ – Costa Mesa, CA – Habana almost seems like it was modeled for a great romantic date restaurant. They have dim lights with seating both inside and outside. This place offers great Cuban cuisine including empanadas, fried avocado and most dishes come with their fried plantains. A few bars are pretty close including Mesa, Memphis and Commissary Lounge if you want to continue the date with a night cap. Anaheim Packing District $-$$ – Anaheim, CA – The Anaheim packing district is communal gathering place including multiple restaurants and merchants. 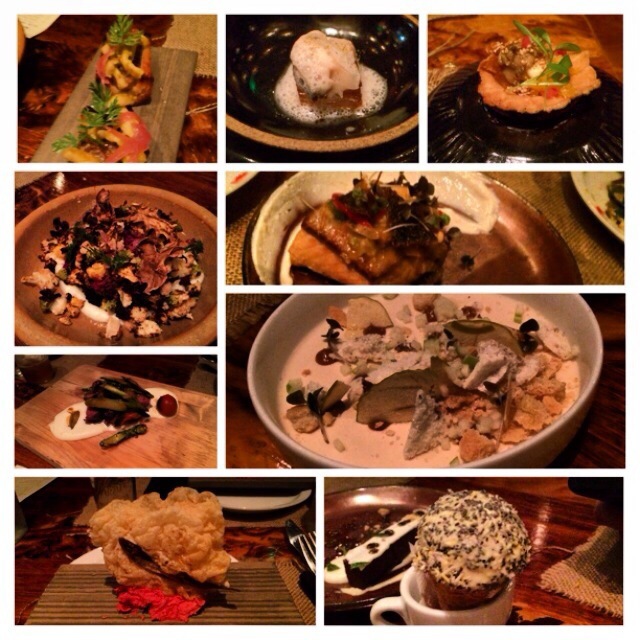 It is a great place to bring a date if you want to try multitude of food. They have many places to grab a drink and they have a secret hidden bar called Blind Rabbit where reservations are recommended. 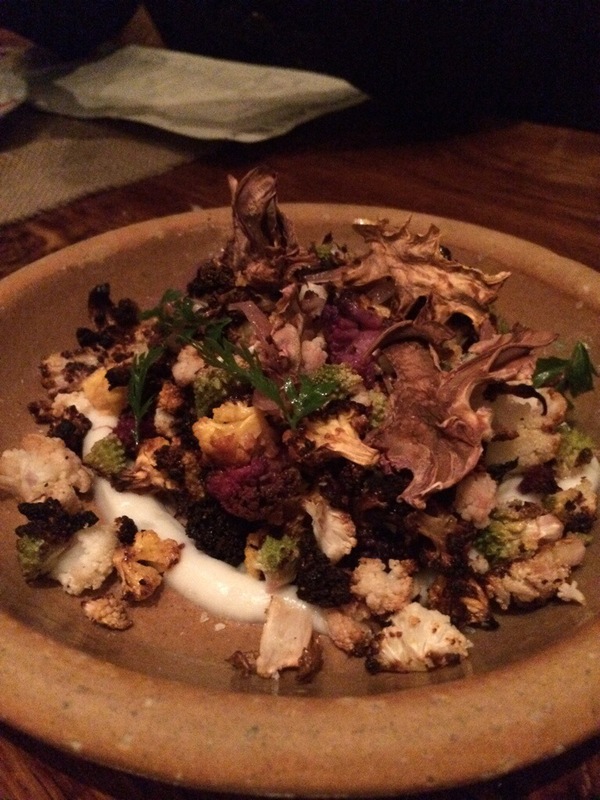 The Kroft has unique Poutines and Wheat & Sons has a savory Porcetta Sandwich. You can also try some cold concoctions at Popbar and Han’s Homemade Ice Cream. Usually on Friday to Sunday they have live music going on, check out their calendar. Anqi Gourmet Bistro $$$ – Costa Mesa, CA – Located in South Coast Plaza on the side of Bloomingdales this is a restaurant with beautiful interior and unique atmosphere, great for an intimate dinner. It has a black and red color scheme with a built in runway down the middle of the restaurant which they sometimes host fashion shows. 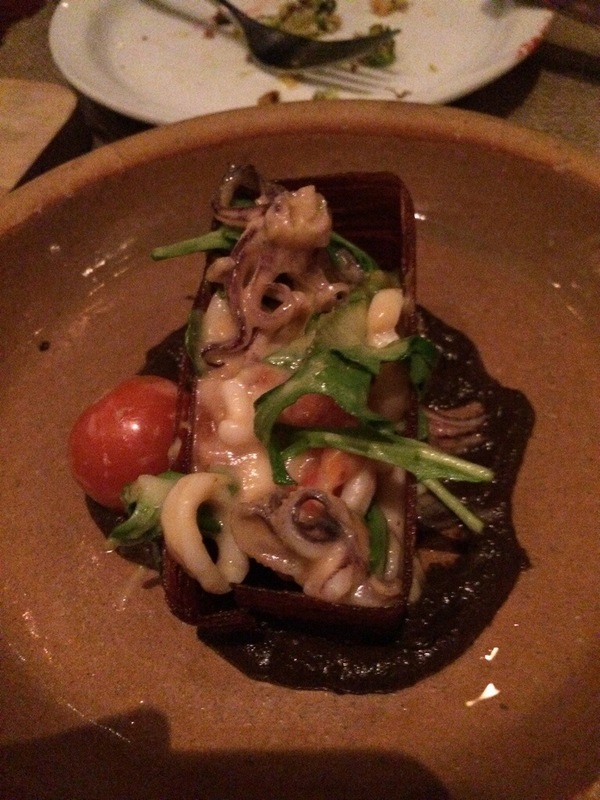 Anqi has great cocktails and a well rounded happy hour called red hour which is sure to impress. 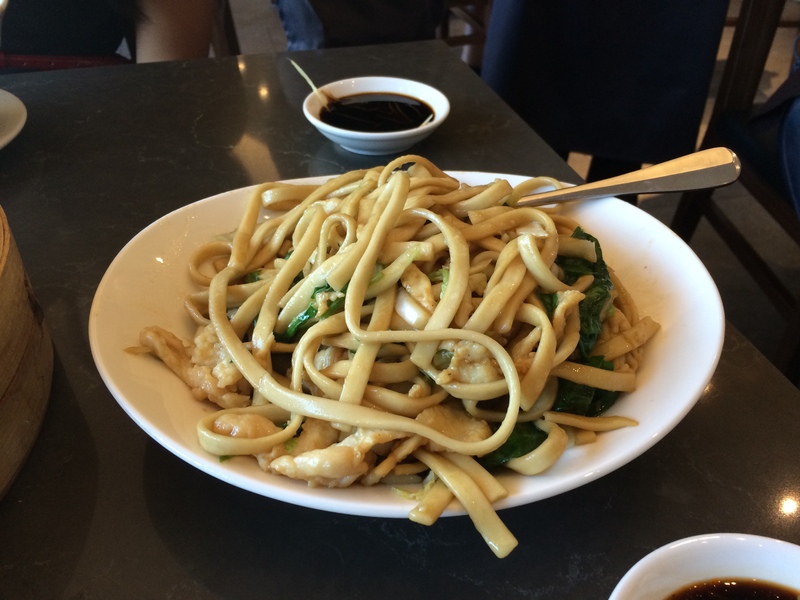 Don’t leave without trying their famous Garlic Noodles. Las Brisas Restaurant $$$ – Laguna Beach, CA – Las Brisas is situated right on the coast of Laguna Beach and people come for the beautiful ocean side view. 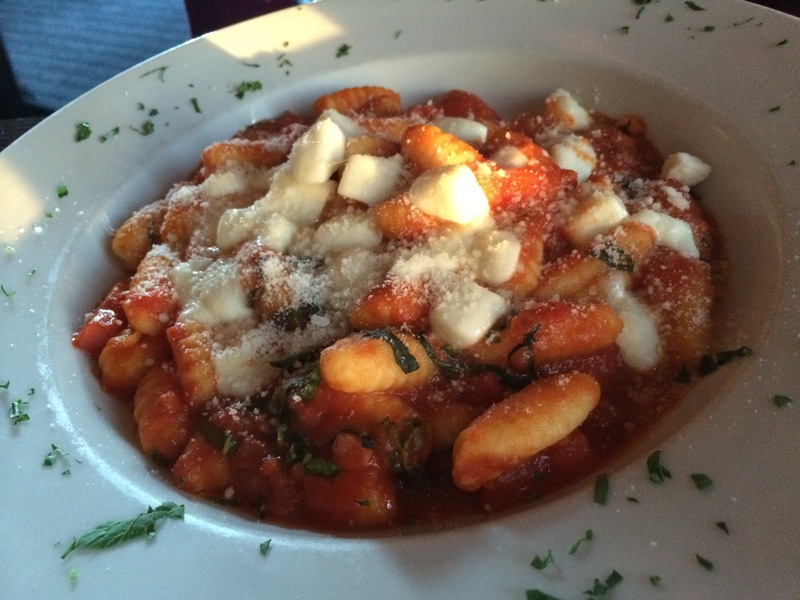 Definitely request or make reservations for a window seat or come for the beautiful sunset. Las Brisas also offers a terrific brunch on Sundays. Orange Hill $$$ – Orange, CA – This hill top hideaway overlooks Orange County offering a sweeping view of Catalina Island, Downtown Los Angeles, Disneyland and the coastline. 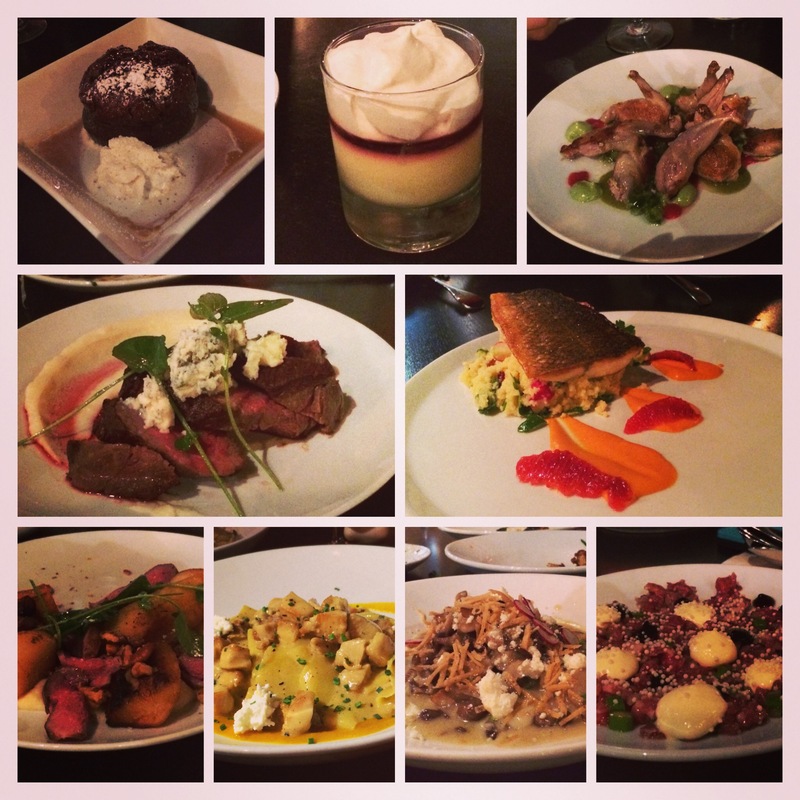 They have a beautiful outdoor patio, fire pit and great window seats as well as a bar and grand dining room. Come here for the view and beautiful sunsets. 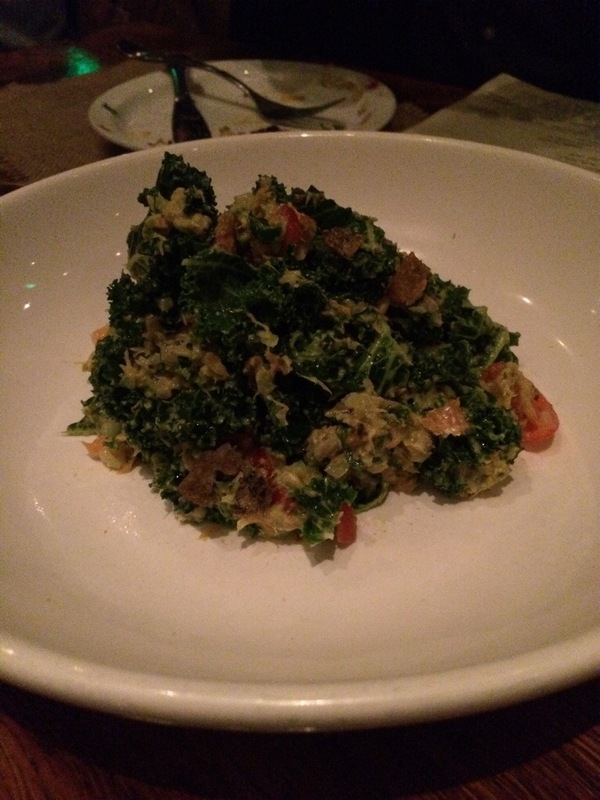 Bosscat Kitchen and Libations $$ – Newport Beach, CA – Bosscat offers a great open style bar with the restaurant opening up to a outdoor patio area. They have a whiskey tasting room offering a wide selection of 100 different whiskey, scotch and bourbons. 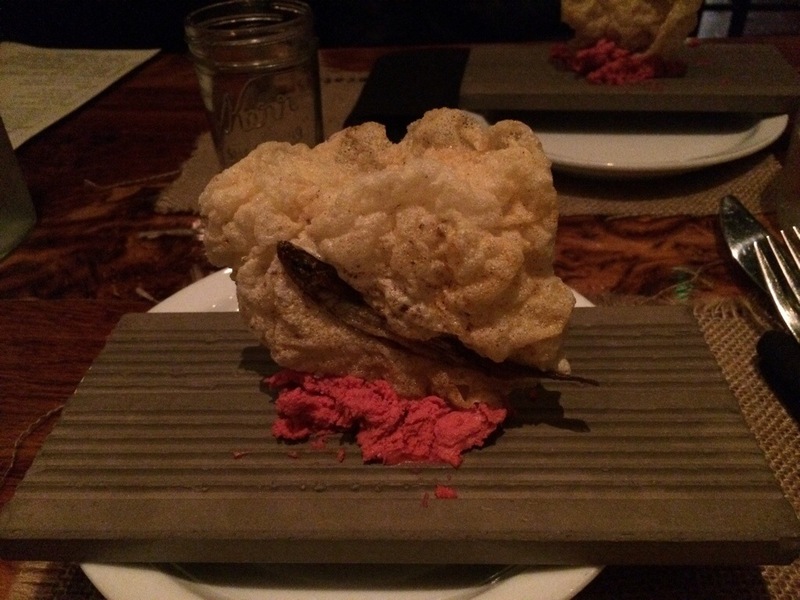 They also offer some unique offerings to try like cornbread madeleines, pork belly poutine, whiskey smoked okra, bourbon whipped sweet potatoes and red velvet churros. They have an awesome Bosscat burger that is a must try. 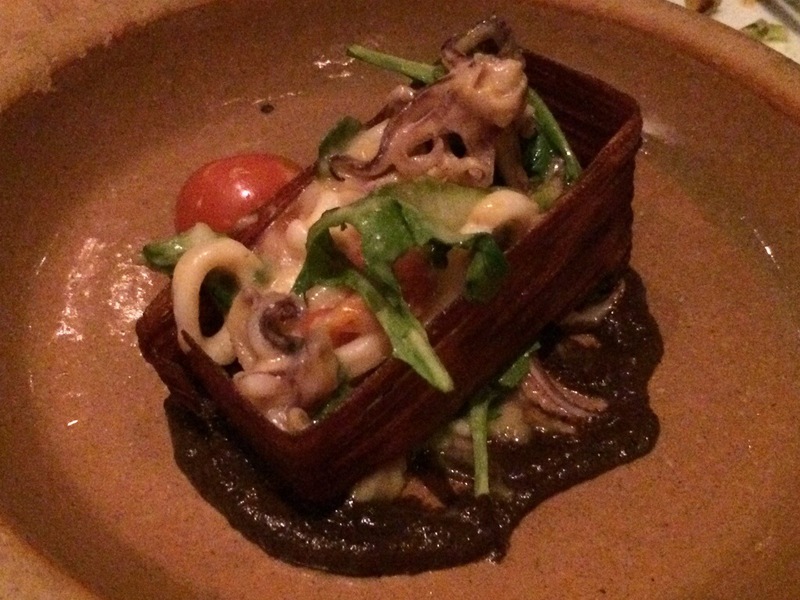 Marche Moderne – $$$ – Costa Mesa, CA – Marche Moderne offers French dining at its finest. Located on the 3rd floor in Southcoast Plaza, it offers beautiful wood plank floors, stone accents and white table linens. 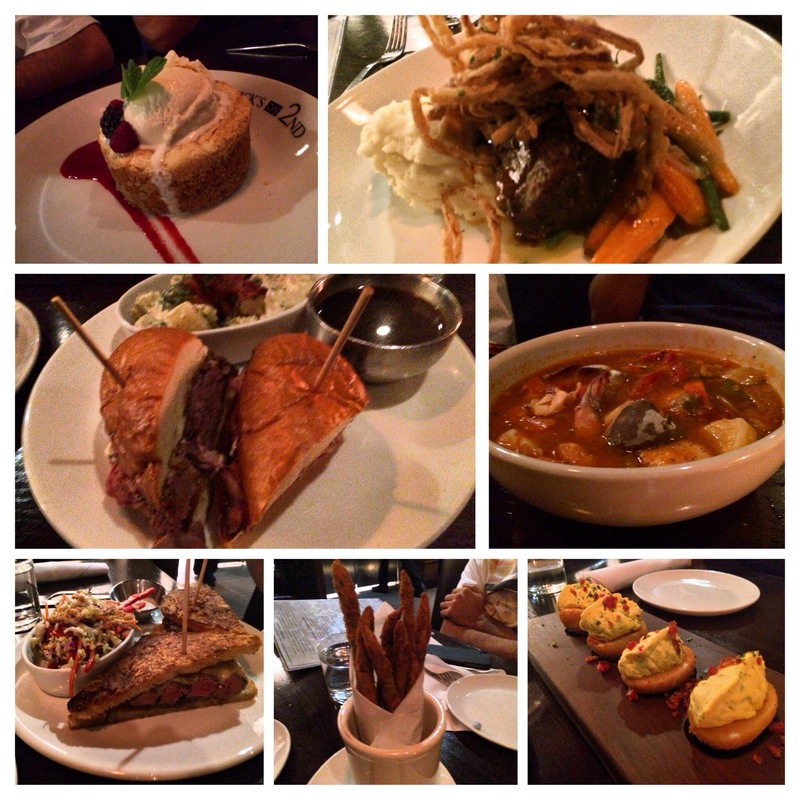 The food is spectacular including Bone Marrow, Octopus, Pomme Frites and Coq Au Vin. Eating here on a date or even a special occasion is great for a romantic and intimate dinner. 10. 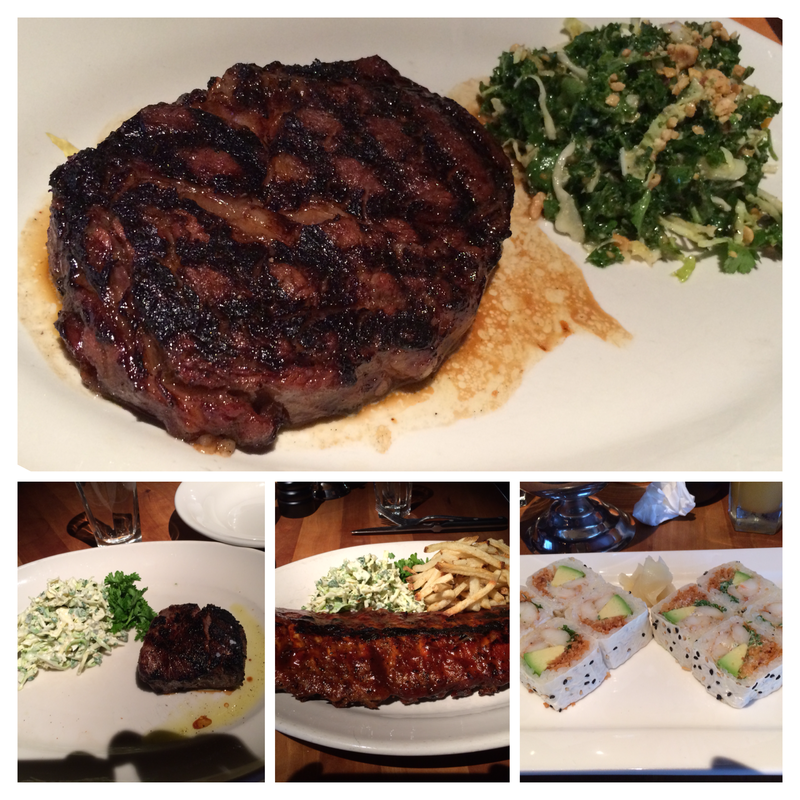 Seasons 52 – $$$ – Costa Mesa, CA – Seasons 52 is great for a date where someone is watching what they eat or if they want to eat healthy. 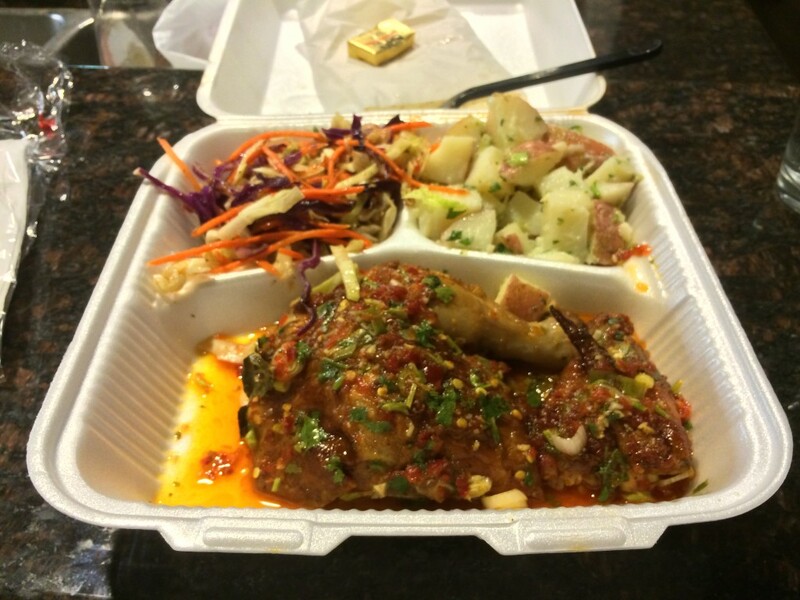 They offer a delicious selection of food with every entree coming in at 475 calories or less. 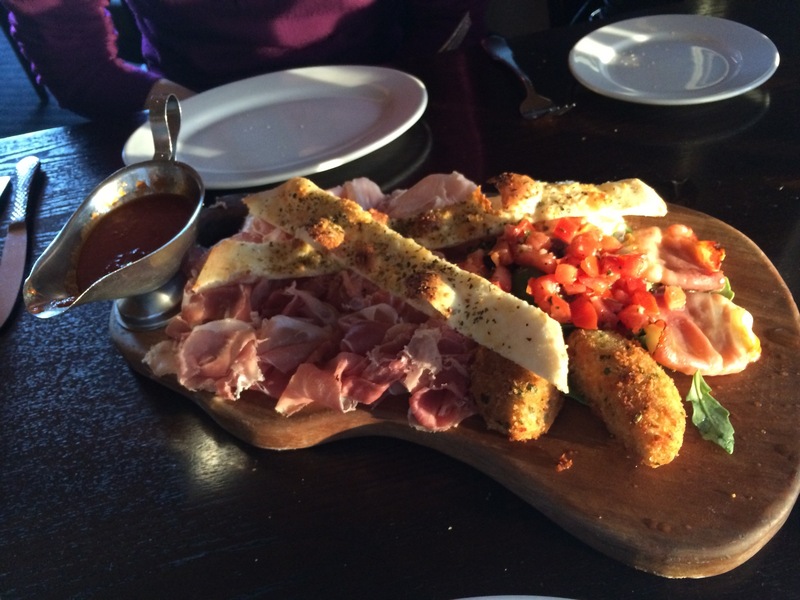 If you aren’t counting calories an entree and sharing an appetizer should do you good. 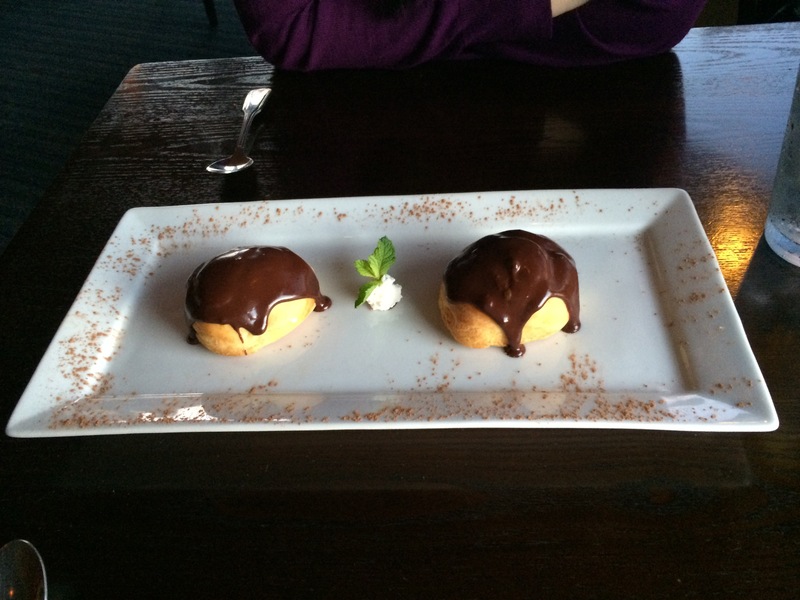 They also have mini indulgences that are small versions of dessert favorites. They have an extensive wine selection hand selected by a master Sommelier and great cocktail list. Who doesn’t like a burger, I know I do. The Hamburger has many claims as to the originator, with some going back all the way to 1896. The hamburger is a convenient handheld vessel, that can be customized and cooked to your liking. Some might call it the perfect “All American” meal, I call it lunch, dinner and maybe even breakfast. 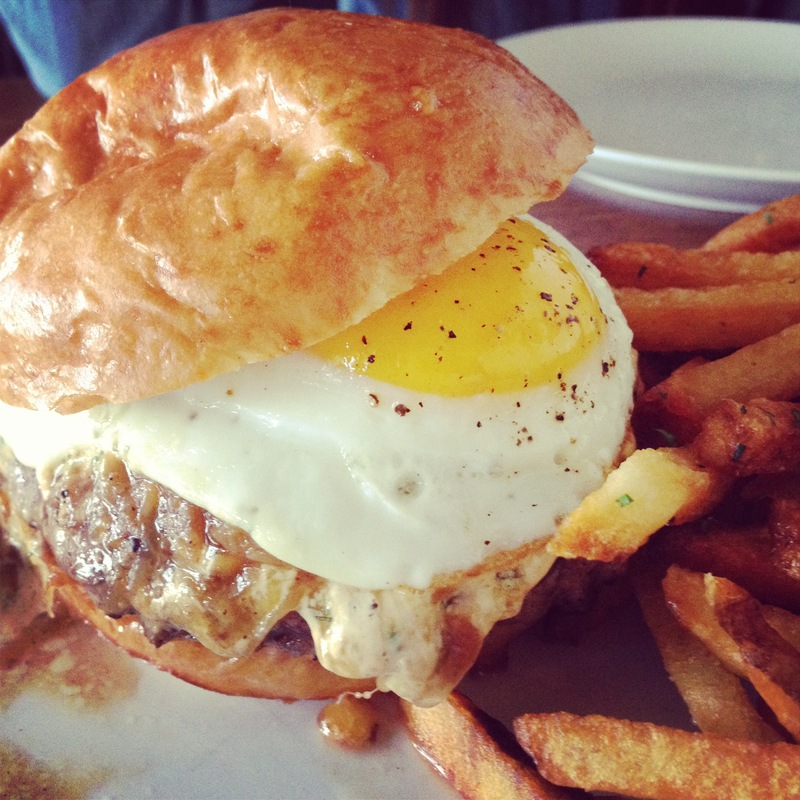 Check out OCFoodList’s top 10 Hamburgers and Burger restaurants in no particular order. Feel free to chime in with places we missed or comments. Love Peace and Hamburger grease. 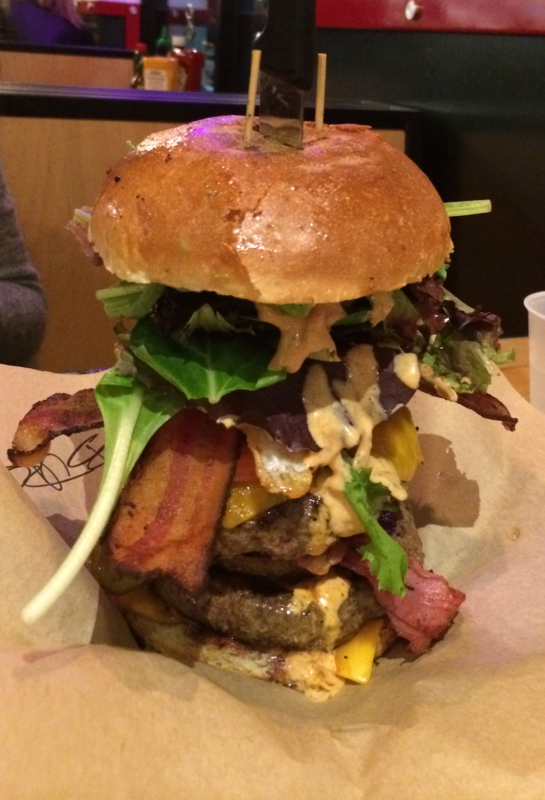 Peter’s Gourmade Grill $$ – Tustin, CA – ABC Burger – ABC Burger is the showstopper here, Avocado, Bacon and Cheese, enough said. 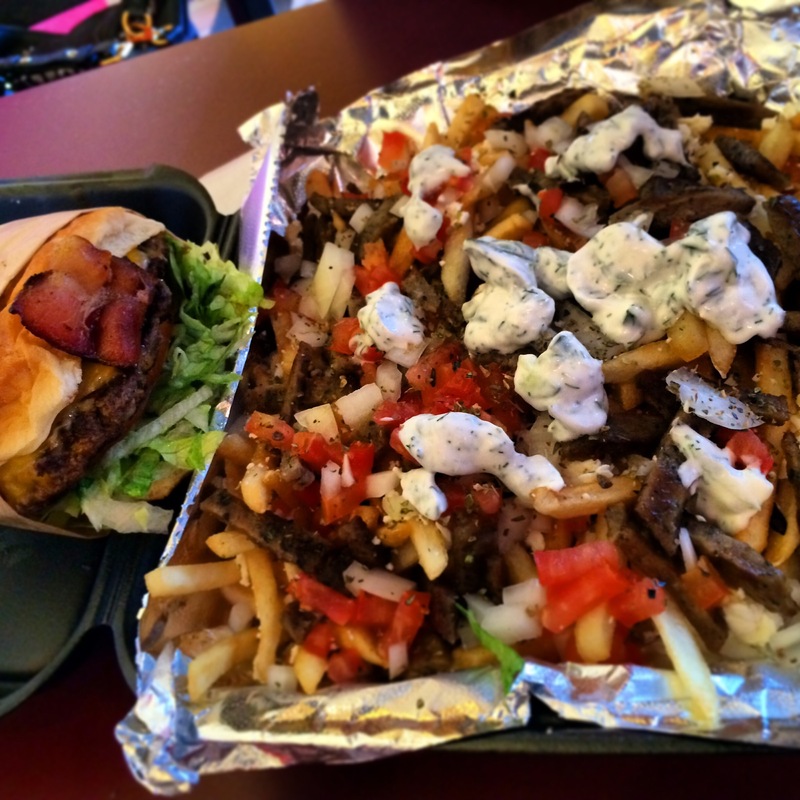 Their Gyro fries are a must try as well. They even have a text message ordering system. This place started in a gas station and has since moved to a bigger location and expanded that location. The Playground $$$ – Santa Ana, CA – It might be a secret menu item now but it’s still one of the best burgers in OC, The Playground burger doesn’t disappoint. Plus try their Maple Glazed Pork Chops, Brussels Sprouts, Sticky Toffee Pudding and Craft Beers to wash down that burger. Reservations are recommended at this fine establishment. In-N-Out Burger $ – multiple locations in Orange County and Los Angeles – This began as a Southern California staple. You crave In-N-Out daily and can also give them props for staying true to their original roots. 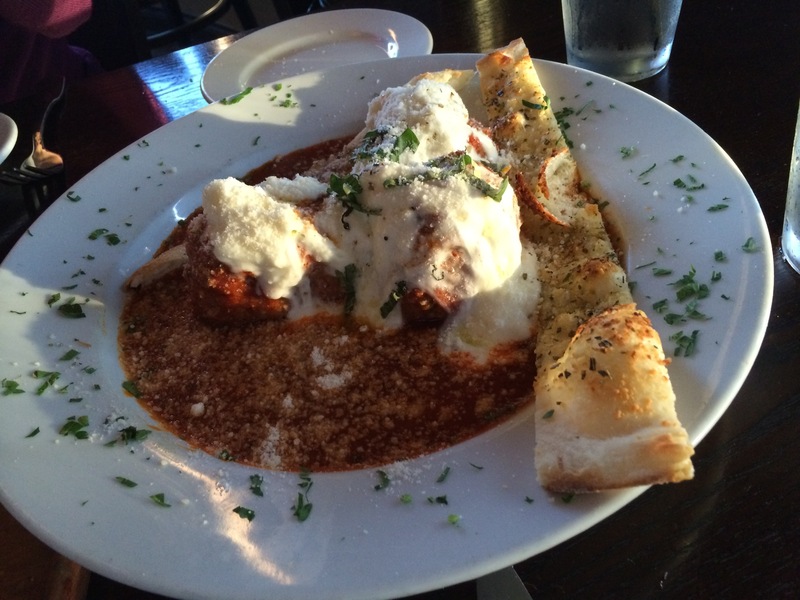 A simple menu with quality ingredients at a great price still ring true to this day. Double Double with grilled onions, extra spread and animal style fries all day every day. 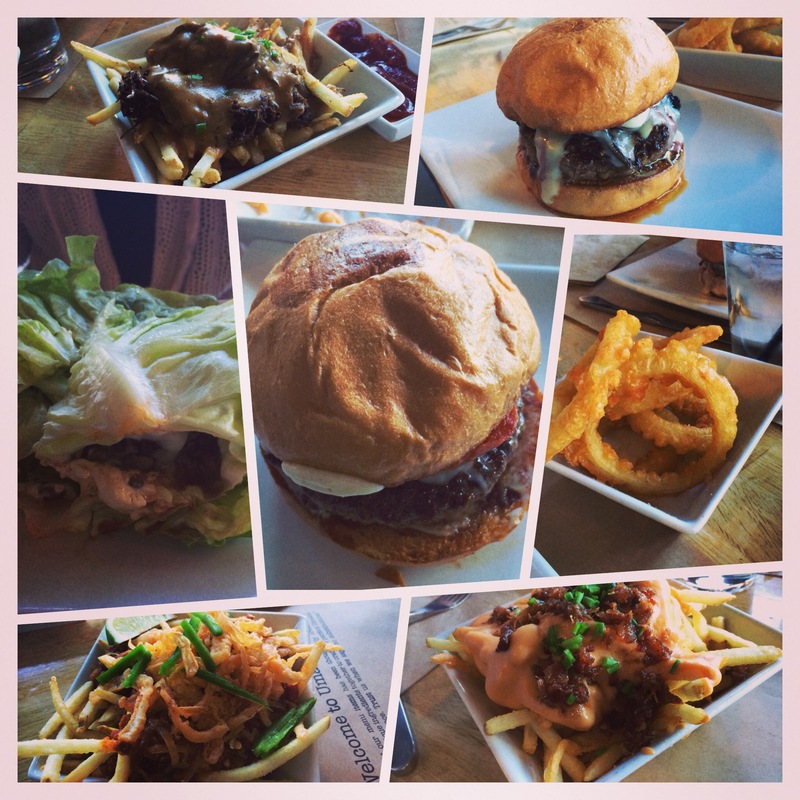 Umami Burger -$$$ – multiple locations in Orange County and Los Angeles – Umami Burgers are spreading like wildfire. 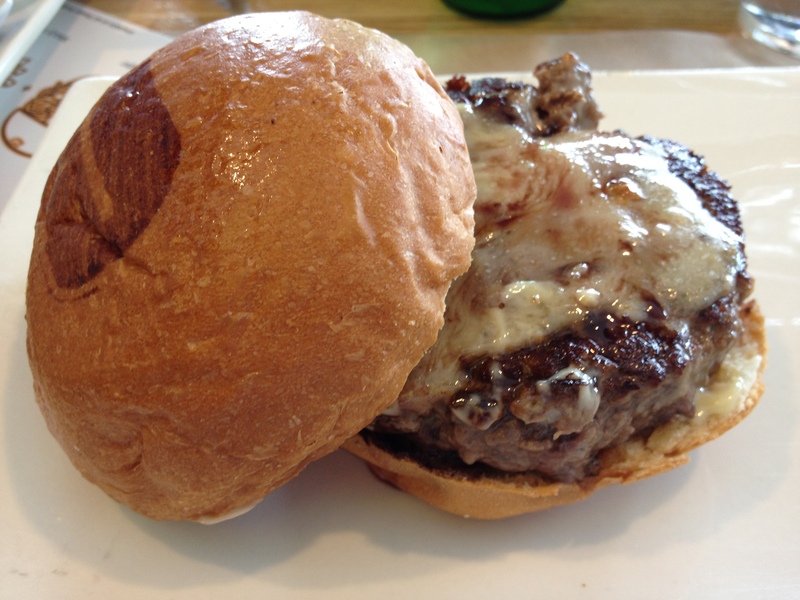 Each Umami Burger offers a unique burger or sandwich only sold at that location. 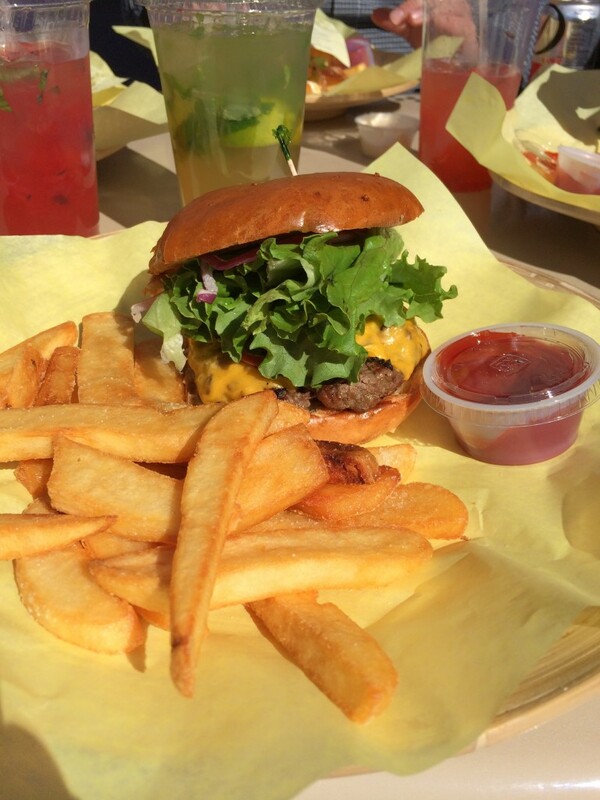 Truffle Burger with some truffle cheese fries, cheese stuffed tator tots or tempura onions rings…or have them all. 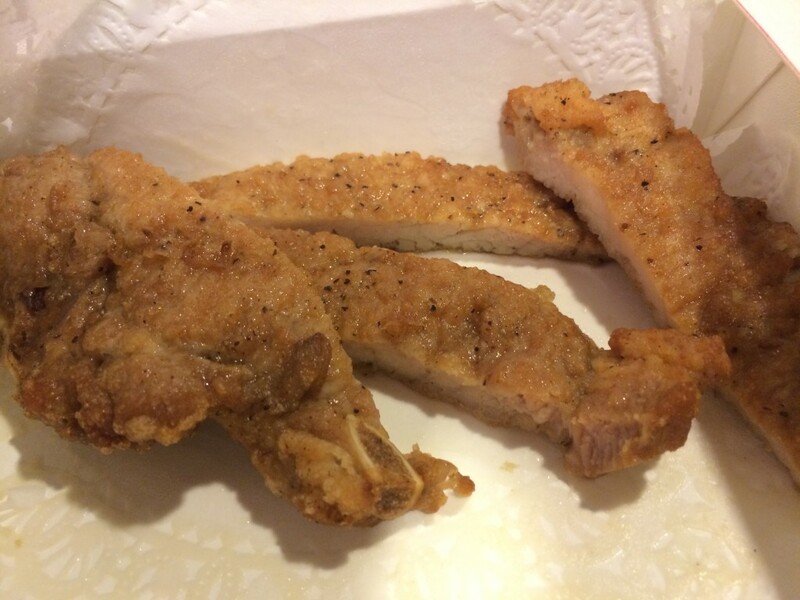 Teddy’s Deli $$ – Laguna Hills, CA – Teddy’s Deli is located in an industrial complex which is an odd location for a delicious burger joint and deli but with burger this good they are still always crowded. They have great burgers, sandwiches, breakfast and a healthy menu when you can’t eat a burger every day. Their staff is very helpful and friendly, always able to give recommendations and suggestions . The ABC Burger (Avocado, Bacon and Cheese) and seasoned fries is delicious but they also have unique offerings like the Bad Wolf Burger with crispy hash browns, provolone, tomatoes, basil, avocado and pineapple mix with spicy mayo on a brioche bun. Only open for breakfast and lunch. Fuji’s Famous Burger $$ – Huntington Beach and Fountain Valley, CA – They were established in 1973 and I have been going there since my childhood. 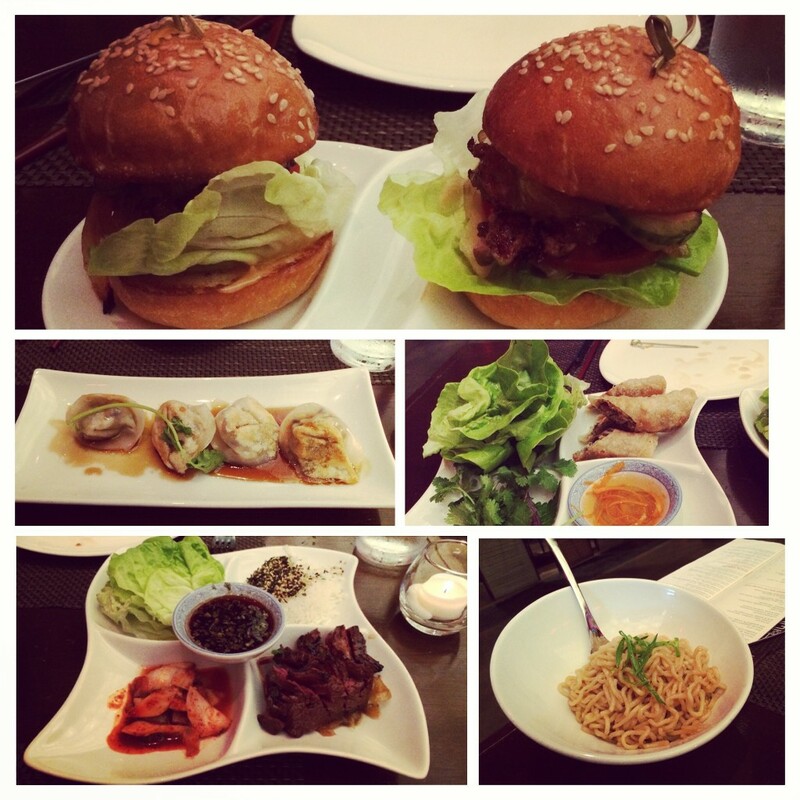 Teriyaki burgers are their specialty and the Teriyaki Bacon Cheeseburger is an item to behold. 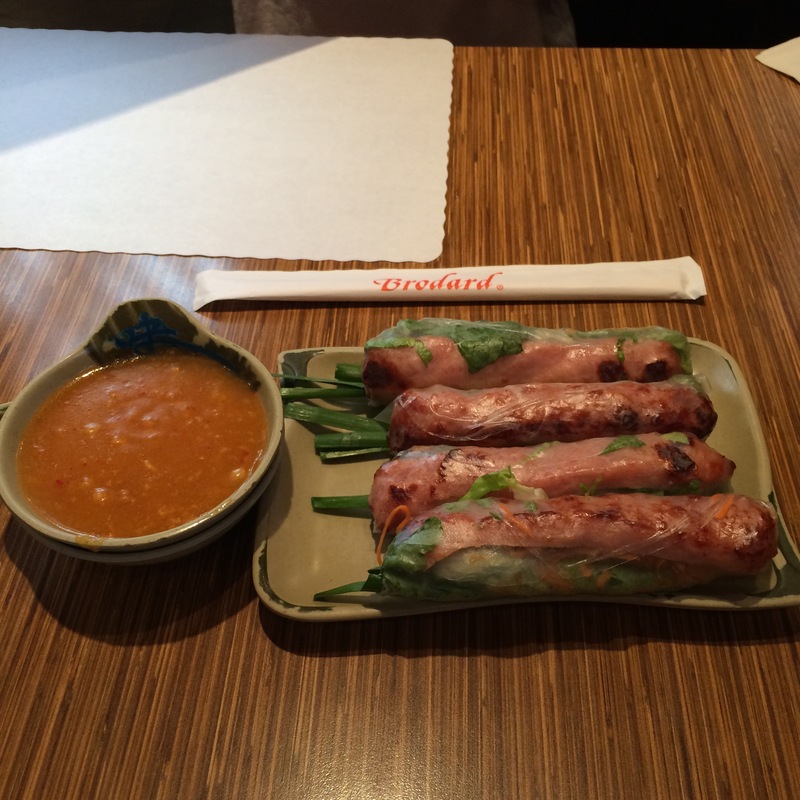 They also have a Charsiu Pork Burrito with Fried Rice, Cheese and Avocado that is off the chain. 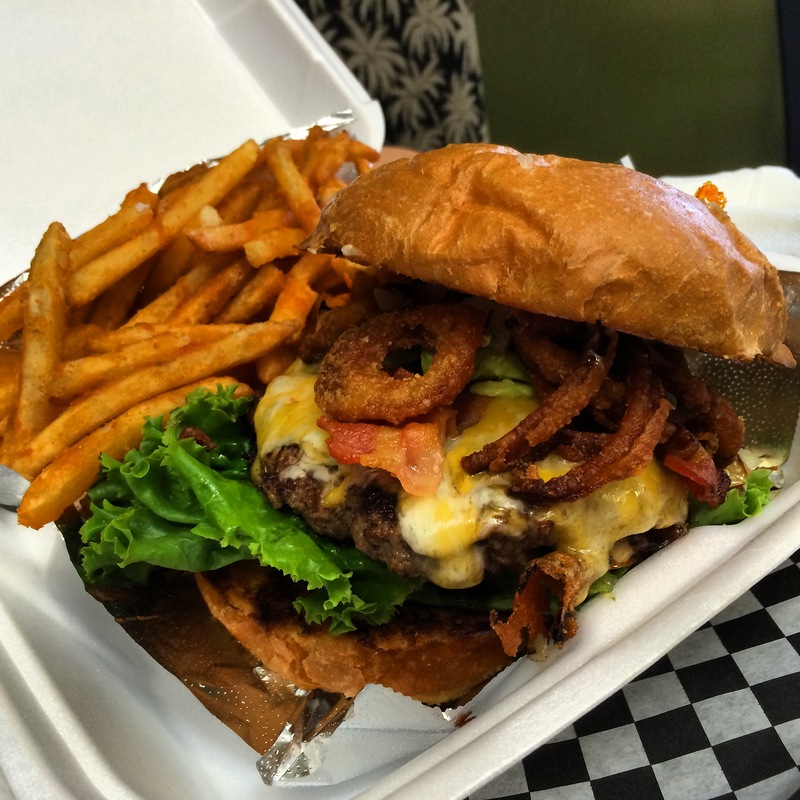 G Burger $$ – Fountain Valley, CA – G Burger or Gourmet Burger offers a wide selection of burgers. They have The G Burger which you can add every topping they offer includes Teriyaki glazed Onions, Portabello Mushrooms, Pineapple, Fried egg, Pastrami, Bacon, Avocado, Onion Ring and Cherry Peppers, good luck eating the monstrosity though. Their White Truffle Burger and G Style Fries are delish. 25 Degrees $$$ – Huntington Beach and Los Angeles, CA – 25 degree is named after the precise temperature between a raw and well done Hamburger. They are considered a sophisticated burger bar. 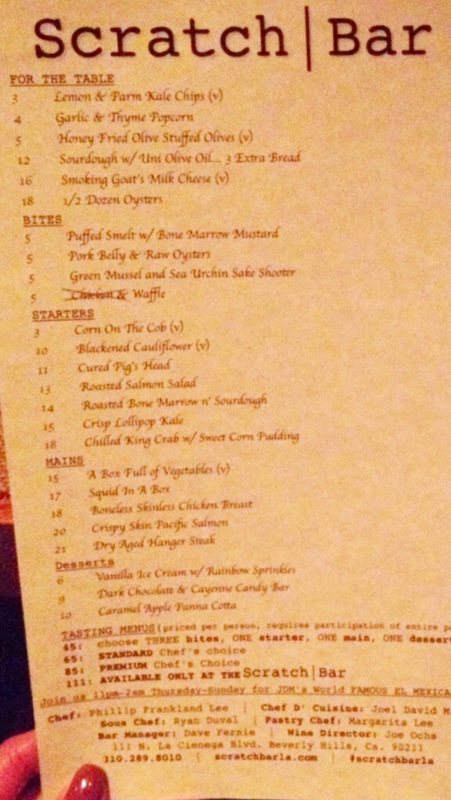 25 Degrees’ menu includes breakfast, burgers, sandwiches, salads, shakes and cocktail list. 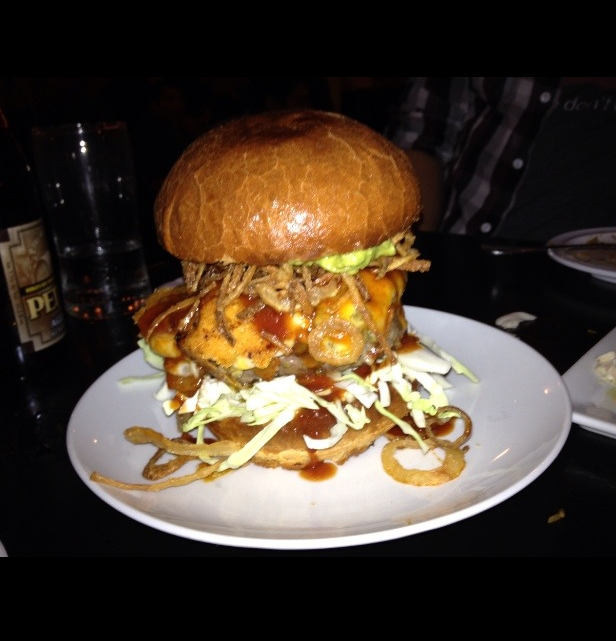 TK Burger $ – Santa Ana, Costa Mesa, Huntington Beach and Los Angeles, CA – $ – This place has good Burgers for a very reasonable price that are still delicious. They have a Big Bargain Combo for $6.29 that includes a charbroiled TK Burger, Fries and a drink, now that’s a deal. 10. 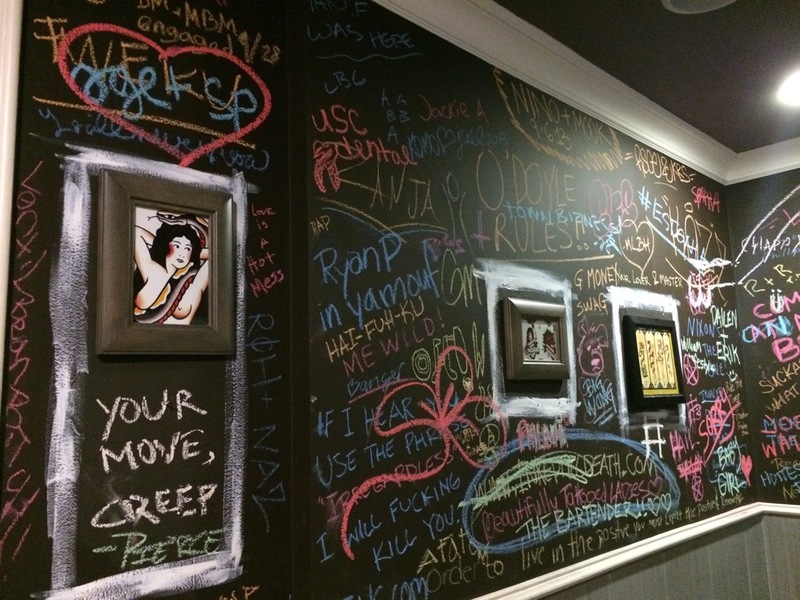 Mick’s Karma Bar $$ – Irvine, CA – Head over and Mick is always willing to chat while serving his Karma Burger. 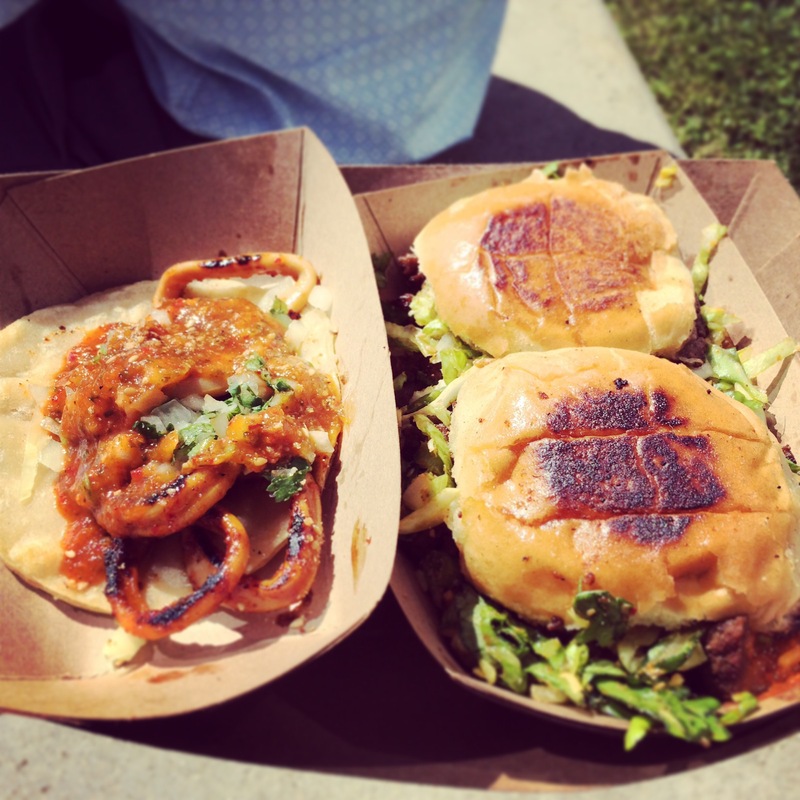 They also have a Habanero Burger and Strawberry Basil Lemonade that is a must try. 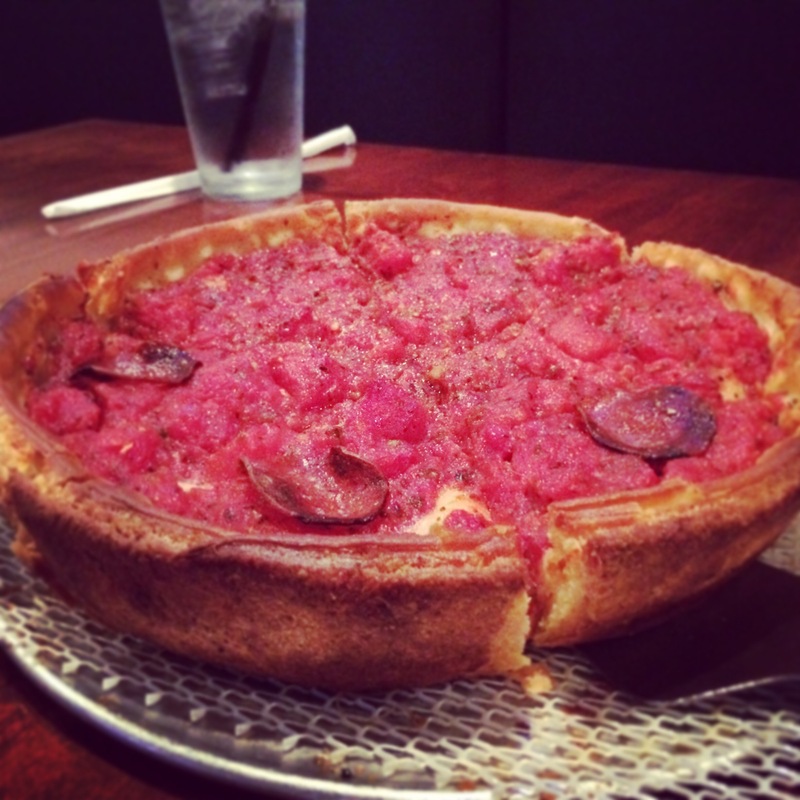 You can order through their online system to avoid the line and business crowd for lunch. 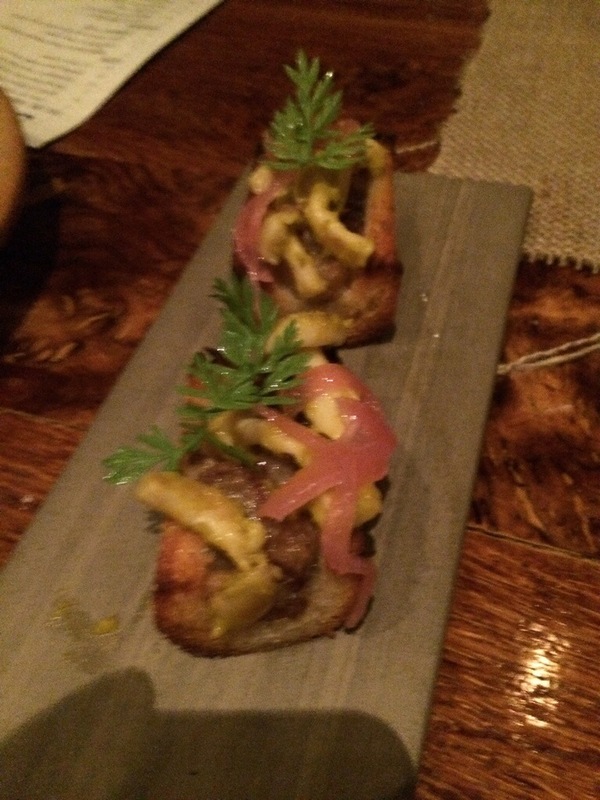 Rustic Canyon $$$ – Santa Monica, CA – Rustic Canyon is actually considered a wine bar but it has an unforgettable Niman Ranch Burger. 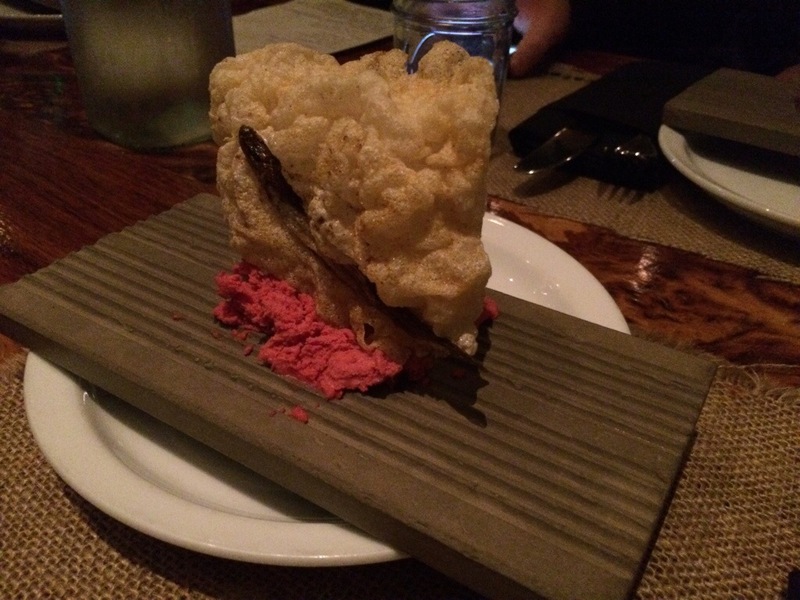 They actually removed the burger from the menu because all the patrons were only ordering burgers which was going against the direction of this high end restaurant. 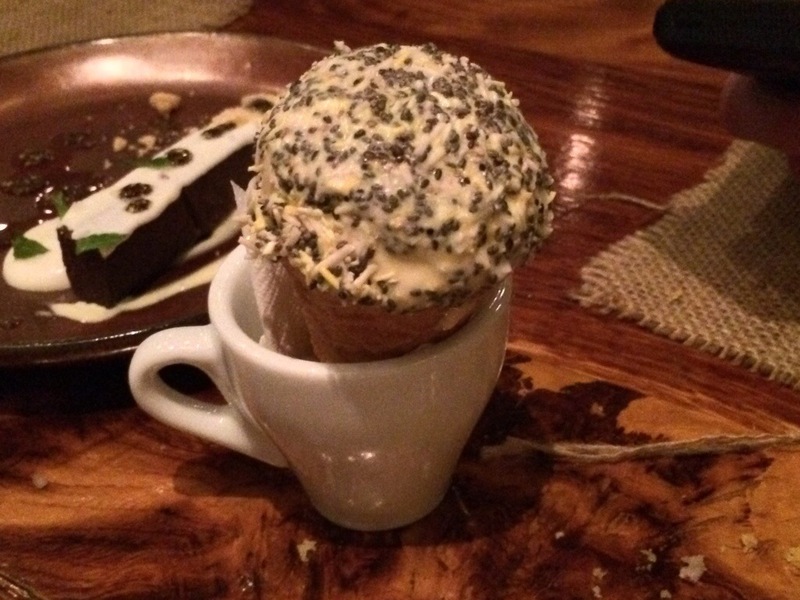 But luckily you can still request this secret menu item. 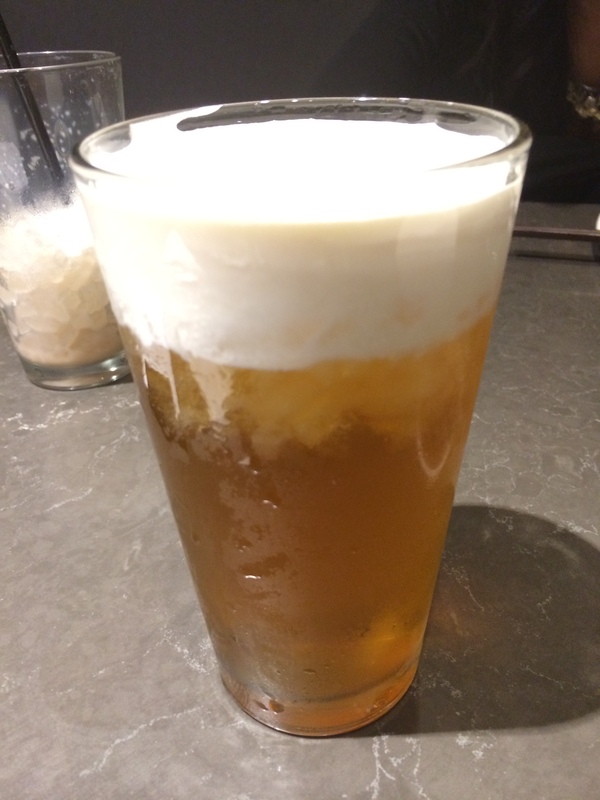 Father’s Office $$ – Santa Monica and Los Angeles, CA – Celebrity chef Sang Yoon’s Gastropub has a multitude of craft beers and classic cocktails to go along with their great food. The Father’s Office Burger has garnered much attention. I will say it is not a traditional burger but good nonetheless, the patty is a mix of ribeye and chuck topped with a bacon compote, gruyere cheese and arugula. Ramen is by far my favorite type of noodle soup or noodles in general. Not only are the noodles unmatched in taste, they can vary by region giving so much variety but the broth is also rich and complex like no other soup. 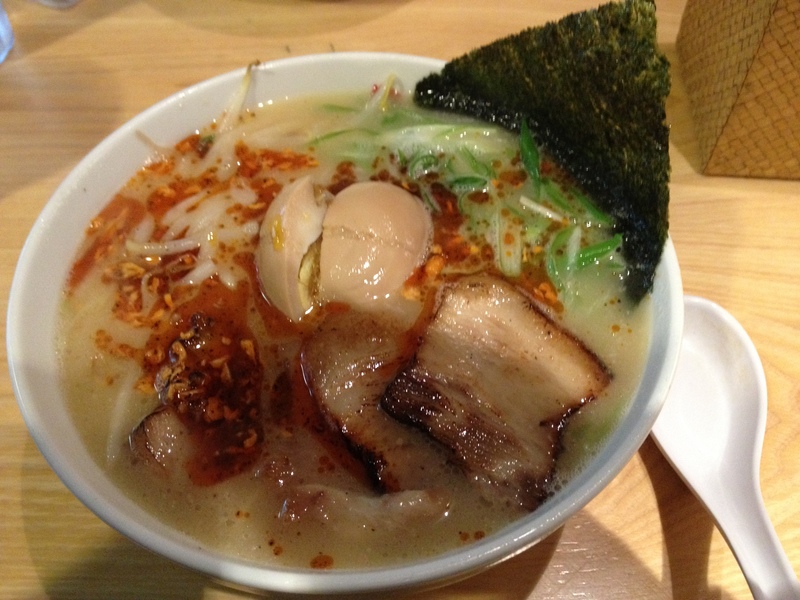 The main types of Ramen are Shio (Salt), Shoyu (Soy Sauce), Miso and Tonkatsu (Pork). This list consists of the Top 10 Ramen Restaurants in Orange County and Los Angeles in order counting down from the #1 top spot. 1. 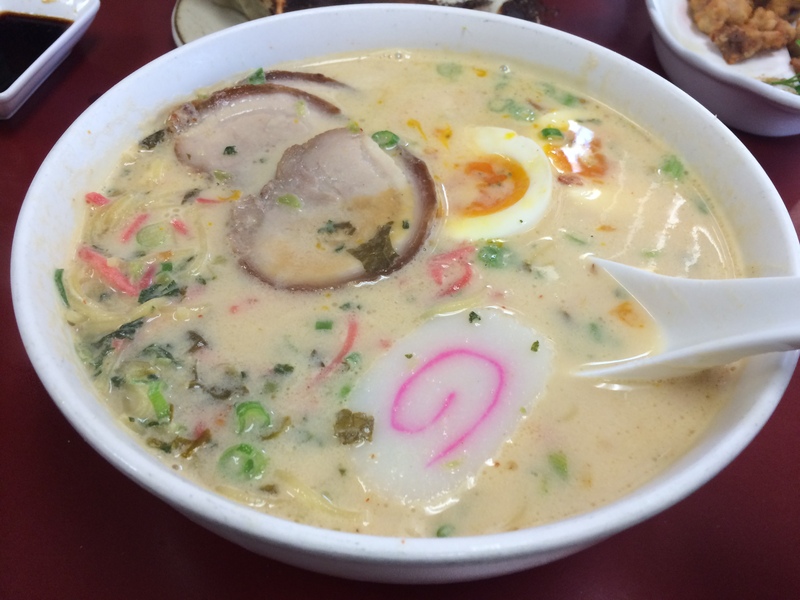 Foo Foo Tei $$ – Hacienda Heights – (Best Overall) This is a highly controversial #1 Ramen pick but their #17 Nanchatte Tonkotsu Ramen with White Cream Soup will be like no other ramen you have ever had before. 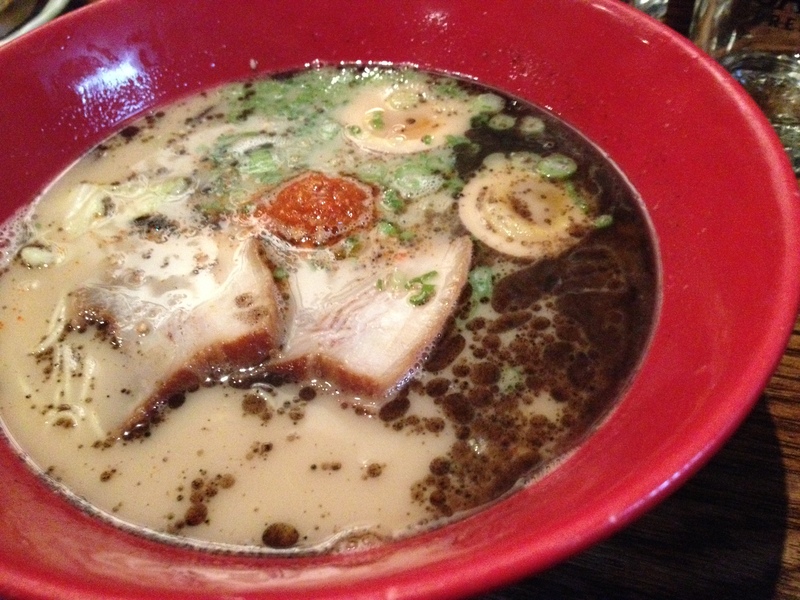 The richness and complexity of the broth make this #1 in my Ramen book. They also give you a lot of meat and vegetables included in their ramen where other places would charge you to add extra items. 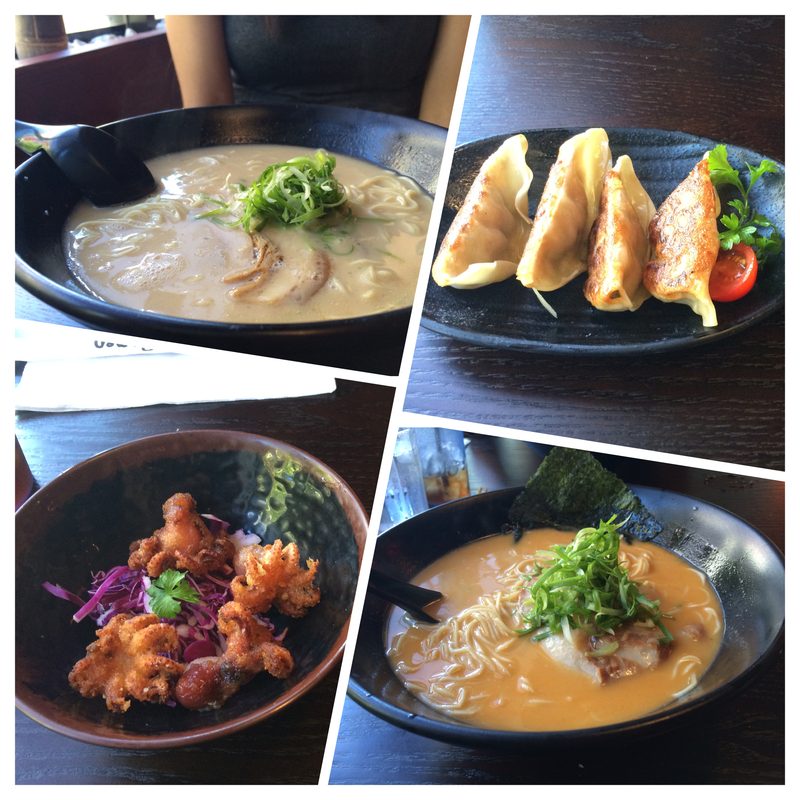 Did I also mention they have 31 different kinds of ramen and over 46 different kinds of sides dishes. I wish I could have some now! 2. 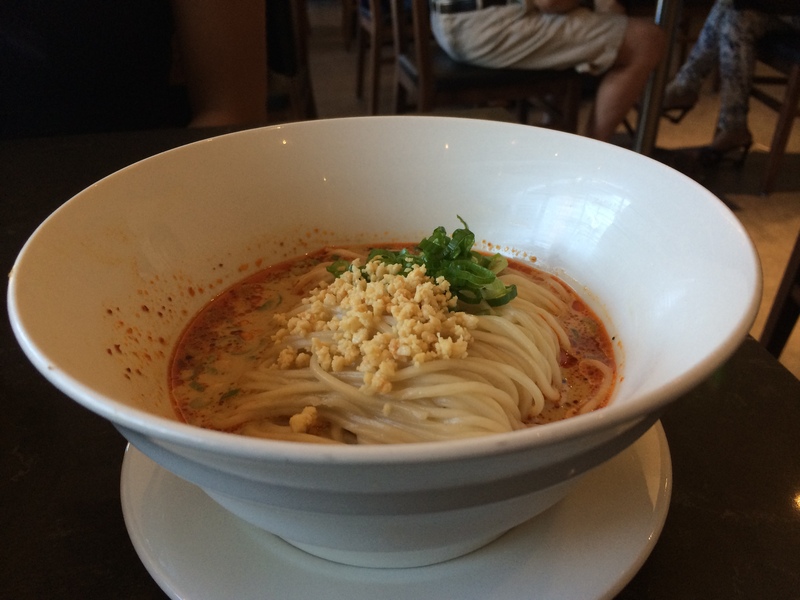 Tsujita LA Artisan Noodle $$ – Los Angeles, CA – (Best Tsukemen (Dipping Ramen)) Tsujita definitely takes pride in their craft and it shows in every bowl of ramen they serve. 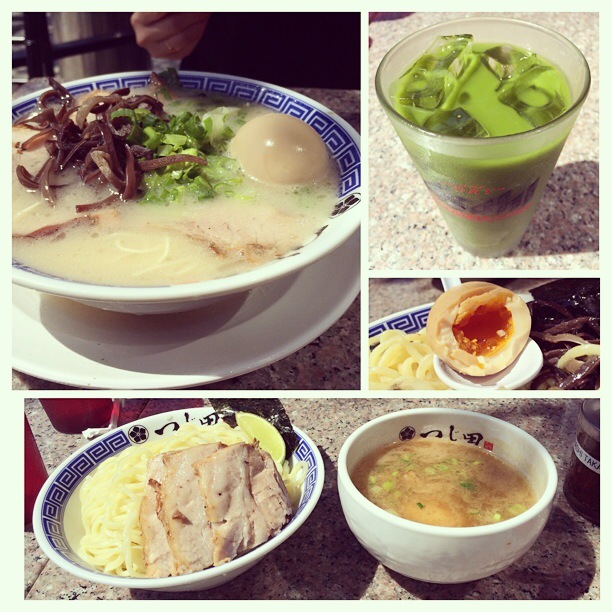 They offer a Char Siu Tsukemen dipping ramen that is unmatched in the United States. 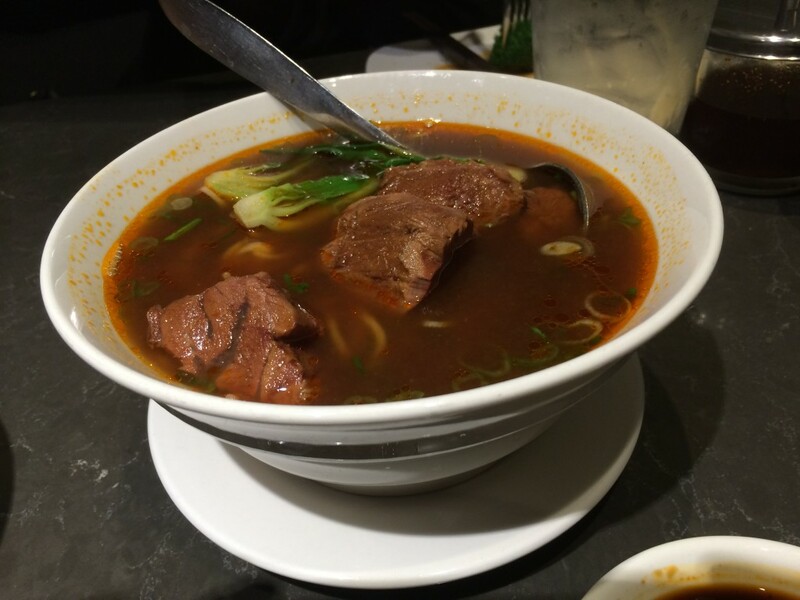 The thick style noodles give a great texture and chewiness and the gravy-like broth is so flavorful and savory you will crave it for days. Tsujita also offers a Tonkotsu Ramen with thinner noodles and Tonkotsu broth so I give them added bonus points for offering two completely different style ramens and doing them both well. 3. Silverlake Ramen $$ – Los Angeles, CA – This fairly new establishment to the Ramen scene has a Spicy Tonkatsu Ramen that is no joke. 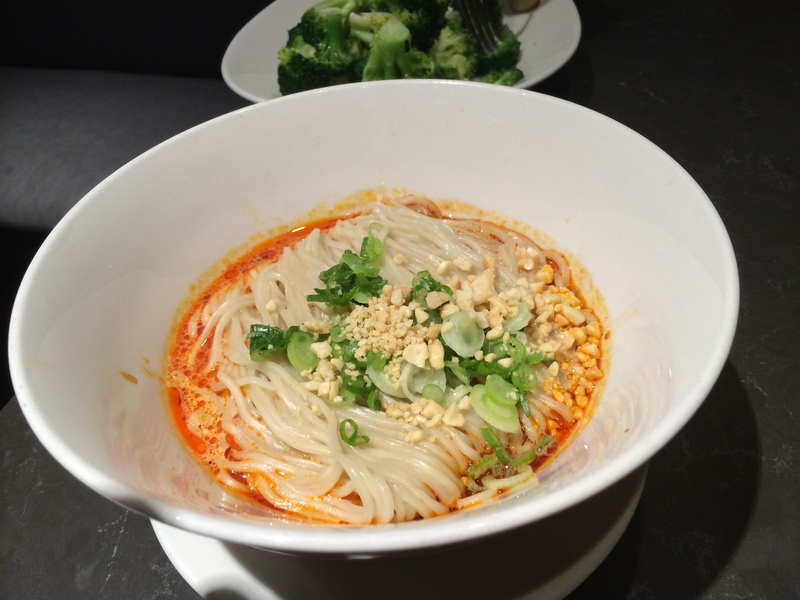 The noodles are cooked al dente with skill and the creamy spicy broth boast a respectful flavor. 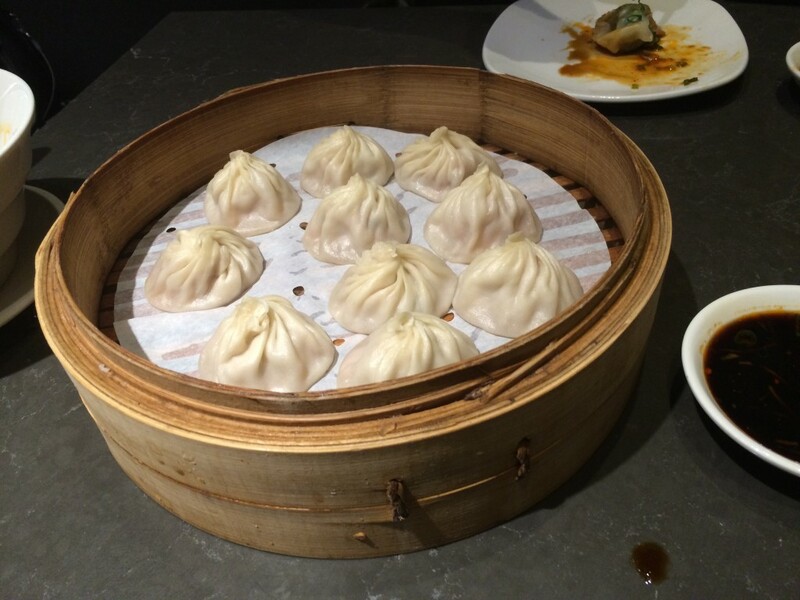 They also have a Pork Bun with Yuzu paste that just could be the best pork bun I have ever tasted, but grab some napkins because it’s messy. 4. 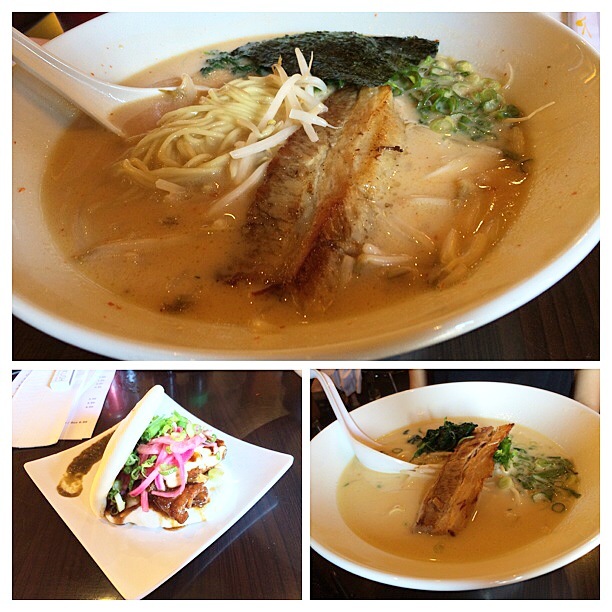 Shin Sen Gumi Hakata Ramen $$ – Multiple locations in Orange County and Los Angeles – Shin Sen Gumi was my 1st ramen love. Hakata Ramen originated in Hakata City near Kyushu in Japan and the main characteristics is a white thick soup made from Tonkotsu Pork Bones. They cook their broth for over 15 hours to make their unique soup broth. Also Shin Sen Gumi lets you customize your noodles to your own taste on a piece of paper before you order including hardness of noodles, flavor of soup base and amount of oil. 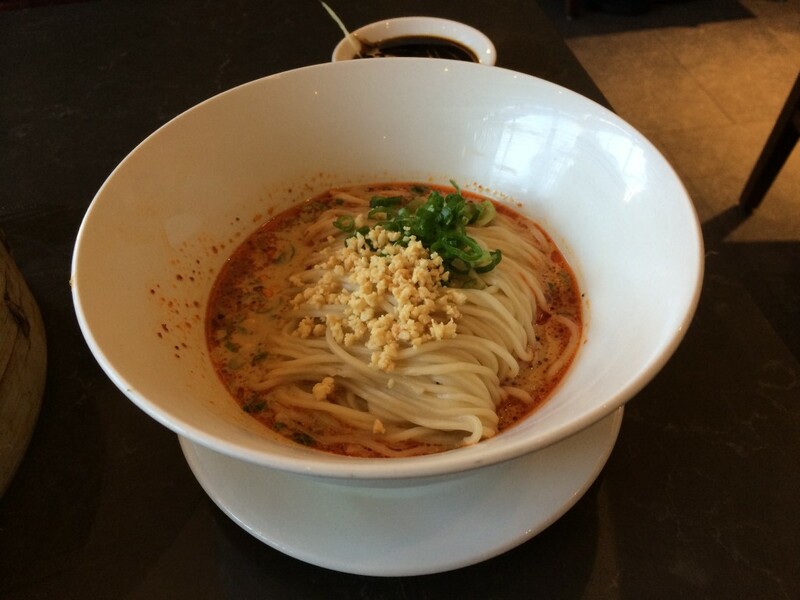 Don’t forget to order extra noodles for $1.00 if you haven’t gotten your fill before you go. 5. 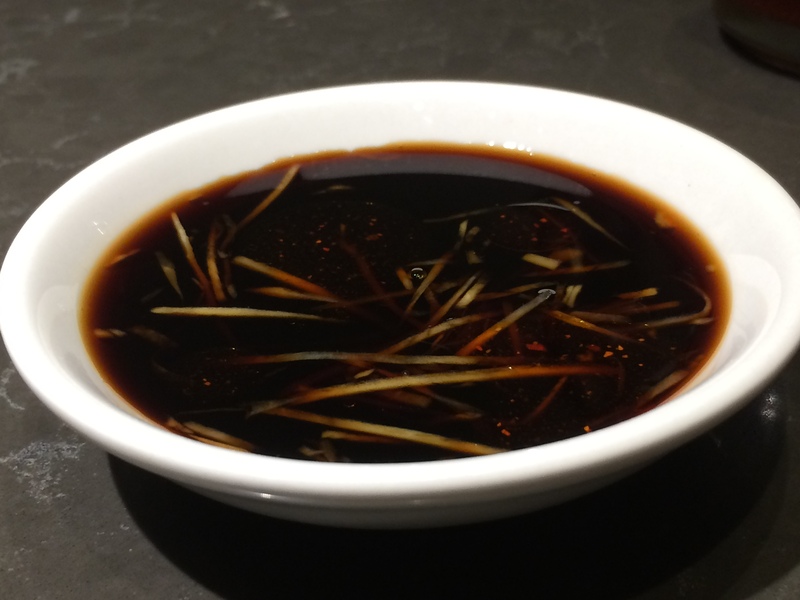 Ramen Yamadaya $$ -Multiple locations in Orange County and Los Angeles – Tonkatsu Kotteri Ramen with Black Garlic oil and soft boiled egg plus add the Yamadaya topping is all you need to know. Don’t forget to ask for complimentary garlic to put in your ramen. 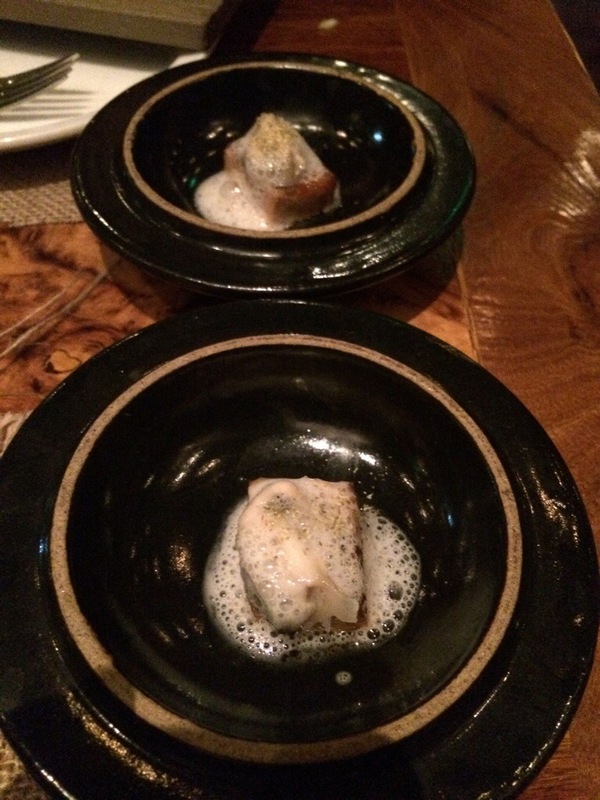 Did I mention they spend 20 hours cooking their pork bones to make that complex broth, Umami at its finest. 6. 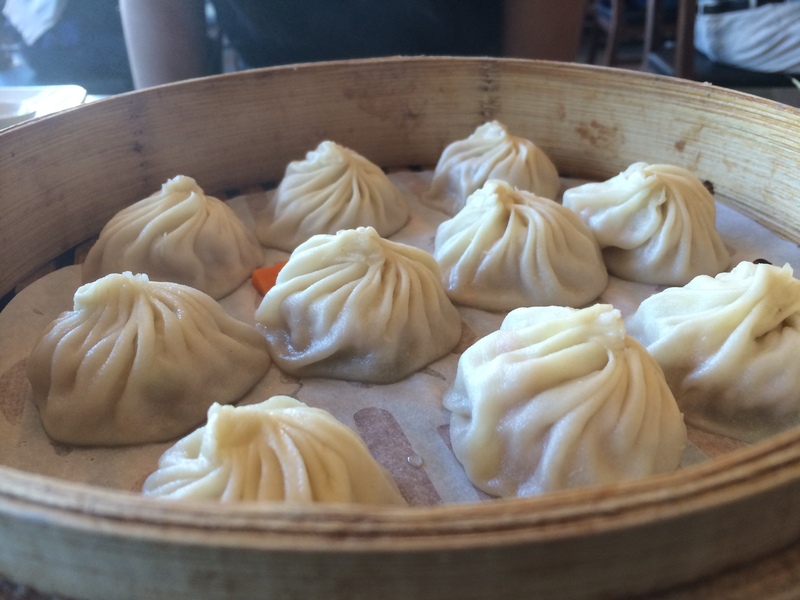 Santouka $$ – Multiple locations in Orange Country and Los Angeles – (Best Pork) – Santouka’s Cha Shu Pork is unmatched in the ramen game. 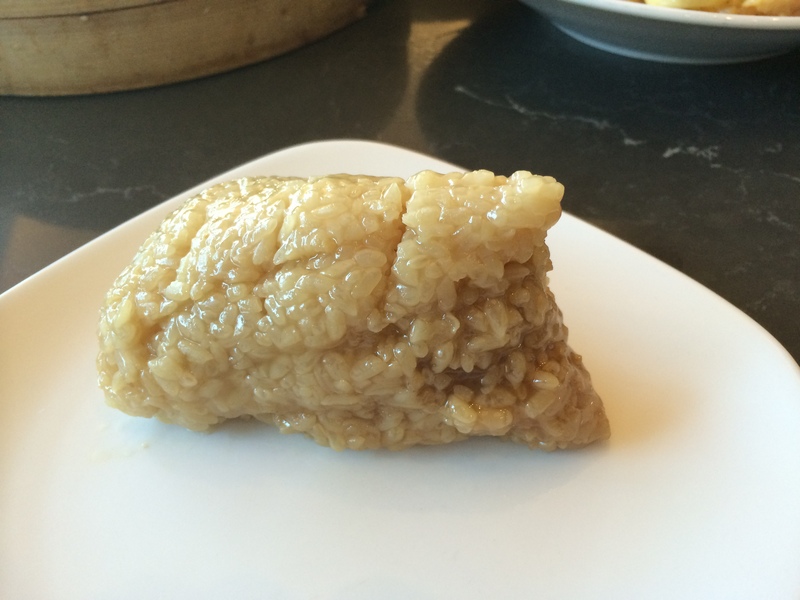 It is made from a certain part of the pork back where where meat and fat are optimally balanced. Order their Shio Ramen with Special pork to let your taste buds rejoice. Santouka has locations in Japan, United States, Canada, Hong Kong, Taiwan, Singapore, Malaysia, Indonesia, Philippines and Thailand. 7. 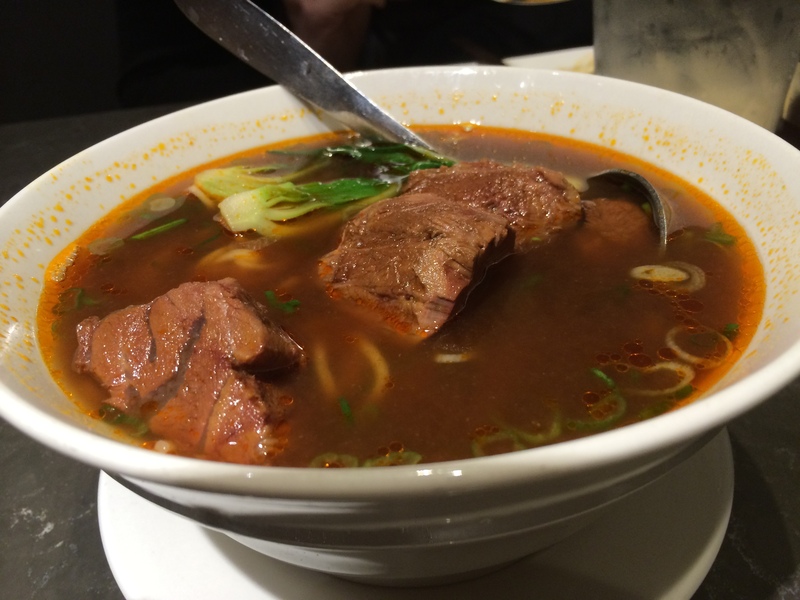 Ramen Kopan $$ – Fullerton, CA – This place was a new surprise to the Ramen game. They offer a worthy Tonkatsu Ramen to the top 10 list. They also have some delicious appetizers including fried baby squid, soft shell crab, Takoyaki and Garlic Edamame. 8. Kairakutei $ – Tustin, CA – (Best Value) – You can get a bowl of ramen with pork, egg, scallions, nori and ginger for only $6.50, now that’s a deal considering most ramen places charging over 8.00 per bowl and charging you extra for any toppings. They also have lunch special combinations which make it an even better value pairing your ramen with the likes of Chicken Karaage, Katsu Curry, Chicken Teriyaki, Gyoza and Fried Rice. More ramen for less cheddar makes my tummy happy, just don’t forget it’s cash only! 9. Mentatsu $$ – Costa Mesa, CA -This place makes the list not for their regular ramen but for their un-traditional offerings. Mentatsu offers a Mabo Tofu ramen that is just short of breathtaking, thick rich spicy Mabo Tofu layered over a bed of hot noodles covering a steaming broth of Ramen Soup, try it and you won’t be disappointed. 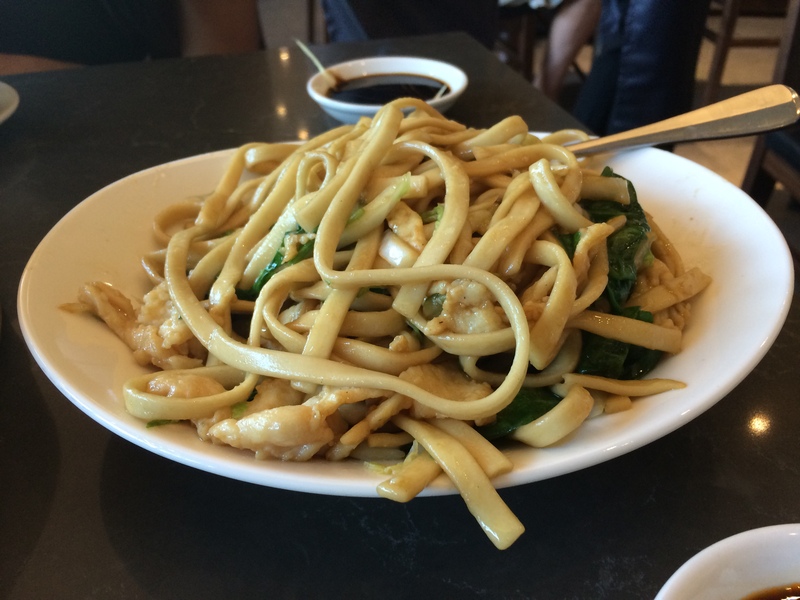 They also offer some refreshing cold noodle dishes including their Banbanji which is cold noodles in a spicy sauce with chicken, cucumbers and shredded scrambled egg. 10. 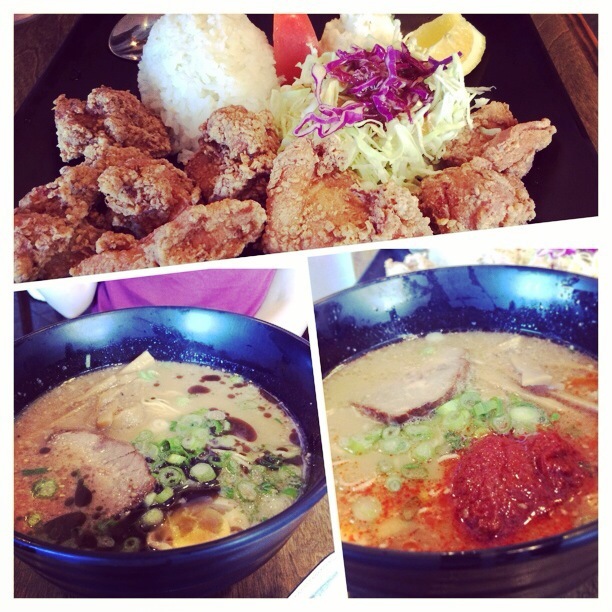 Daikokuya $$ -Multiple locations in Los Angeles – Daikokuya is a common staple in the Ramen community. They shine by offering combinations with their ramen including a delicious Teriyaki Eel bowl as well as Chicken Donburi, Ikura, Tuna Sashimi and Salmon Sashimi. 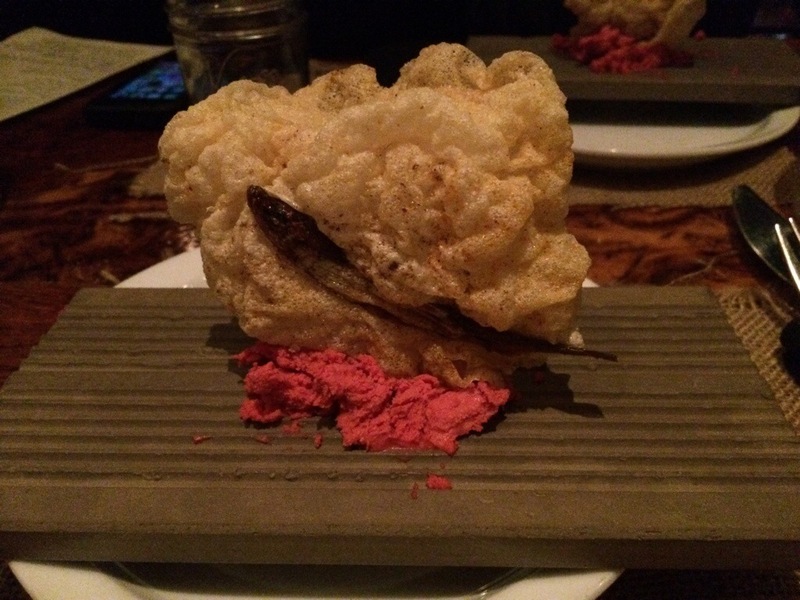 Totto Ramen $$ – New York, NY – In my opinion the best ramen I’ve had on the east coast. This place is small so be prepared to wait. But it will be worth it to try their homemade noodles customized for each different ramen. The Totto Spicy Ramen and Totto Chicken Paitan Ramen are unmatched. Ippudo NY $$$ – New York, NY – I would describe Ippudo as a high-end ramen restaurant offering different draft beers, sakes, wines and cocktails. The ramen is a silky Tonkatsu broth with Pork Loin Chashu, Kikurage Mushrooms, Menma, Red Pickled Ginger and Scallions. 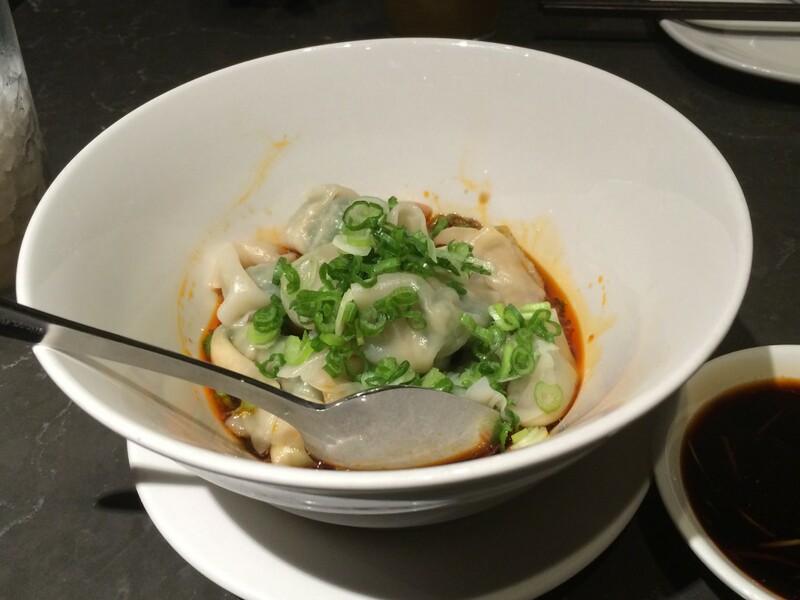 They have an extensive list of menu items besides ramen but don’t leave without trying an order of Hirata Pork Sticky Buns. 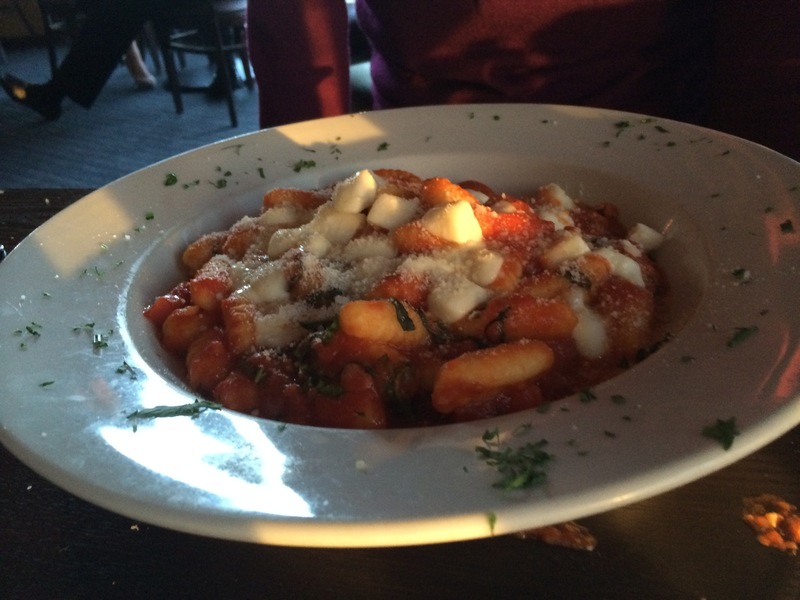 Make sure to bring your wallet because with drinks, appetizers and extras you can easily spend $50.00 or more. I would eat sushi everyday if I could. 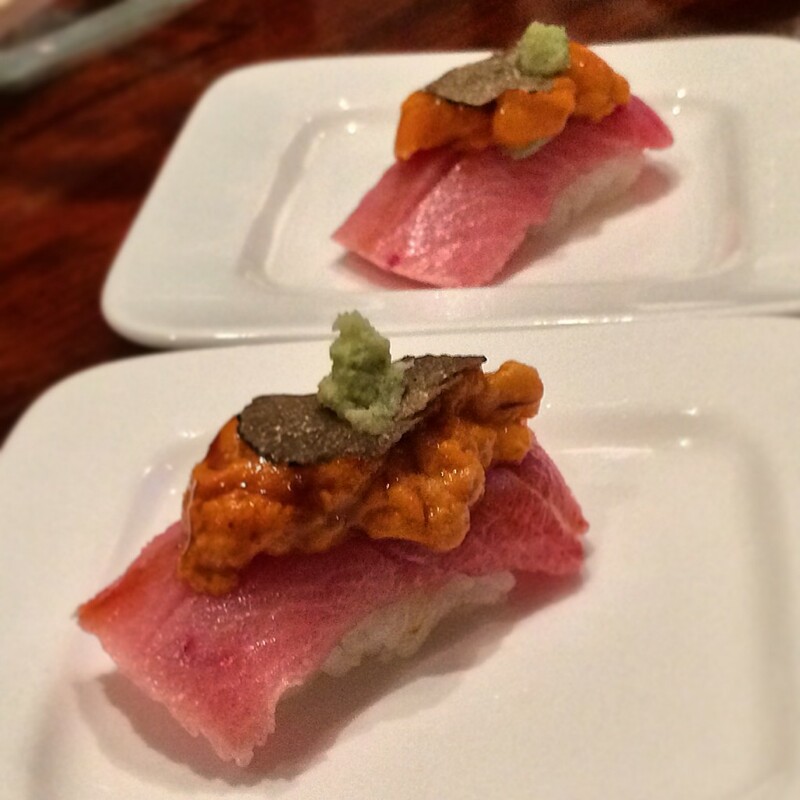 This is the all inclusive list of the top 10 best sushi restaurants in Orange County. 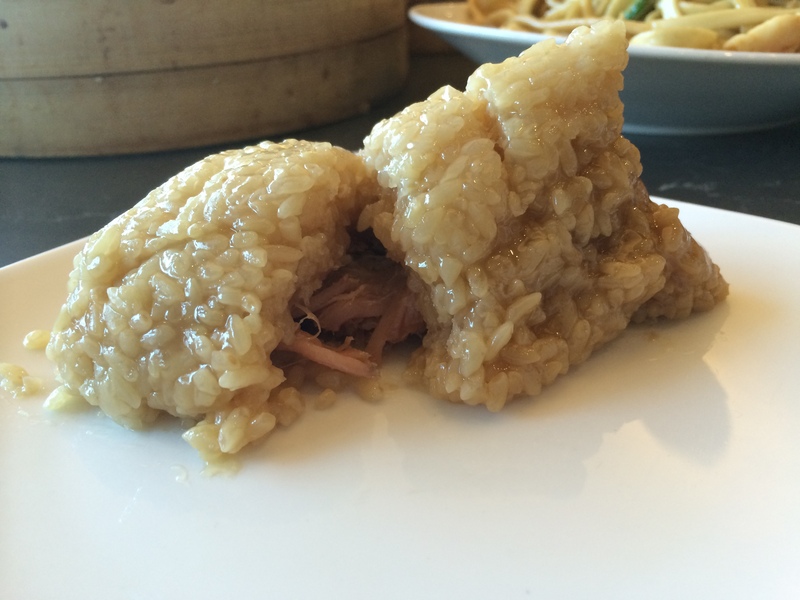 This list includes best tasting sushi from high end, all you can eat to take out. Please comment if you think we missed any sushi restaurants or your thoughts. 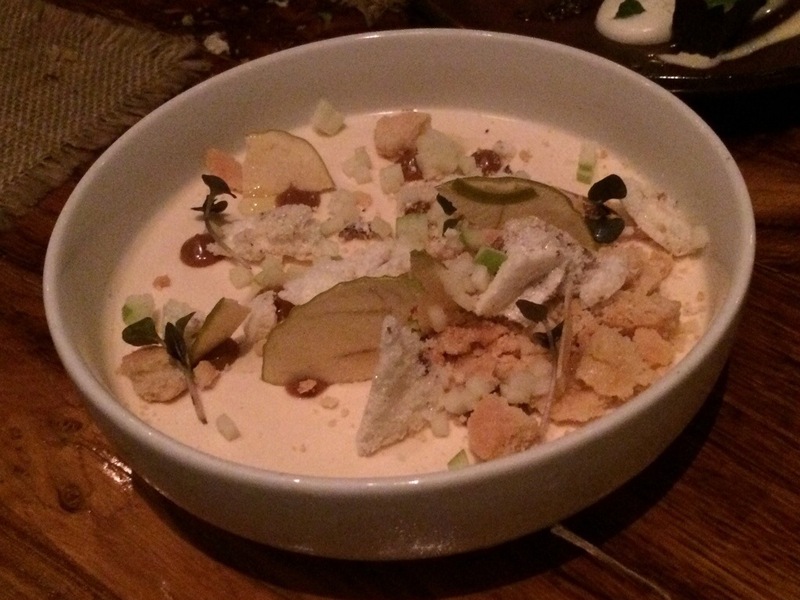 Please visit these great restaurants and let them know they made OCFoodList’s Top 10! 1. 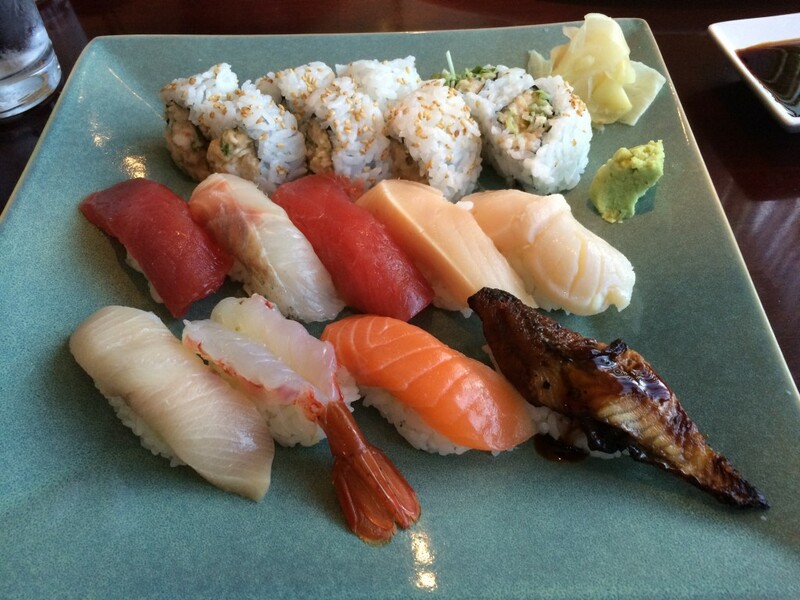 Ohshima $$$ – Orange – (Best Overall) Best sushi in Orange County for taste and price value. Omakase (Chef’s choice) is amazing and their melt in your mouth fish selection from around the world is unparalleled in OC. Get in good with the sushi chefs because they have O-Toro (Supreme Tuna Belly) which most sushi restaurants don’t even carry. 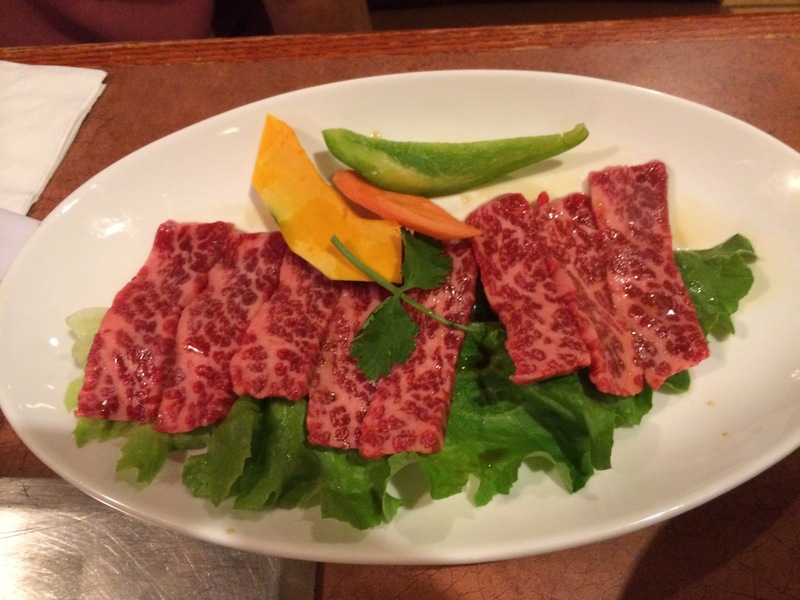 Cherry Salmon and Bluefin tuna are their steady specialties also try their Kobe Beef. 2. 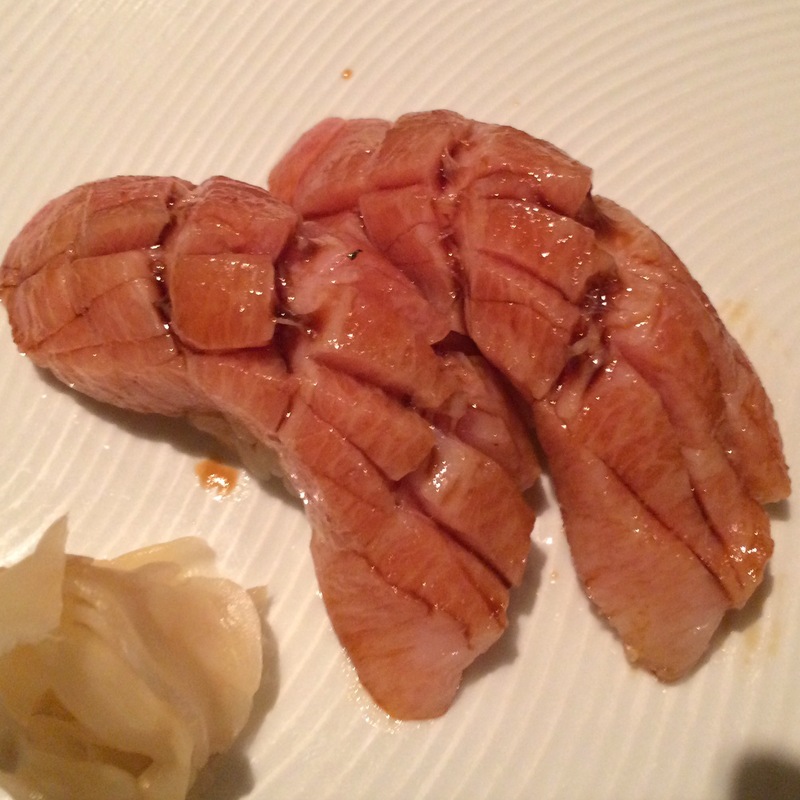 San Shi Go $$$$ – (Best Omakase) Newport Beach – Make sure to go to the Newport Beach location. 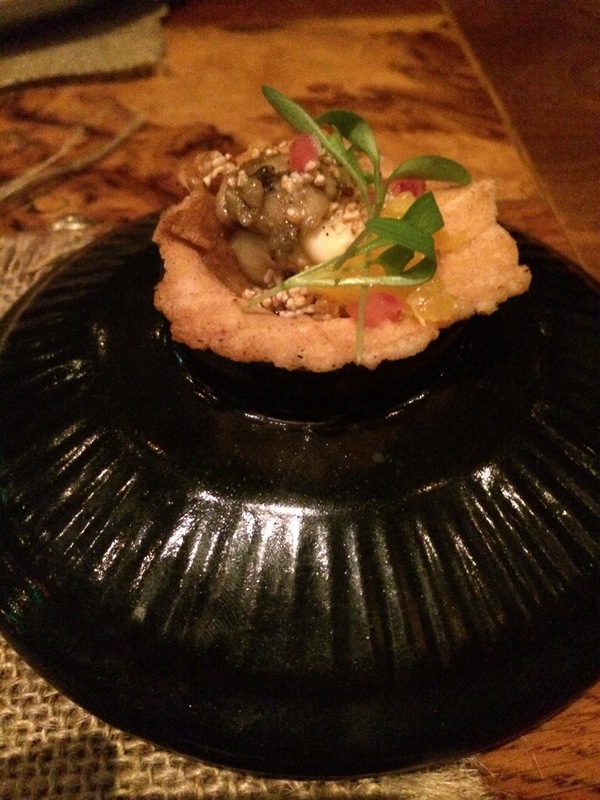 High end Sushi and their Omakase is one of a kind featuring both sushi and cooked dishes with beautiful presentation. Parking is a pain on the Newport peninsula so plan ahead. 3. 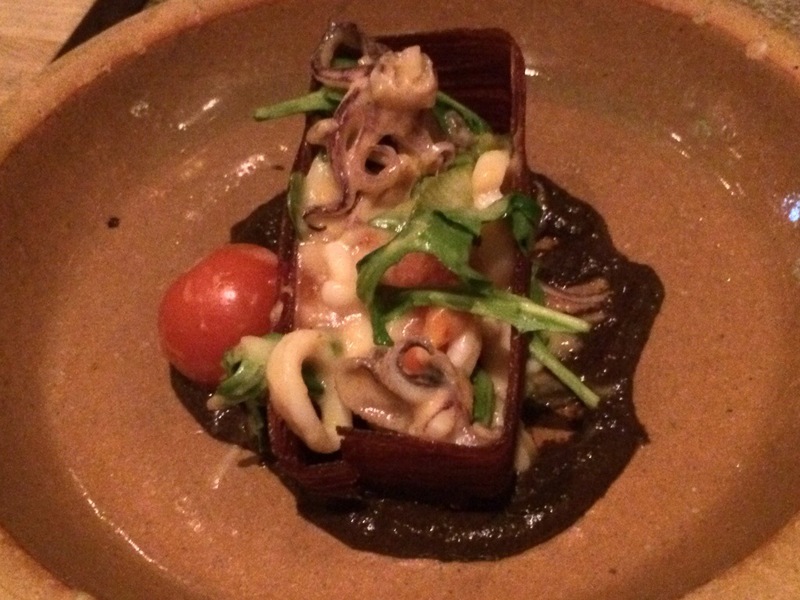 Ikko $$$$ – Costa Mesa – (Best Fusion style sushi) Ikko is considered Japanese cuisine but it is so much more, they offer high quality sushi but also offer dishes with a twist. 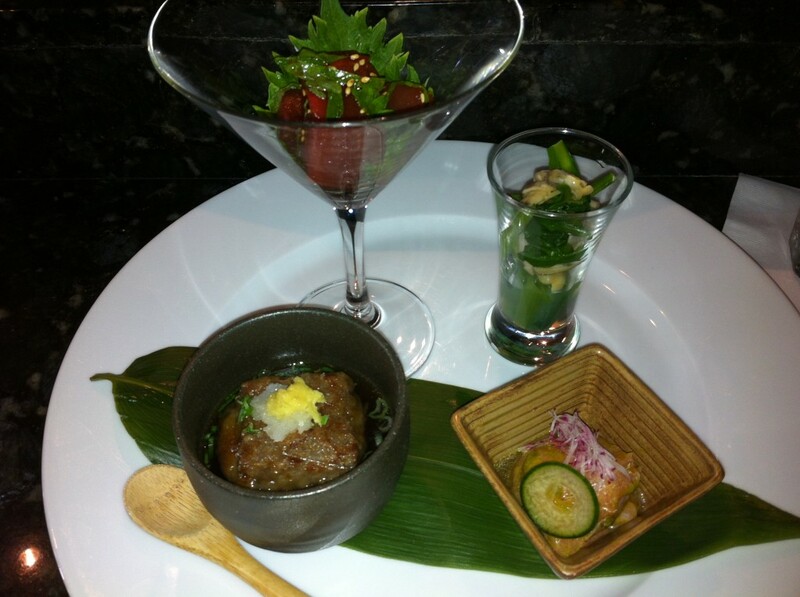 Their whimsical Omakase will amaze you and they also have traditional lunch specials starting at $10. 4. Hamamori Restaurant and Lounge $$$$ – Costa Mesa – Omakase is the way to go here, they have some unique offerings including a Toro and Uni sushi, Wagyu Beef Sushi, Scallop and Truffle and Okaki Coated Asparagus. Sit at the sushi bar and buy the chefs a beer and they will hook you up with some rare offerings. 5. 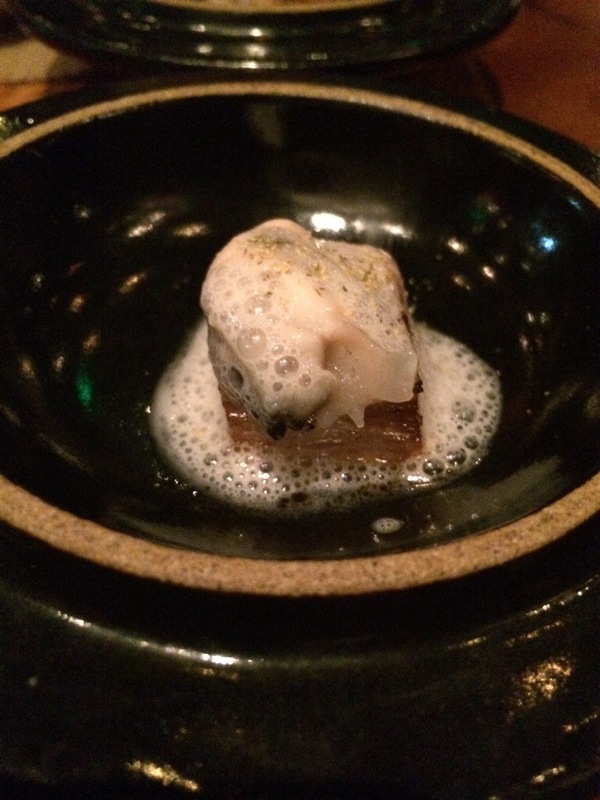 Masa $$$ – Newport Beach – (Best Sushi and Cooked Omakase) Masa provides a great experience for Omakase paired with cooked dishes. Just remember this place is reservation only because the chef provides only the freshest ingredients based on how many people he is serving for the night. 6. 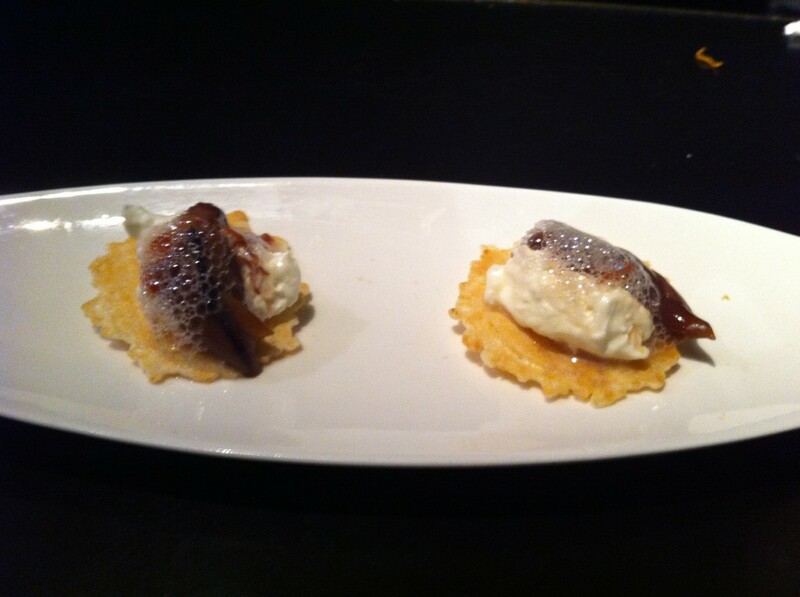 Sushi Murasaki $$ – Santa Ana – Sushi Murasaki has a great omakase for a great value as well as combination dinners. They have specials during certain days and give 10% off if you pay with cash. 7. 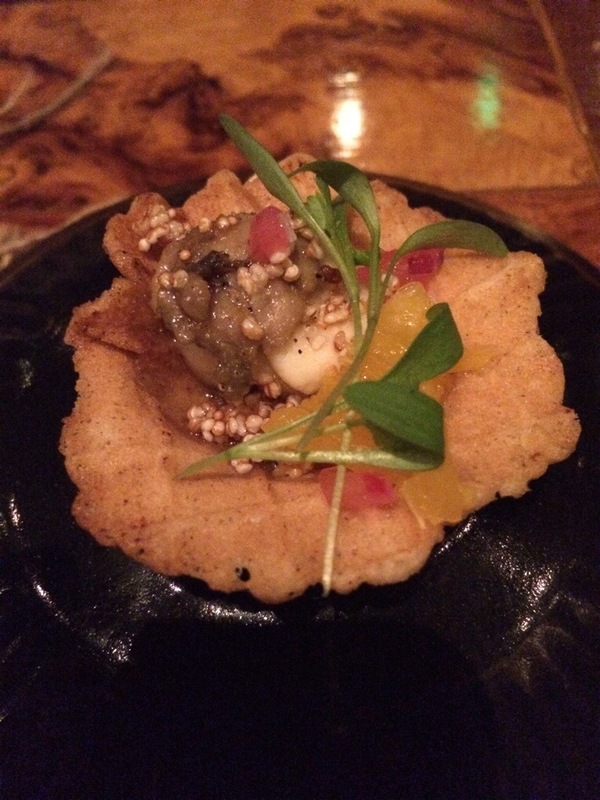 Nana San $$$$ – Newport Beach – Nana San has great fish and Omakase. 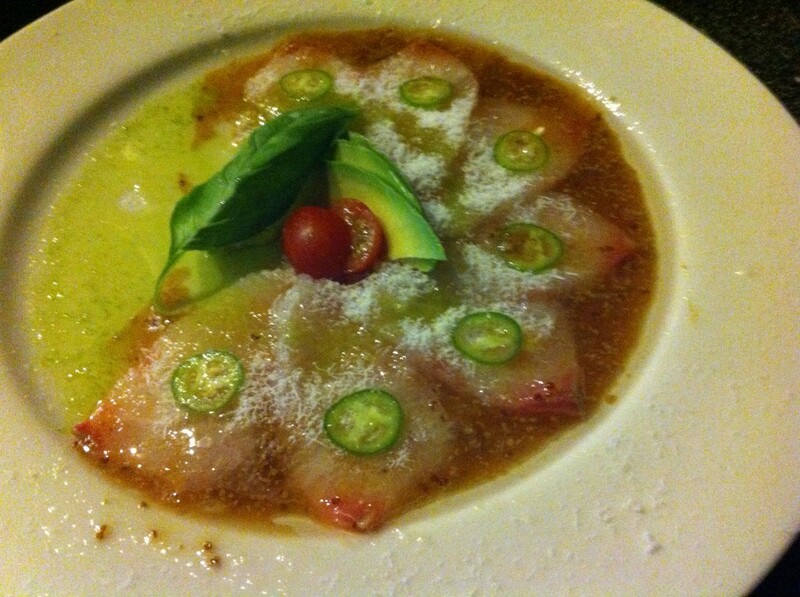 Goro San is a great sushi chef and will create an unforgettable meal for you. The Shrimp Boats are a must have here. 8. 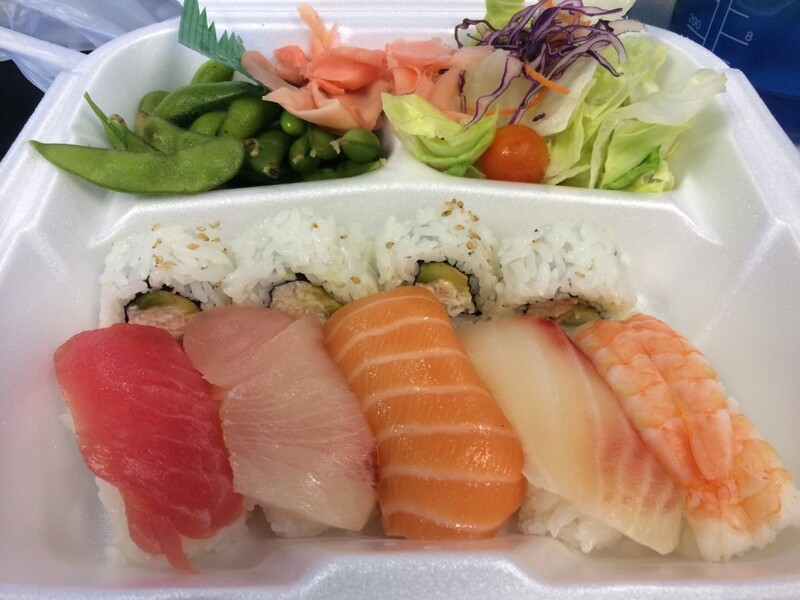 Sushi Koto $$ – Fountain Valley – (Best Chirashi) Sushi Koto has the best Chirashi bowl based on variety, fish, presentation and price. Order the Chirashi Zen it’s the best Chirashi bang for your buck in OC, it has two levels of sushi goodness. 9. Sake 2 Me $$ – Tustin – (Best All You Can Eat) Sake 2 Me sometimes amazes me with their fish to rice ratio for an all you can eat Sushi restaurant. They give you more fish than regular sushi restaurants, its ridiculous, I don’t know how they can make a profit, the fish is hanging off both sides of the rice. Also the fish quality is pretty good for an AYCE sushi restaurant. 10. Sushi Town $$ – Costa Mesa – (Best Rolls) If you want some rolls you have never had before and to try some new flavors Sushi Towns got you. 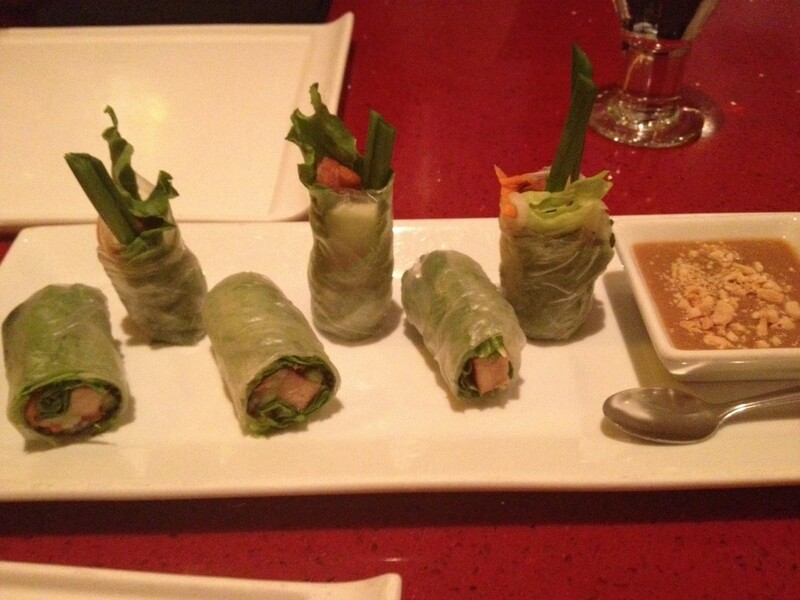 They have some very creative rolls that taste really good at reasonably good prices. 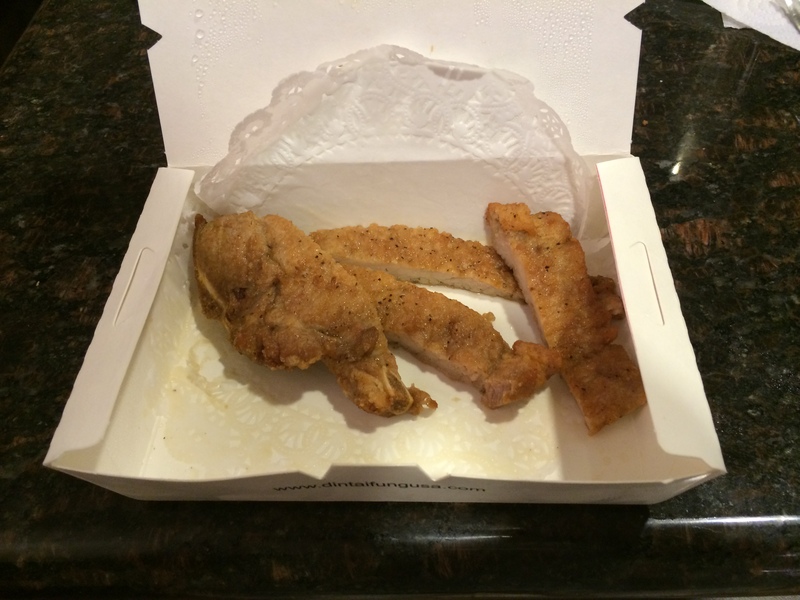 Crazy Grill $ – Garden Grove – (Best Delivery) – Sushi Delivered to your house, count me in. They offer a wide variety of rolls plus you can also order burgers, burritos, tacos, sandwiches, steaks and fries. 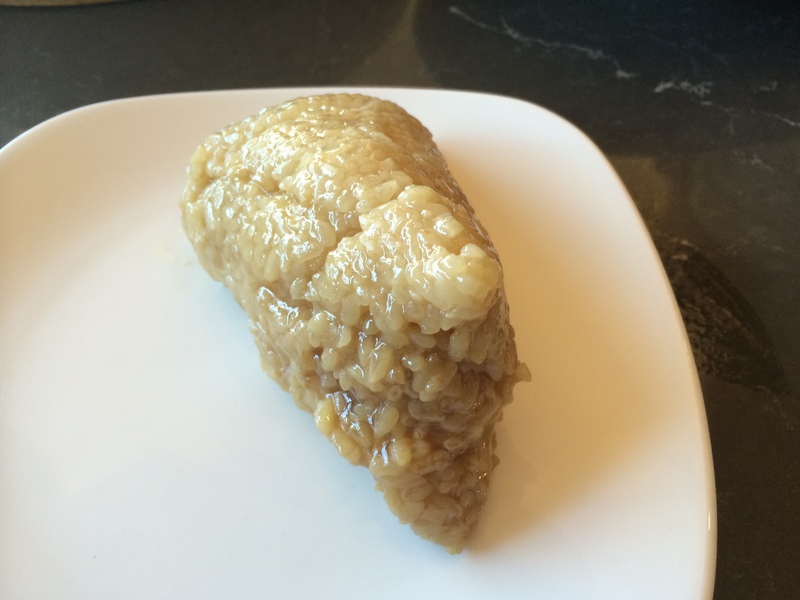 KIKU Japanese Restaurant $$ – Huntington Beach – (Best Portions) Kiku has some huge portions, some of their rolls you can barely fit in your mouth. Try the Garlic Salmon Bowl and Catalina Roll. 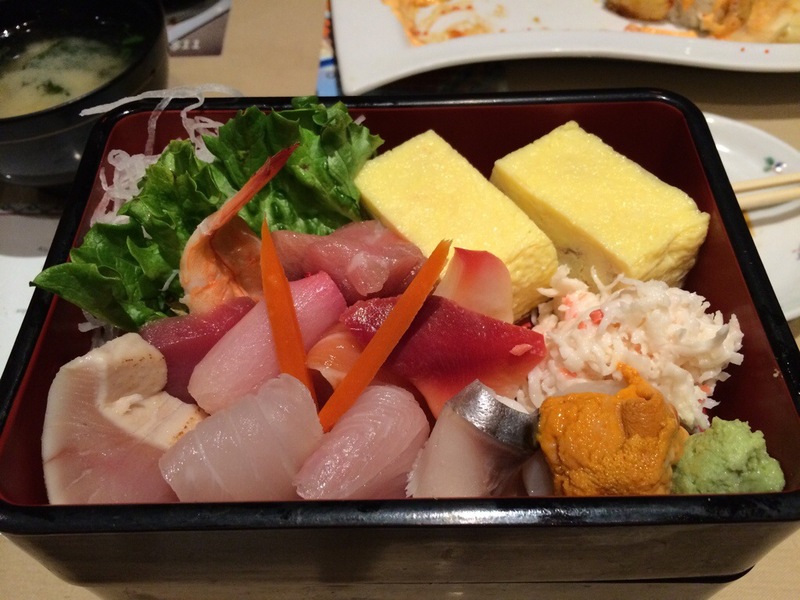 Sushi Box $ – Costa Mesa – (Most Inexpensive) I could actually afford to eat Sushi every day if I ate at Sushi Box. They have a Sushi Box special that includes 5 pieces of sushi, 4 pieces of California Roll, Salad and Edamame for 8.99 or a Chicken Box with Teriyaki Chicken, Croquette, 4 pieces of California Roll and Salad for 6.25. The quality won’t blow you away but it’s an unbeatable great value. Rolling Sushi Van $$ – (Best Sushi Food Truck) Sushi on a food truck, you would have never thought right and its restaurant quality. They have a good selection plus daily specials to choose from. 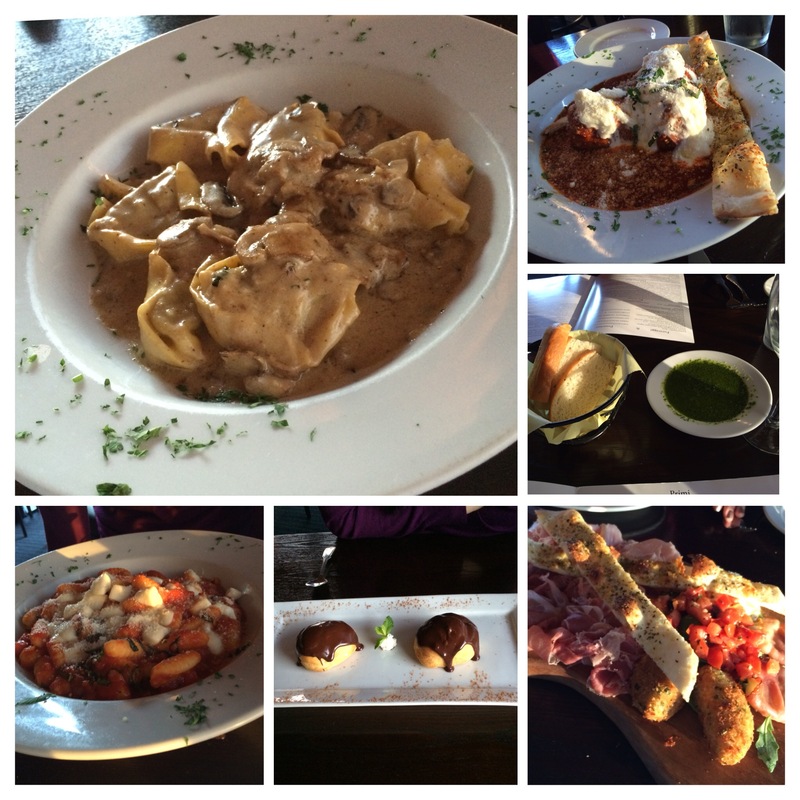 Cucina Alessa – Huntington Beach, CA – Great Pasta in Orange County. 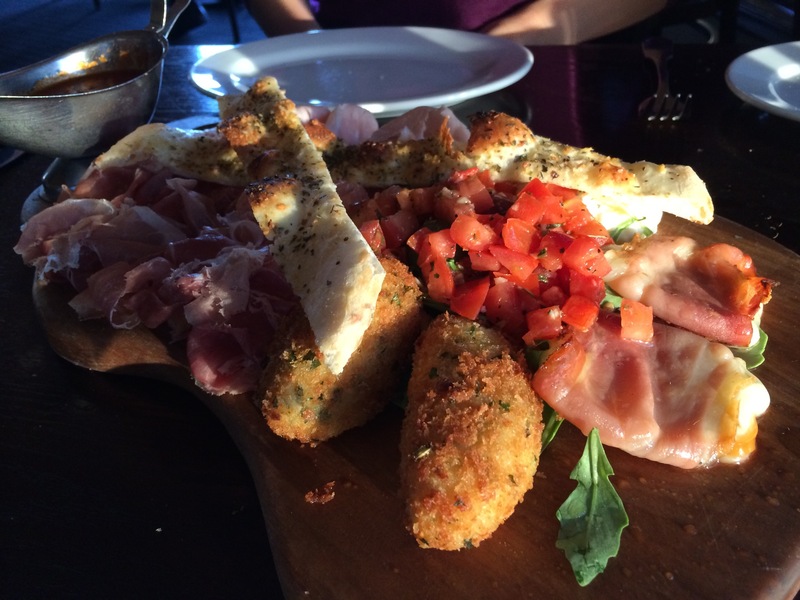 Cucina Alesso has 3 locations in Huntington Beach, Newport Beach and Laguna Beach (this family must like the beach life). They are each family owned by different family members. 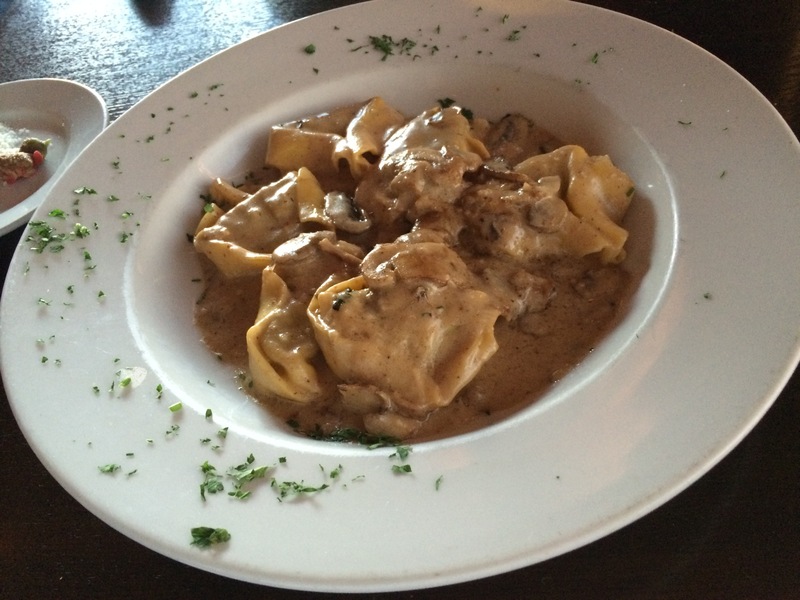 Cucina Alessa has a wide variety of Italian dishes but they really shine at their homemade pasta dishes. 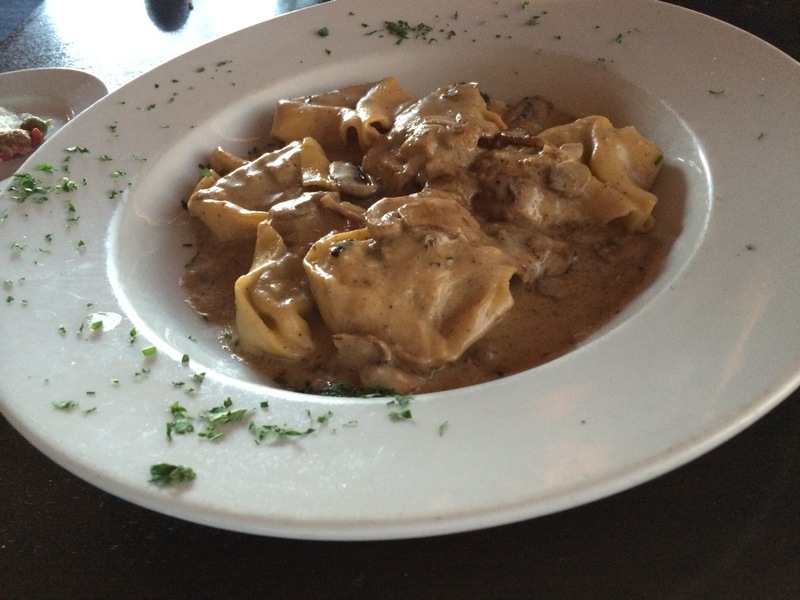 Their Tortellini Di Carne is one of the best pasta dishes I have ever had. 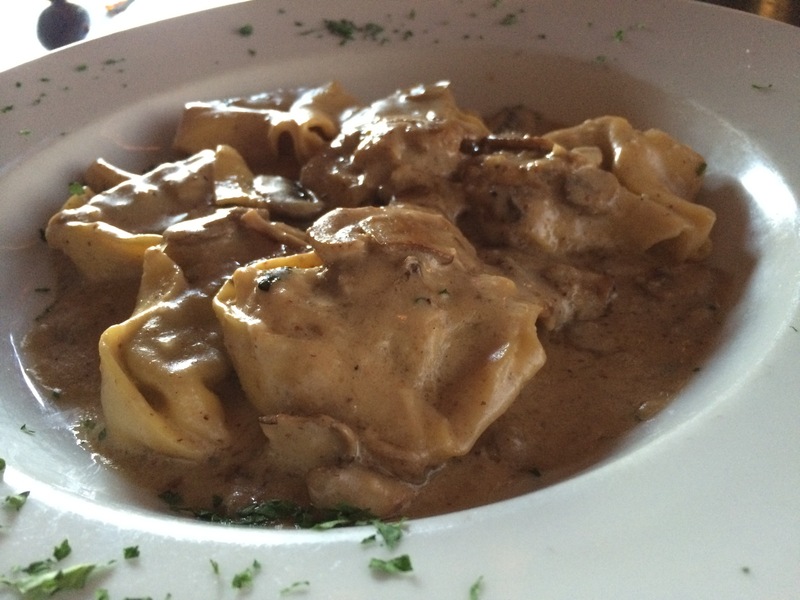 It has giant stuffed Tortellini with Braised Short Ribs and a Walnut Porcini Cream Sauce. The homemade Tortellini was very flavorful and texture was perfect, the creamy Walnut Porcini sauce went very well, plus who doesn’t love Braised Short Ribs. 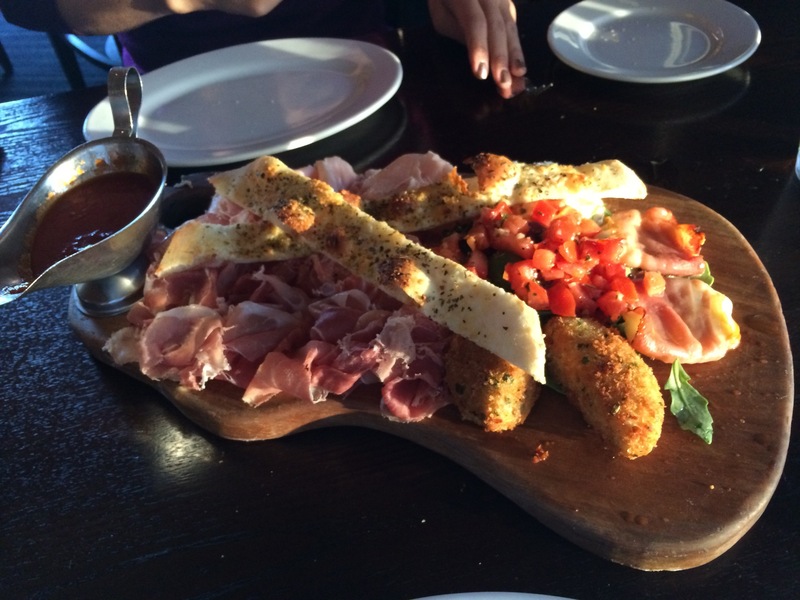 The service at the Huntington Beach location was very good, our energetic and comedic waiter made our experience very enjoyable. 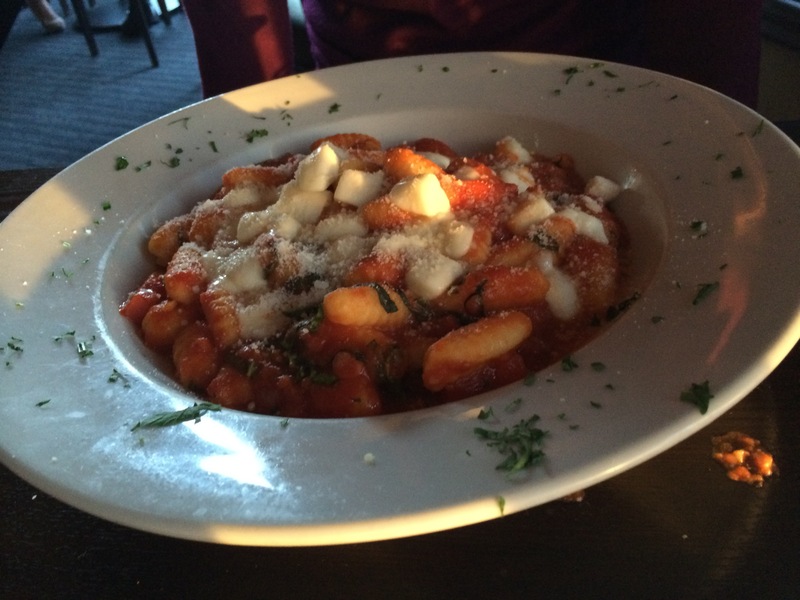 Try this place out for some great pasta. Love, peace and Braised Short Rib Tortellini grease. 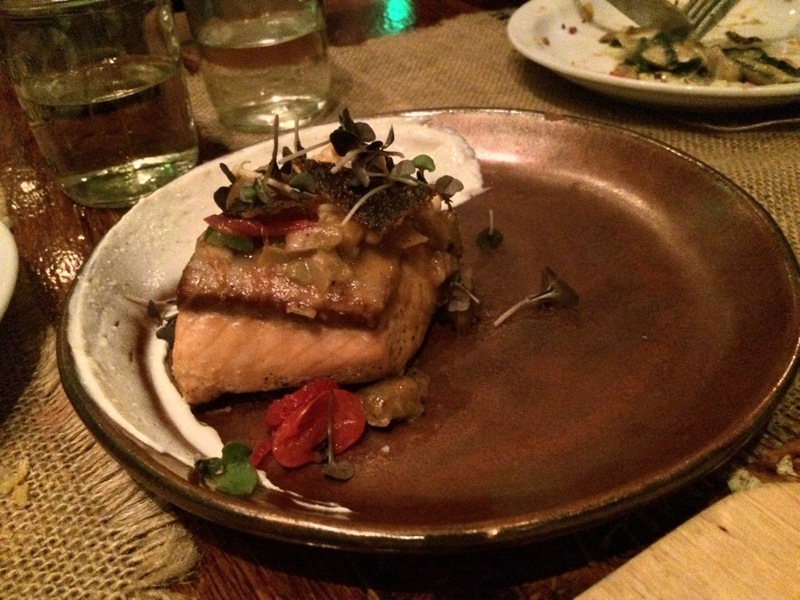 Scratch Bar – Beverly Hills, CA -Great tasting menu for an affordable price. 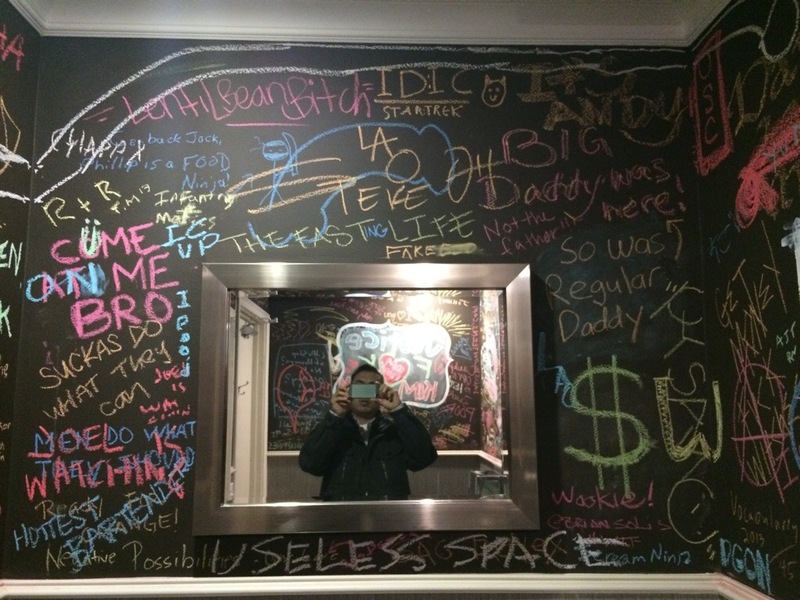 Scratch Bar is located amongst giants on restaurant row in Beverly Hills. It is an unassuming bar/restaurant located next to the likes of Lawry’s, The Stinking Rose, The Bazaar, Matsuhisa, Fogo De Chao, Spago and Mastros. But this little restaurant can surprisingly hold up it’s own and it’s creative and imaginative menu was not only delicious but inspiring. Chef Phillip Frankland Lee and staff prepare everything from scratch, hence the name Scratch Bar. 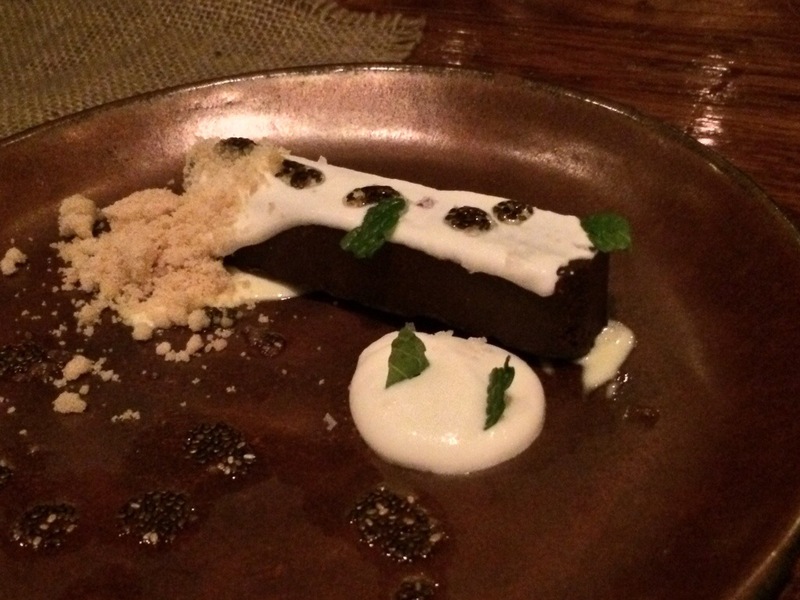 They offer an affordable tasting menu to let you sample a plethora of dishes from the menu. 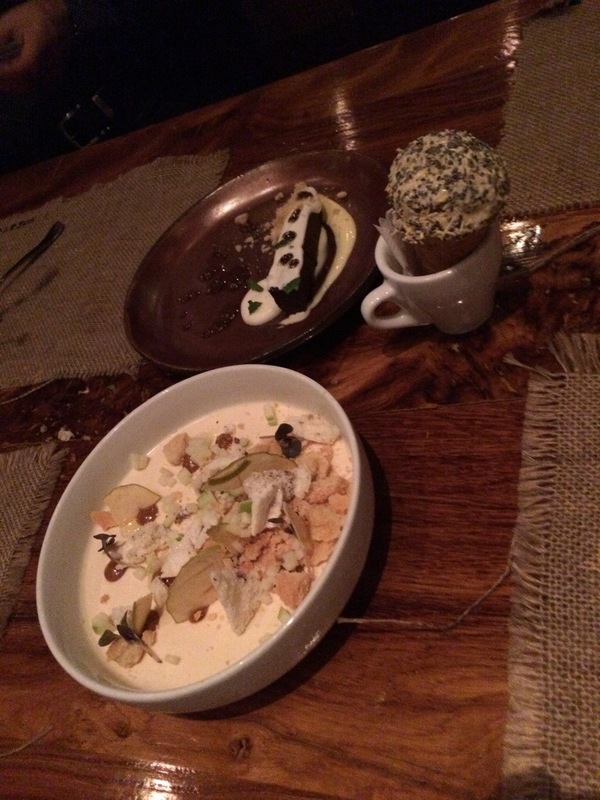 Some amazing dishes that we tried and keep in mind I give extra points for creativity, were the Puffed Smelt with Bone Marrow Mustard, Blackened Cauliflower, Roasted Bone Marrow and Sourdough and Caramel Apple Panna Cotta. 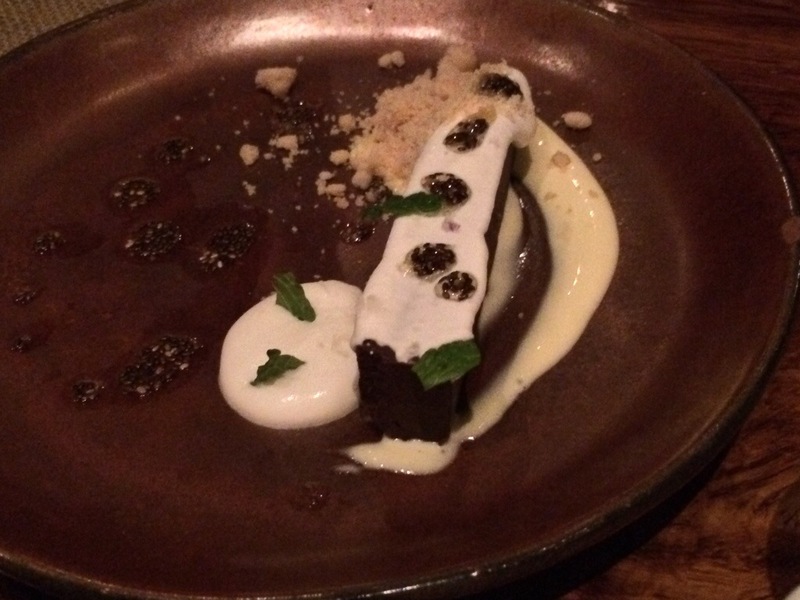 All these dishes were very unique as well as delicious. 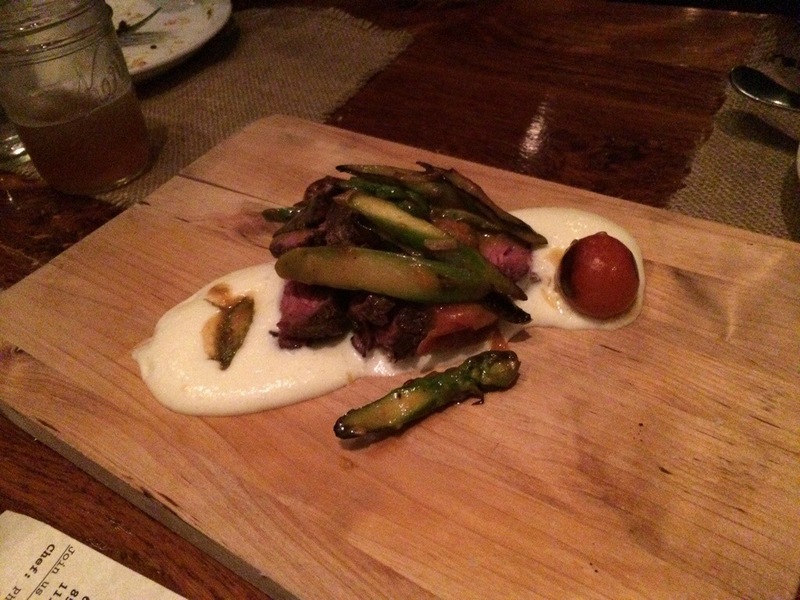 This was a pleasantly surprisingly good meal. 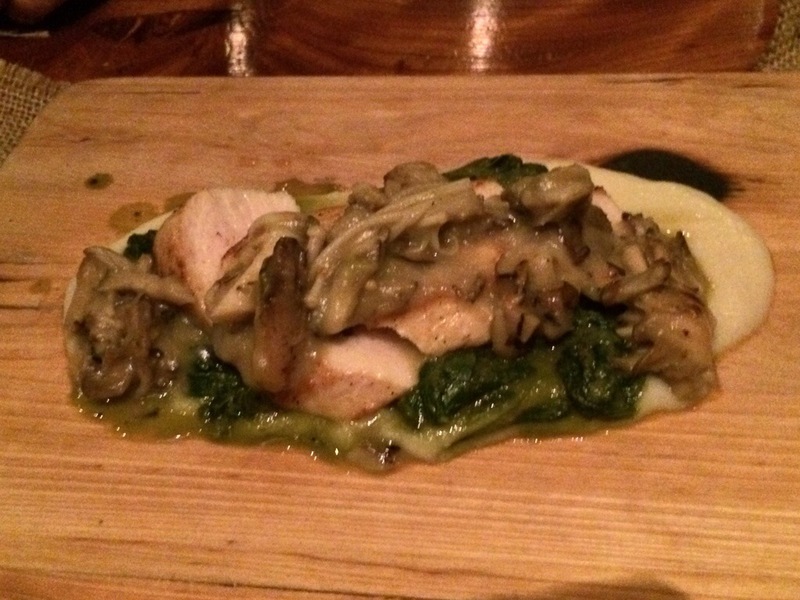 Big props for opening this tiny restaurant on restaurant row that sure packs a punch in flavor and imagination, it is a David among Goliaths. 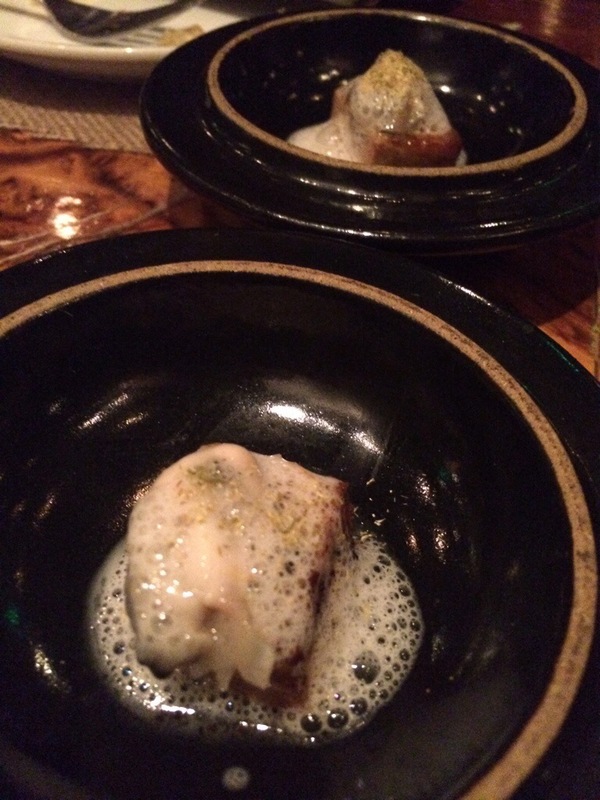 Love, peace and Bone Marrow and Sourdough grease!